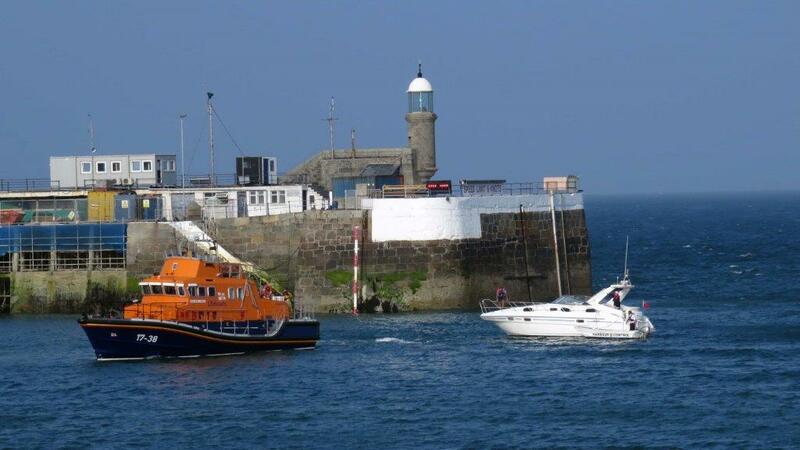 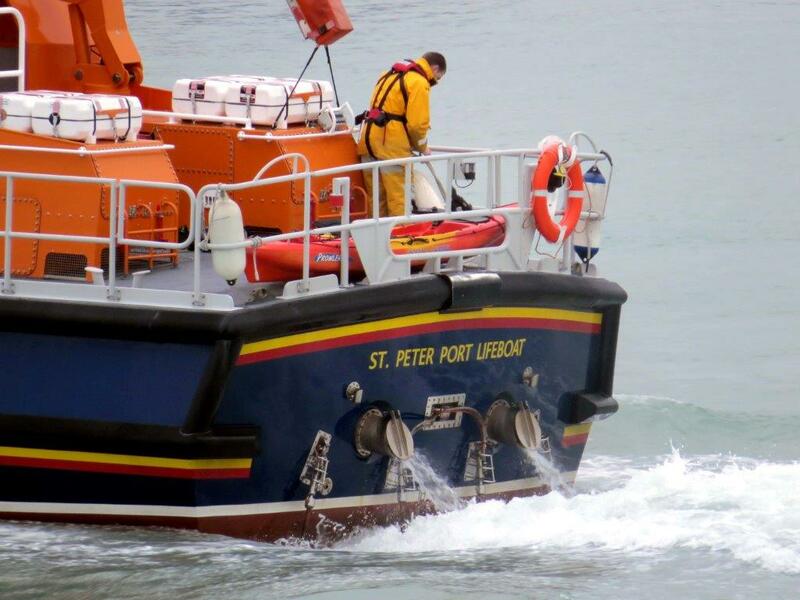 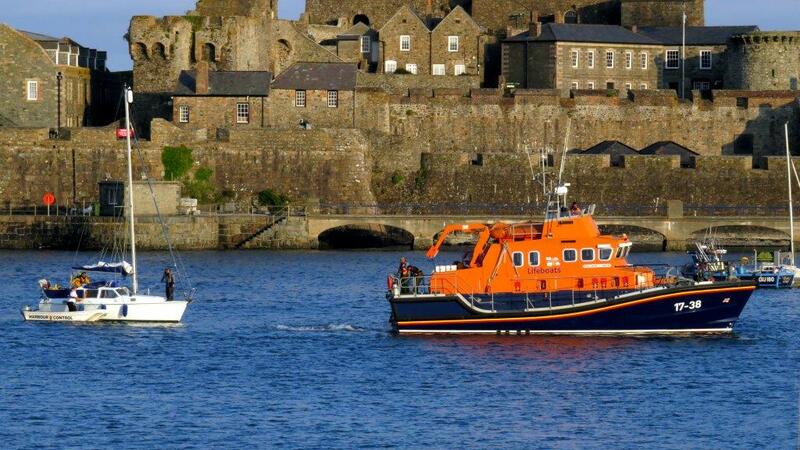 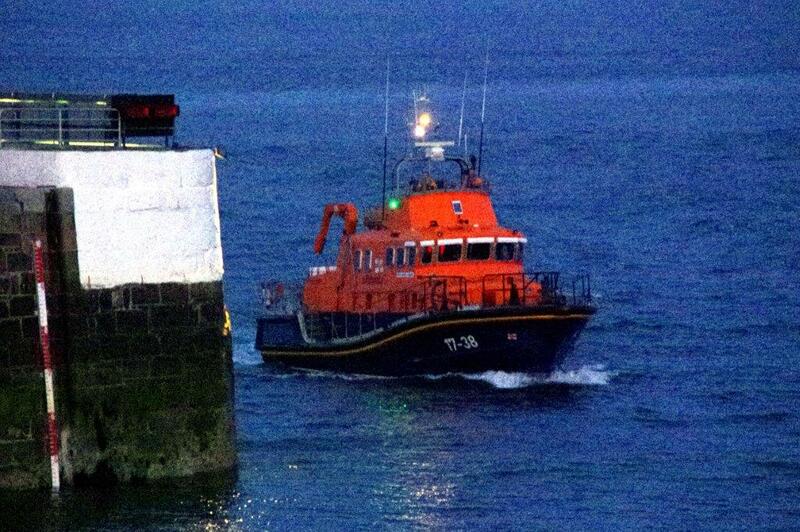 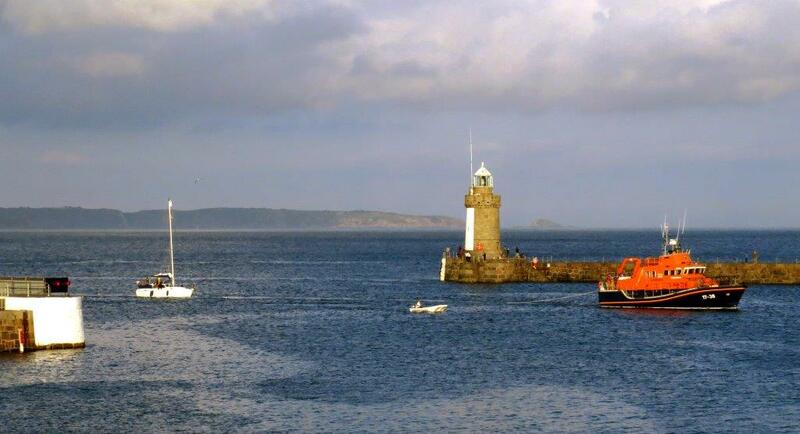 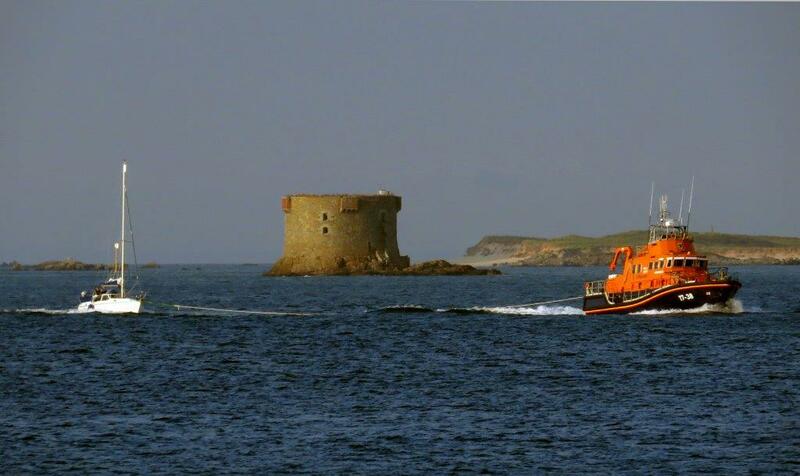 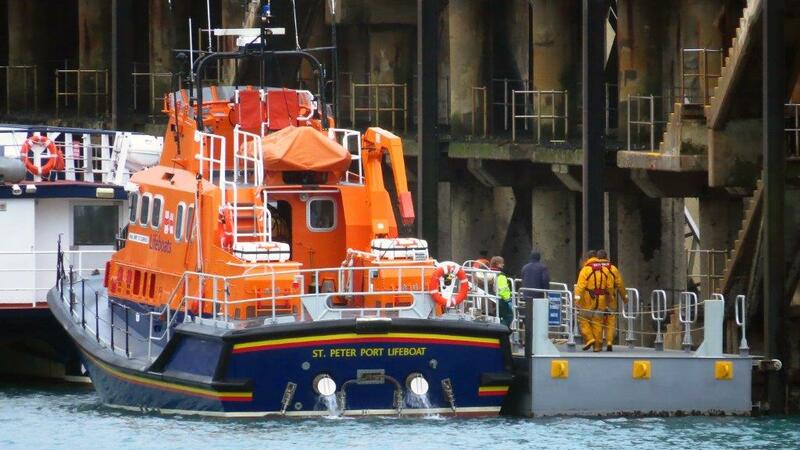 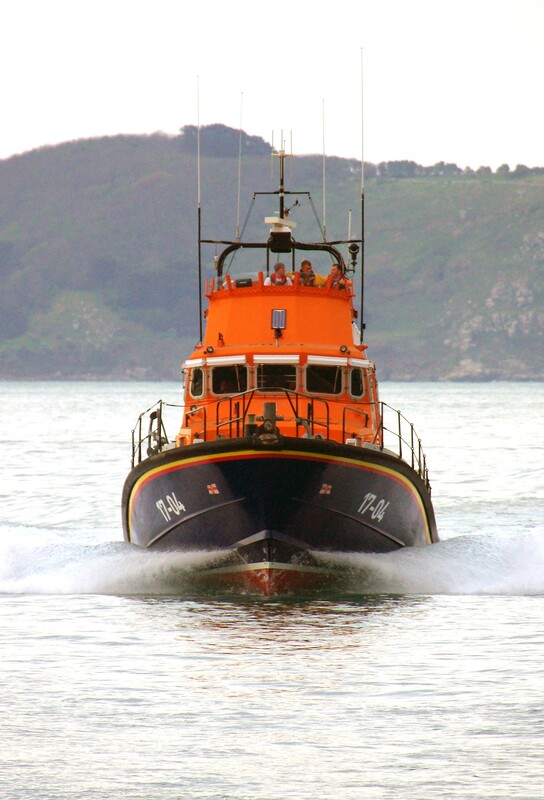 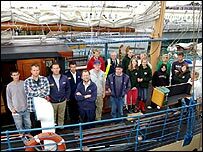 Welcome to the official web site for the St Peter Port lifeboat. 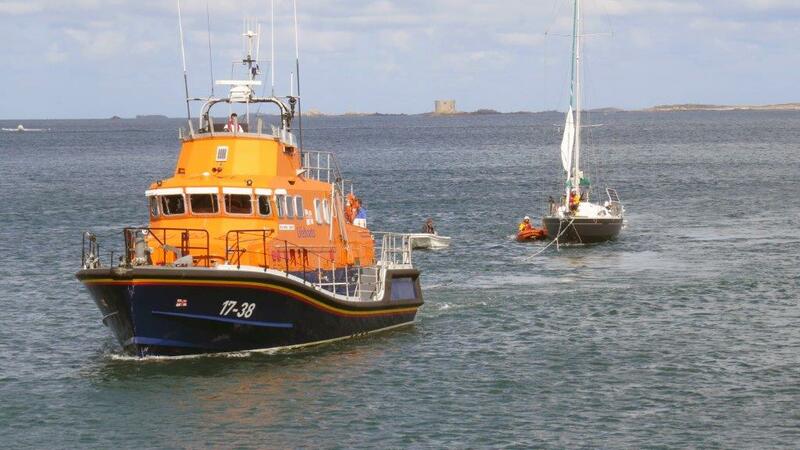 The Guernsey lifeboat station is one of only four in the Channel Islands. 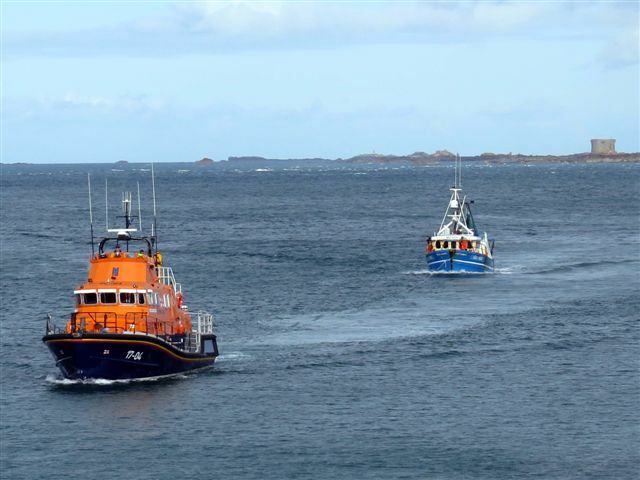 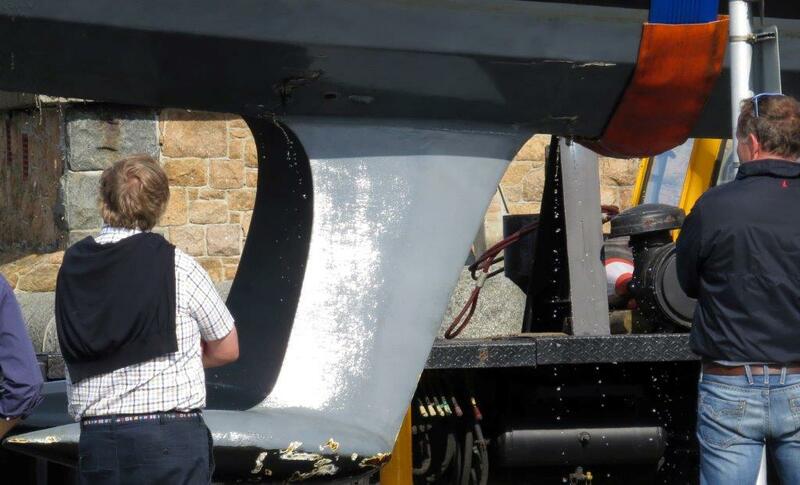 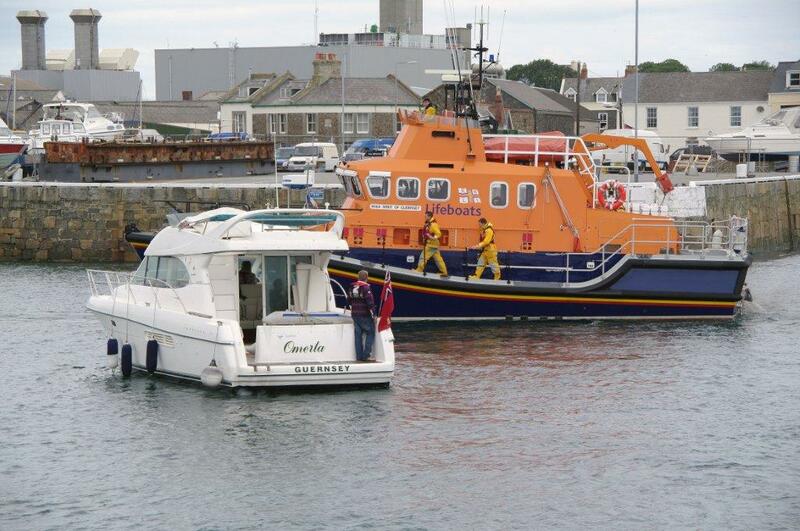 Operating for over 200 years, the crews of the Guernsey lifeboats have been honoured with several awards for gallantry. 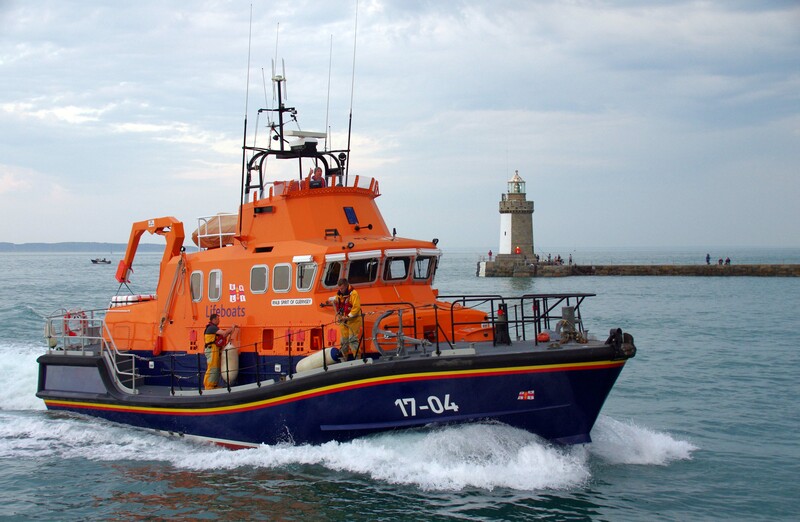 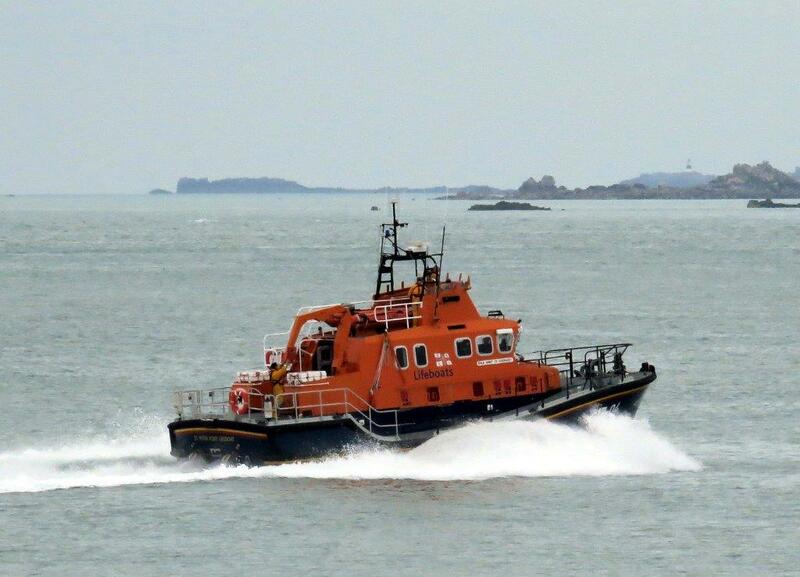 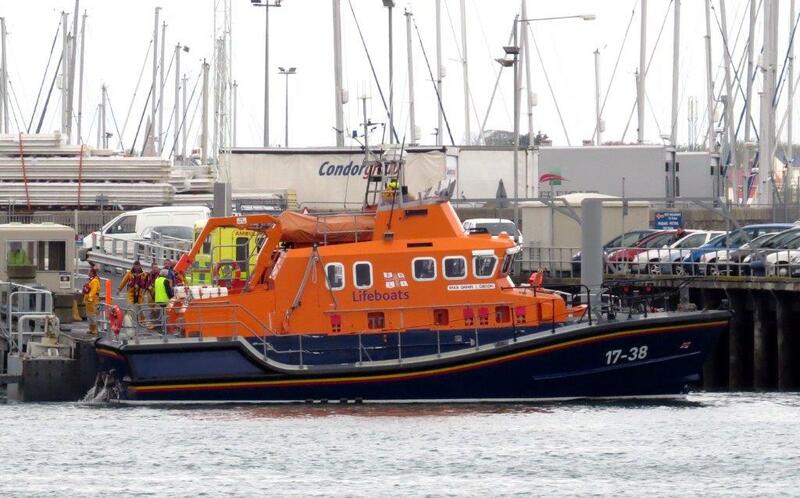 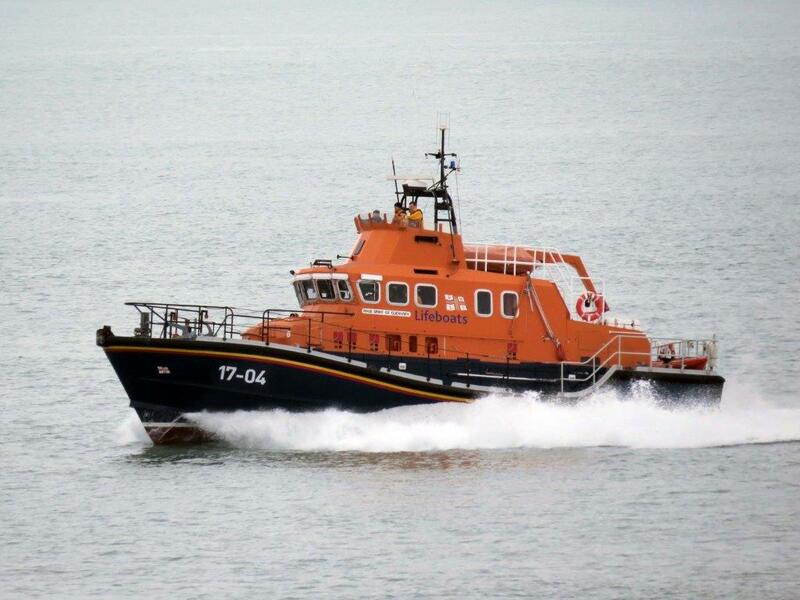 The Station has seen a variety of lifeboats over the years and the current lifeboat is the Severn class ‘Spirit of Guernsey’. 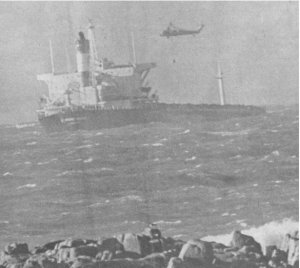 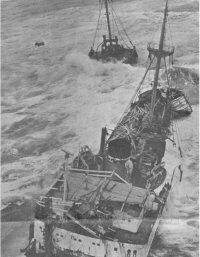 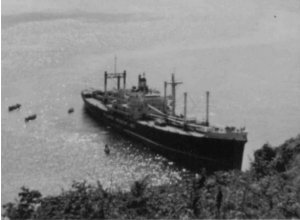 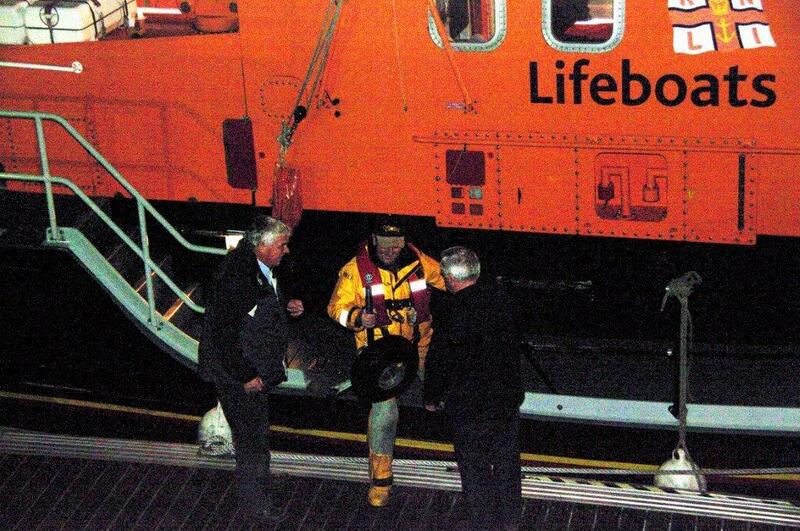 The Island has always been proud to support the Lifeboat Station and crews; in 1973 a special appeal raised a considerable sum towards the cost of the Arun Class “Sir William Arnold”. 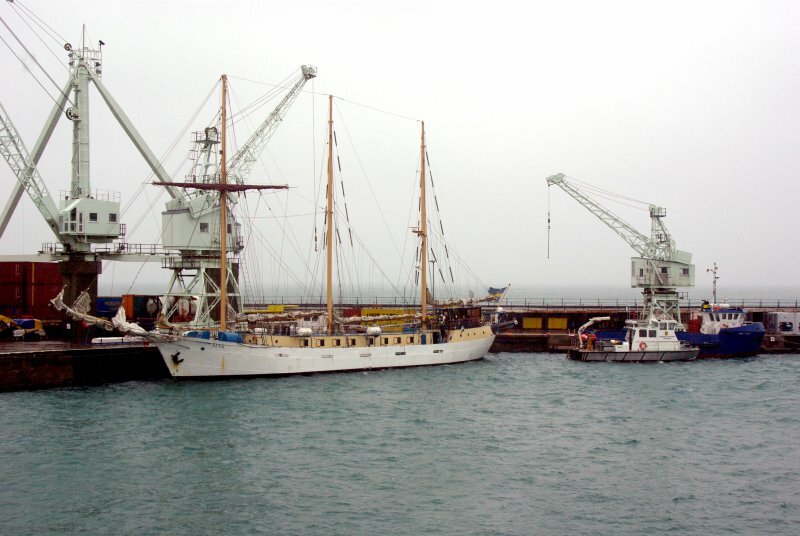 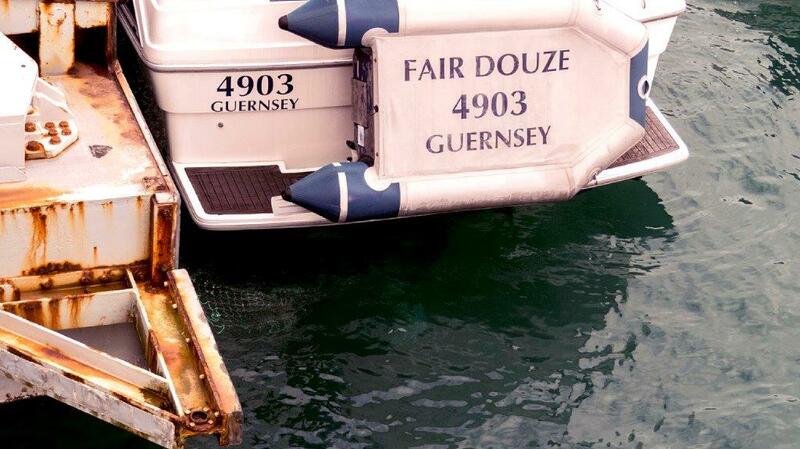 Twenty years later an appeal was launched to raise £1 million to support the building of “Spirit of Guernsey”. 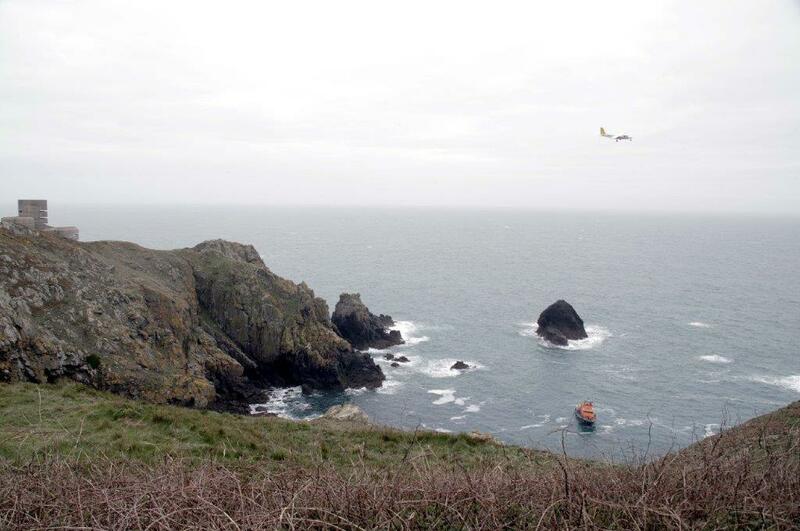 Thanks to the generosity of friends in Guernsey, Sark, Herm and further afield, the target was achieved within one year. 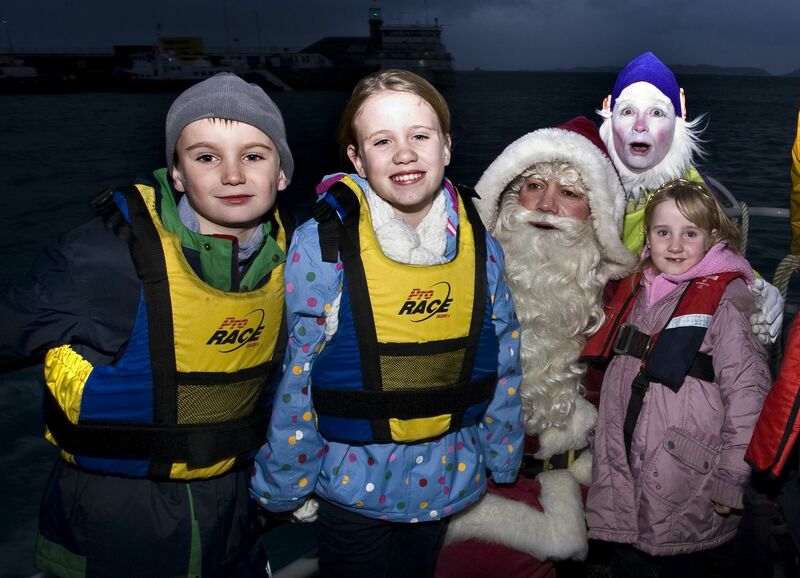 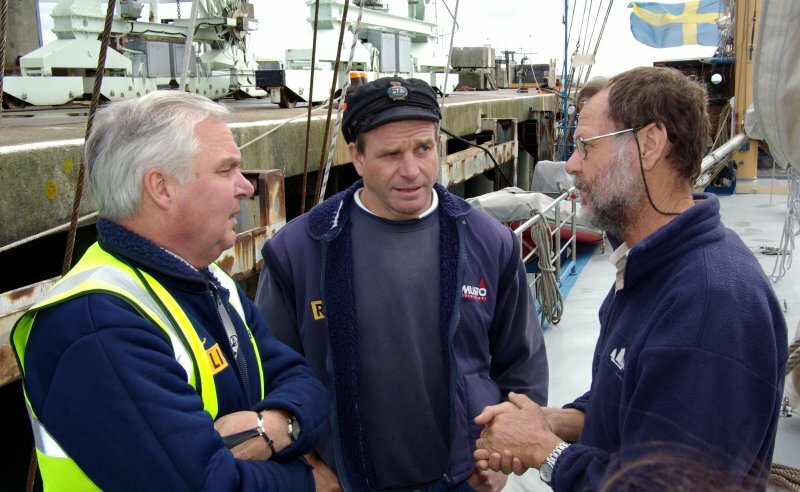 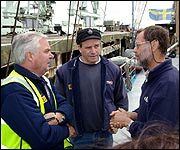 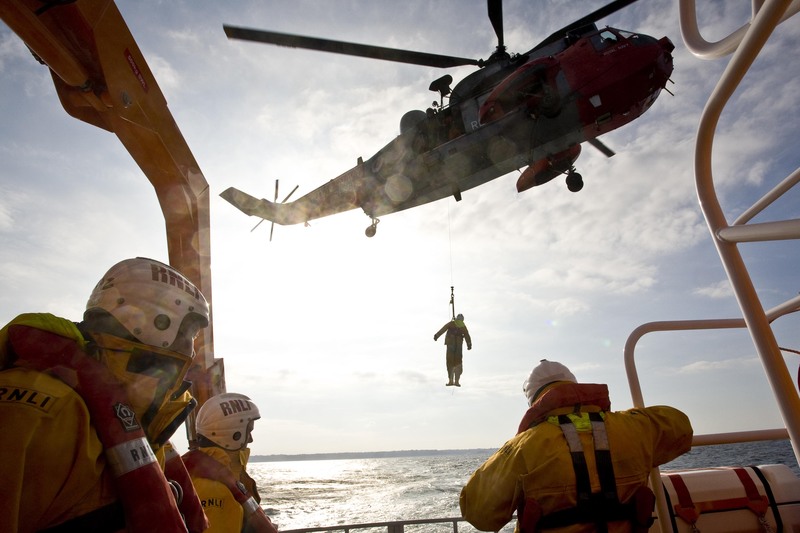 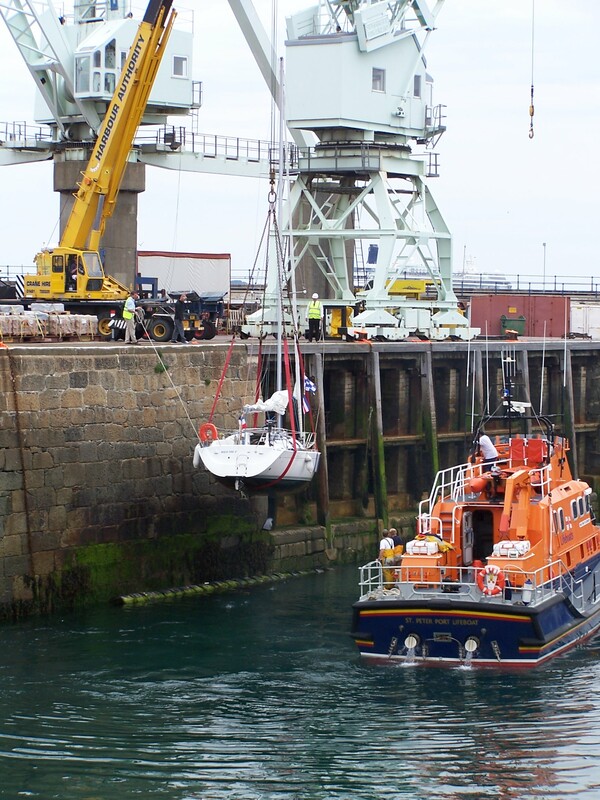 The RNLI relies entirely on voluntary donations. 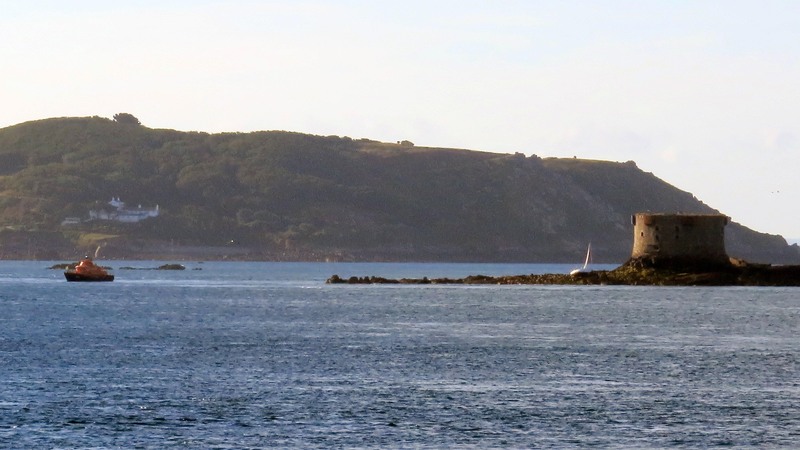 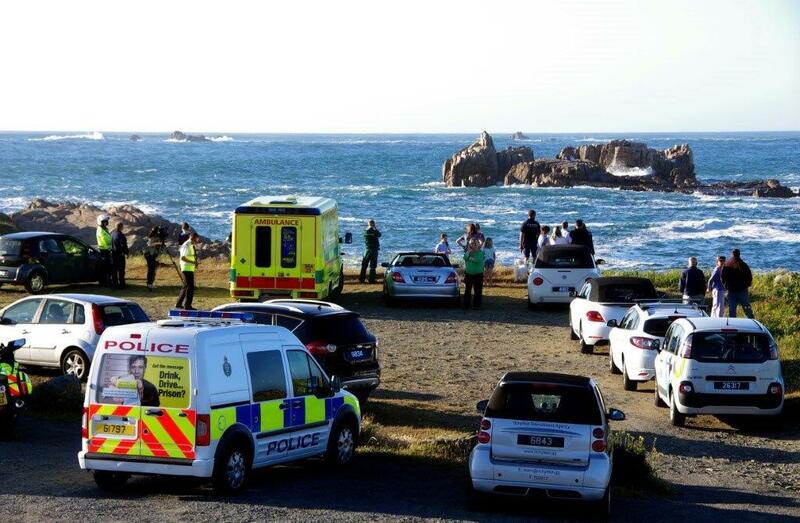 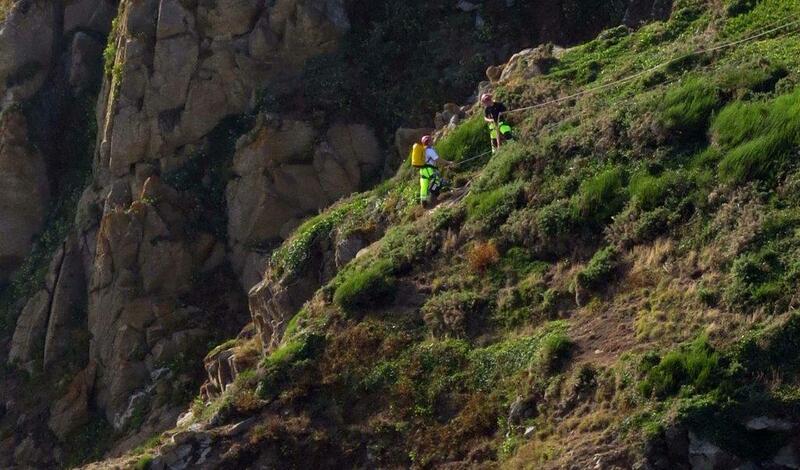 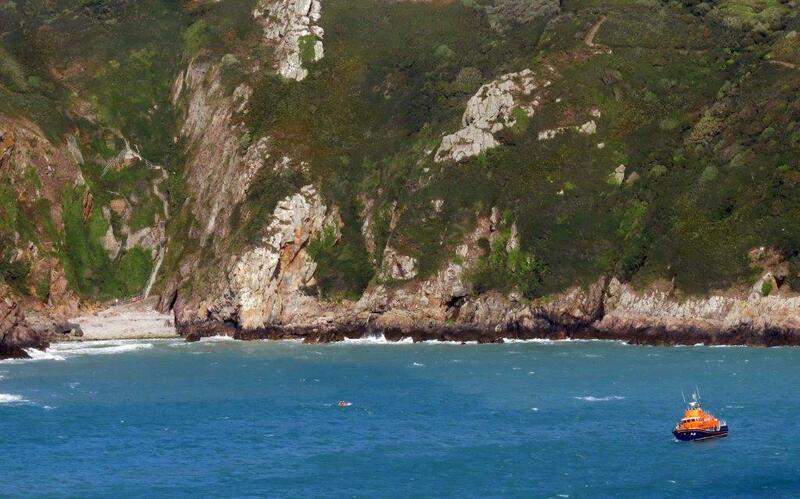 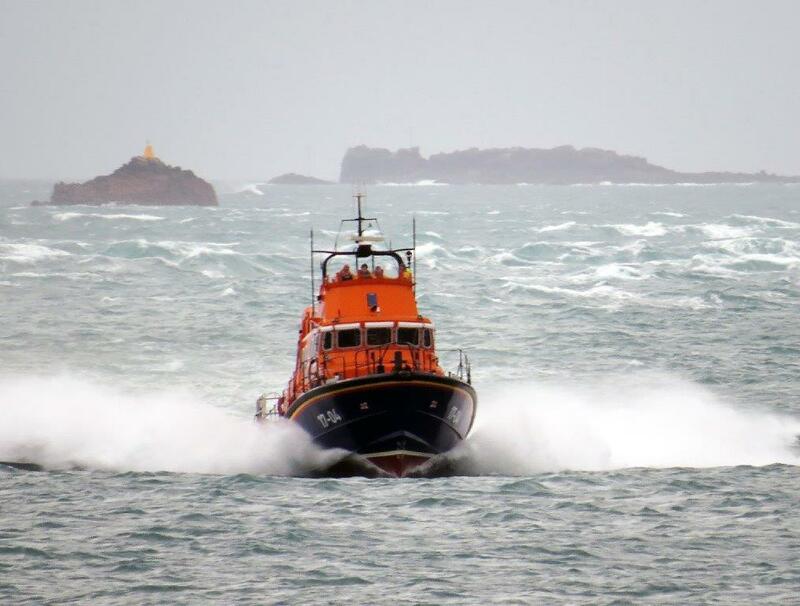 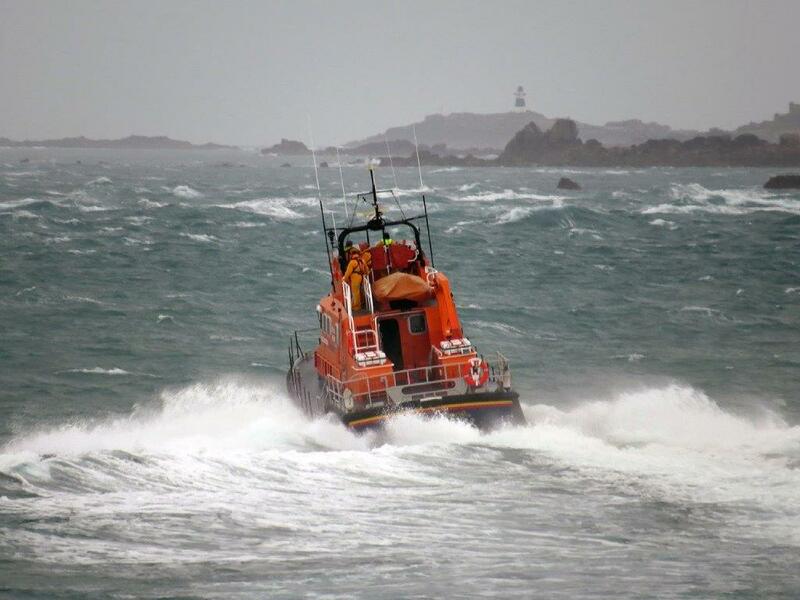 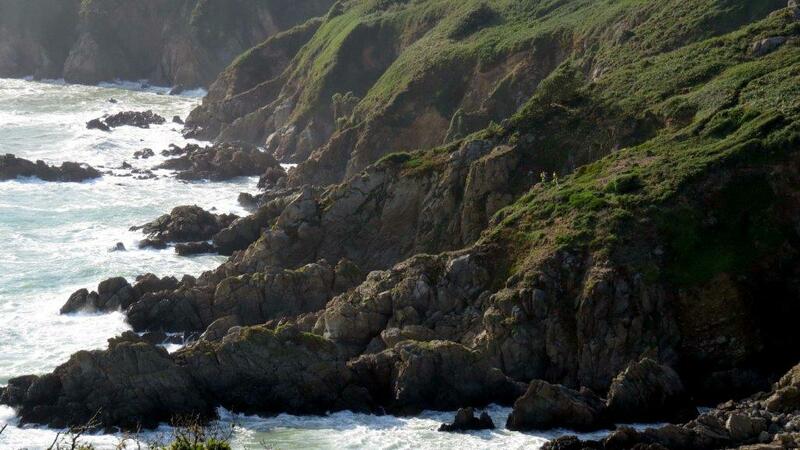 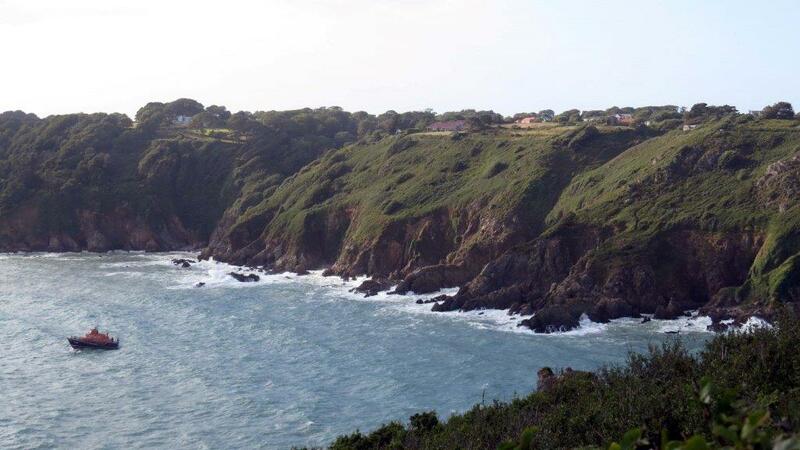 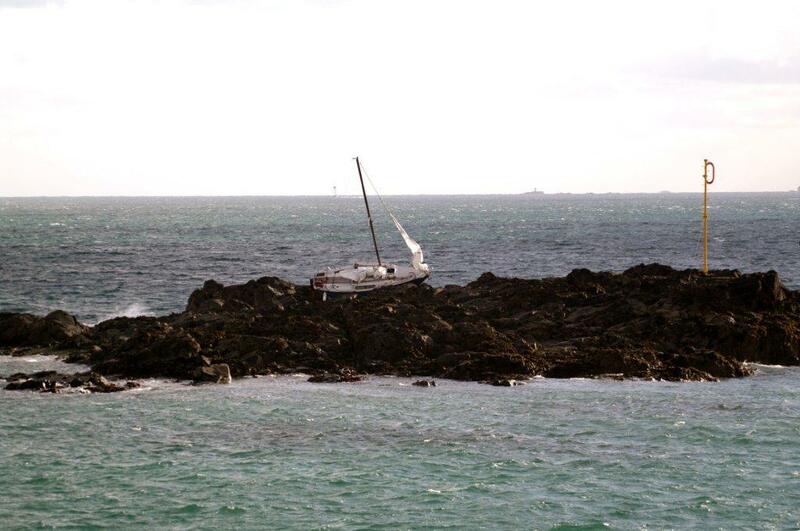 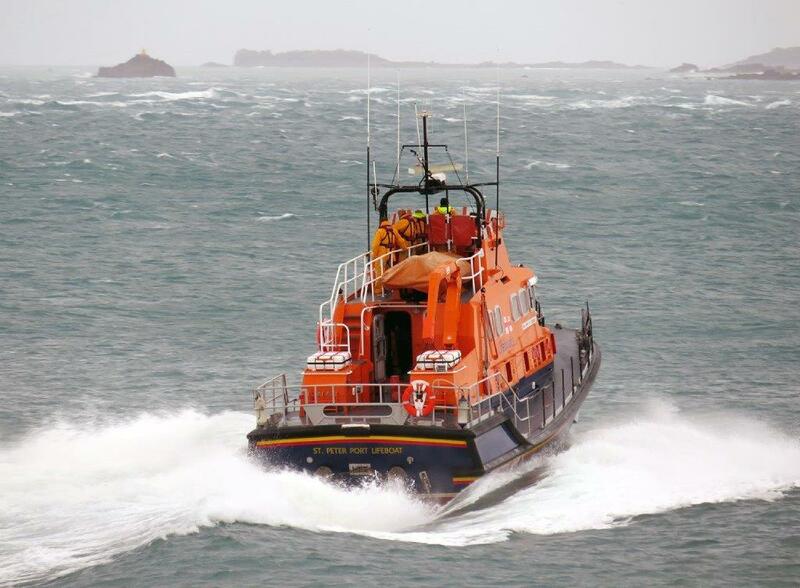 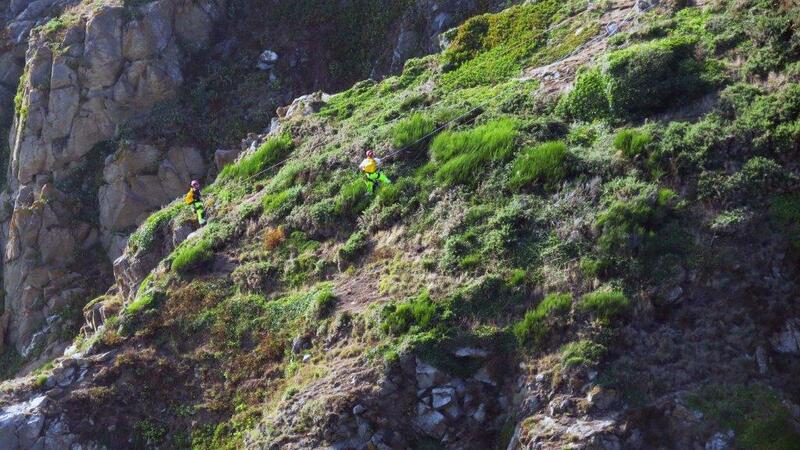 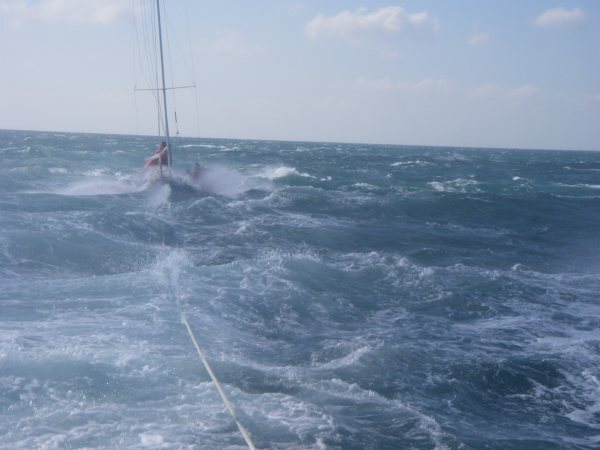 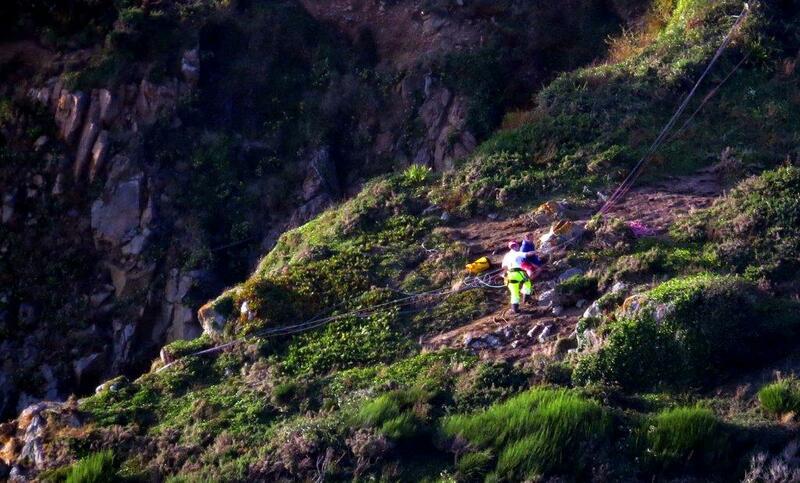 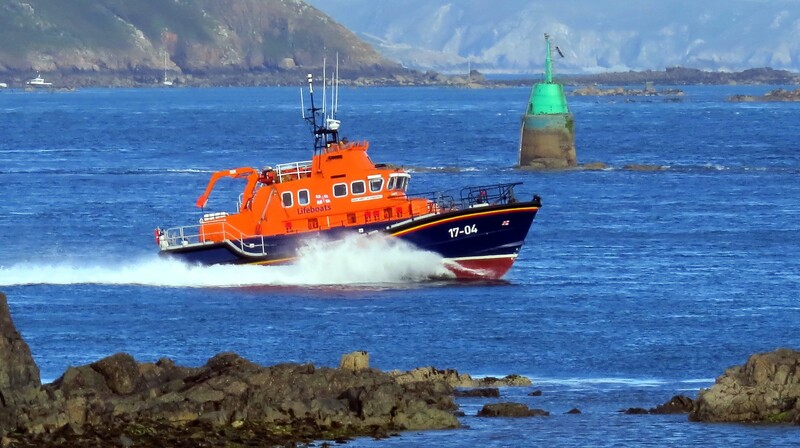 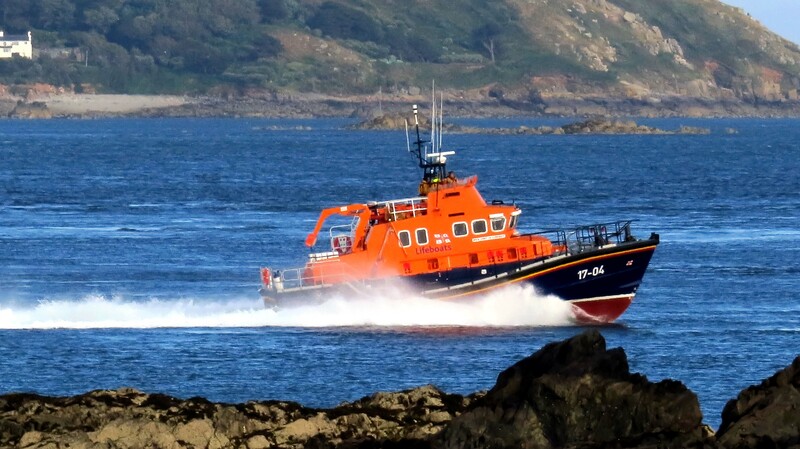 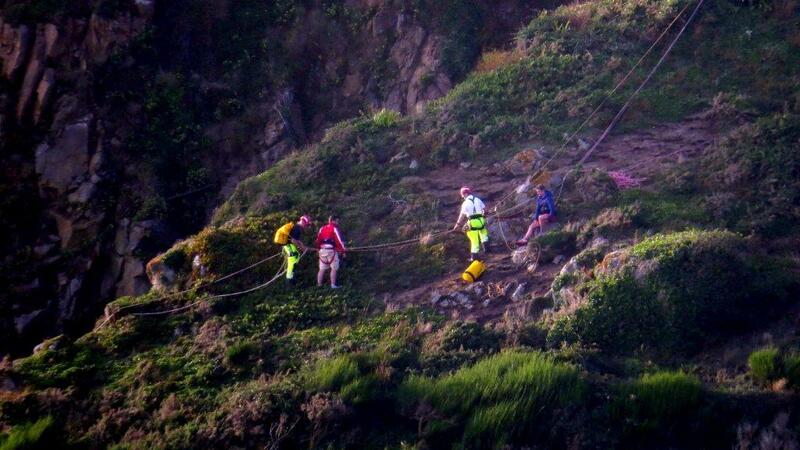 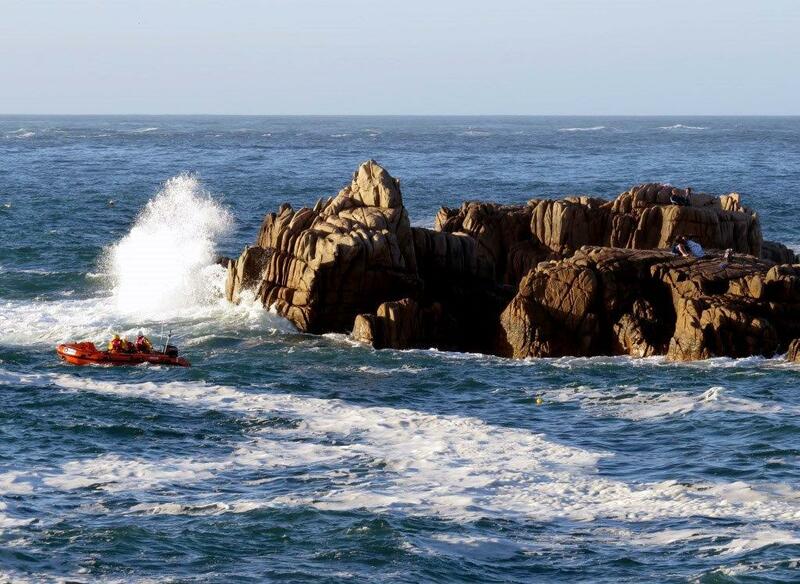 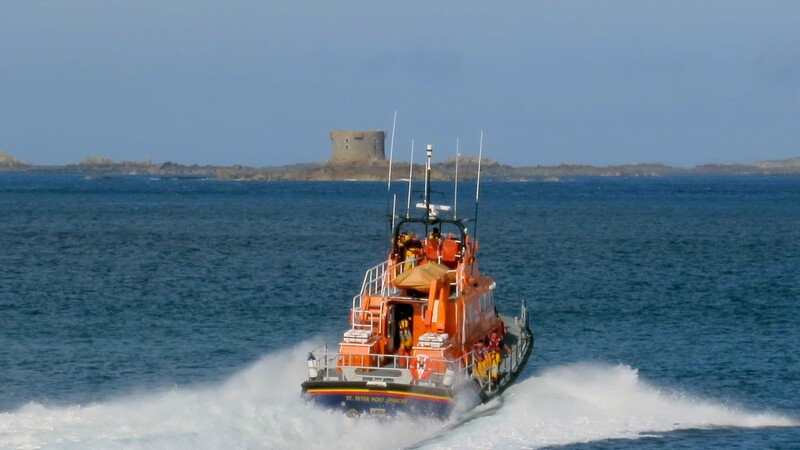 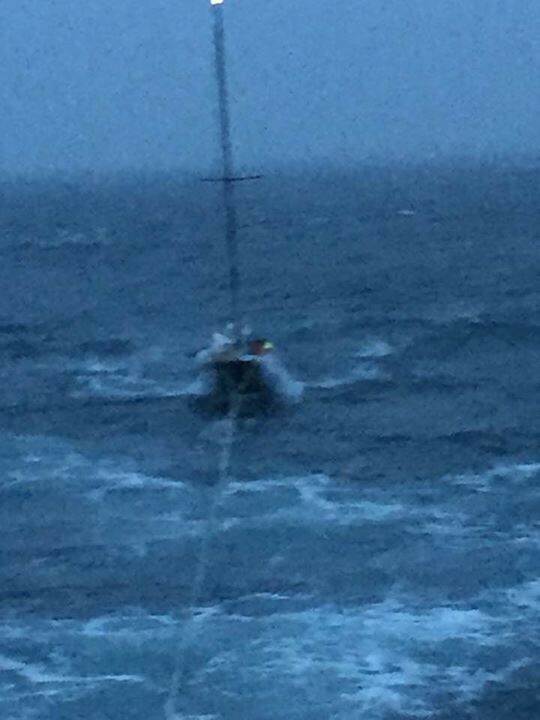 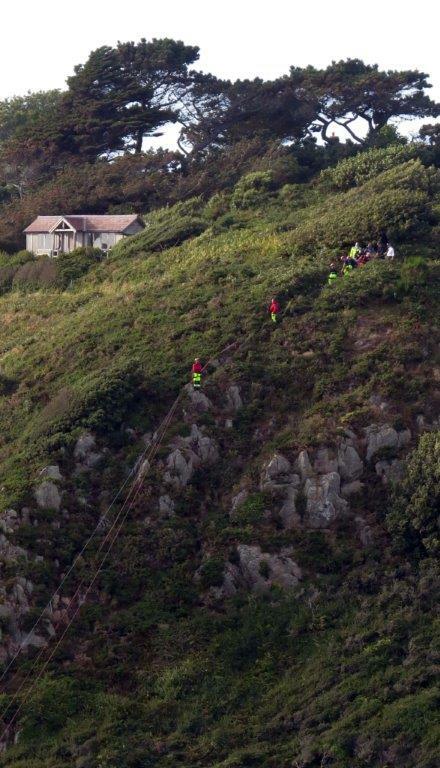 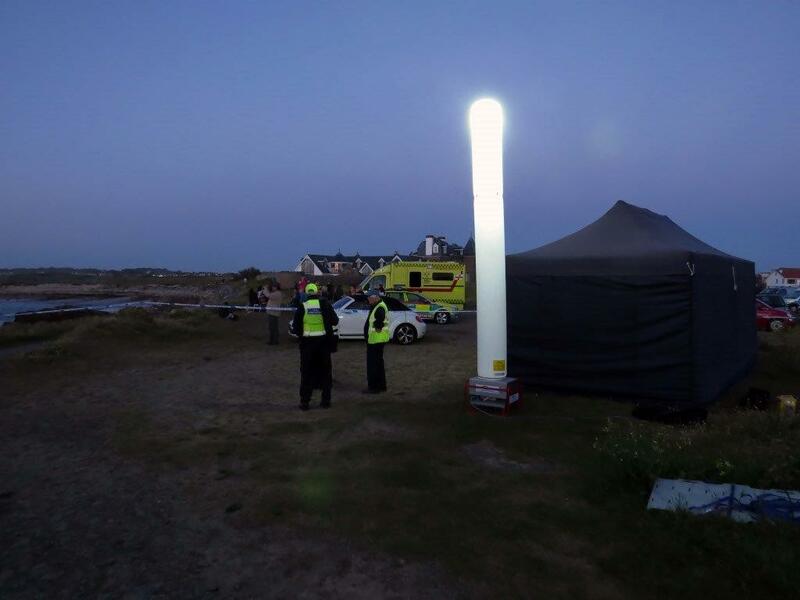 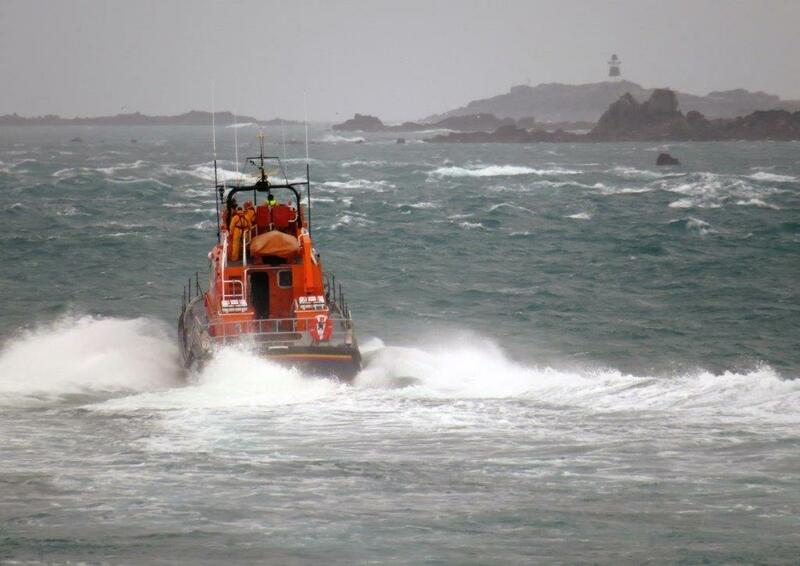 At 1250 on Sunday 21st April, Guernsey Coastguard received a MAYDAY call from a Jersey registered vessel in distress approximately 5 miles south-east of St Martin’s Point. 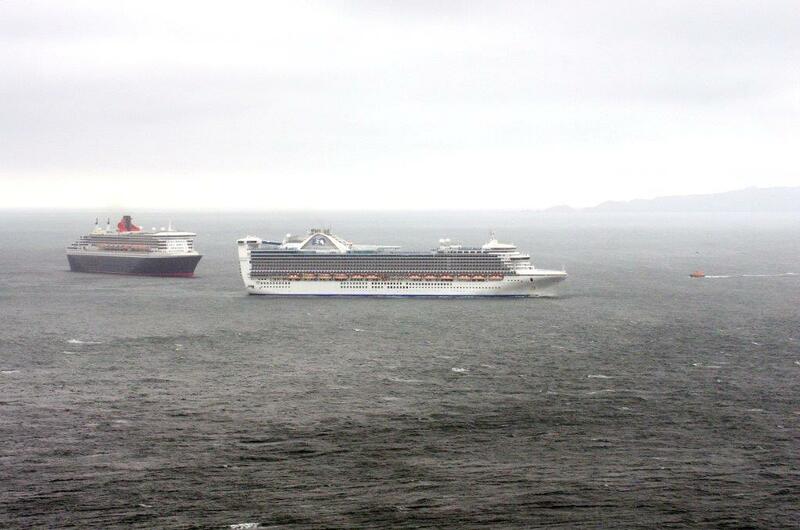 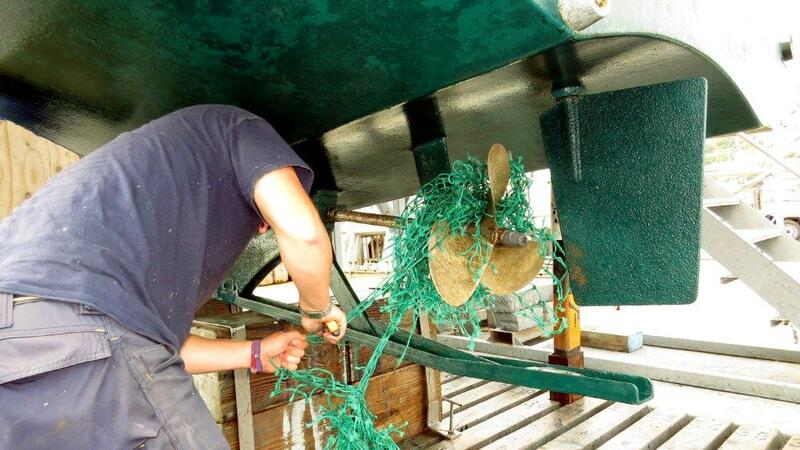 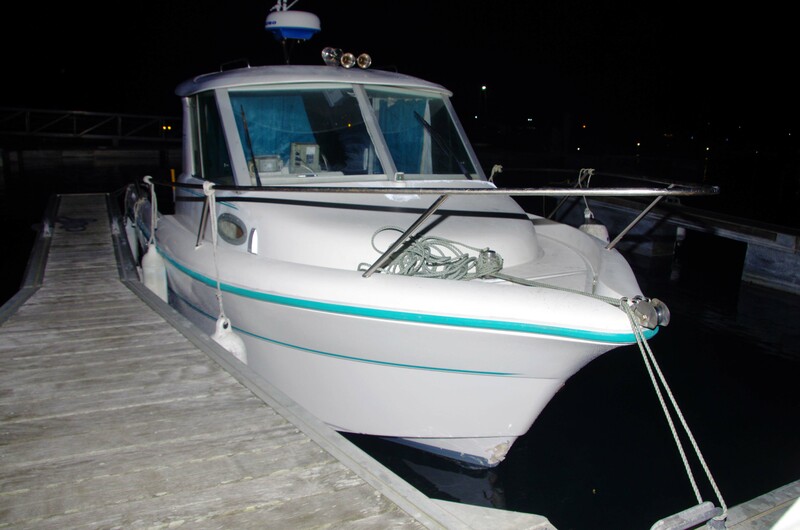 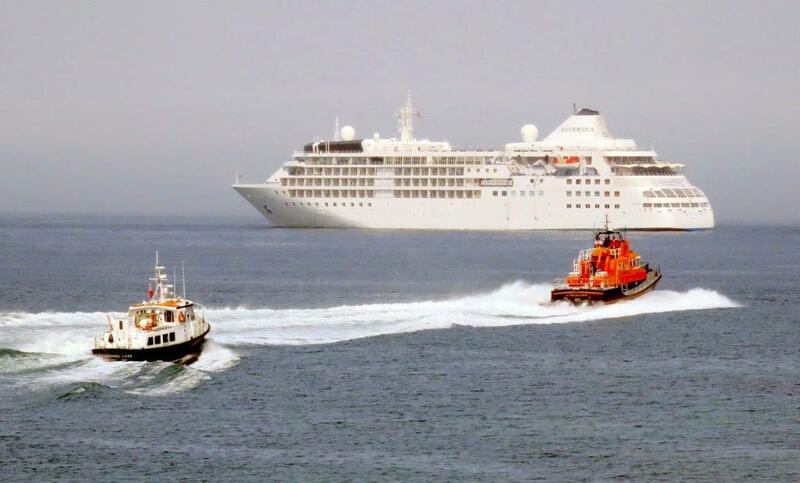 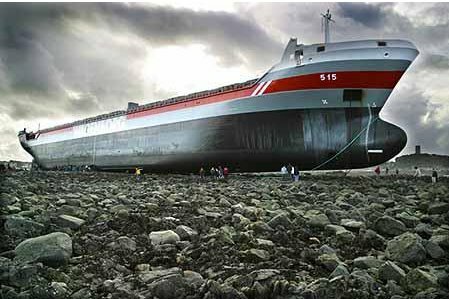 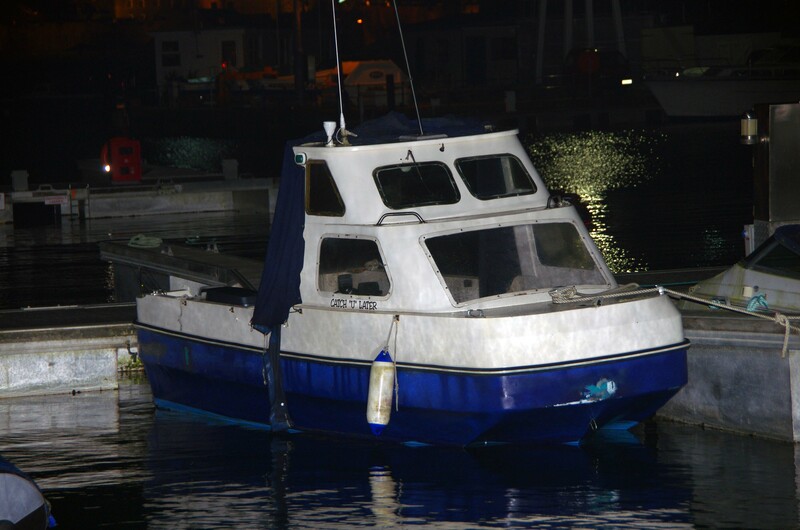 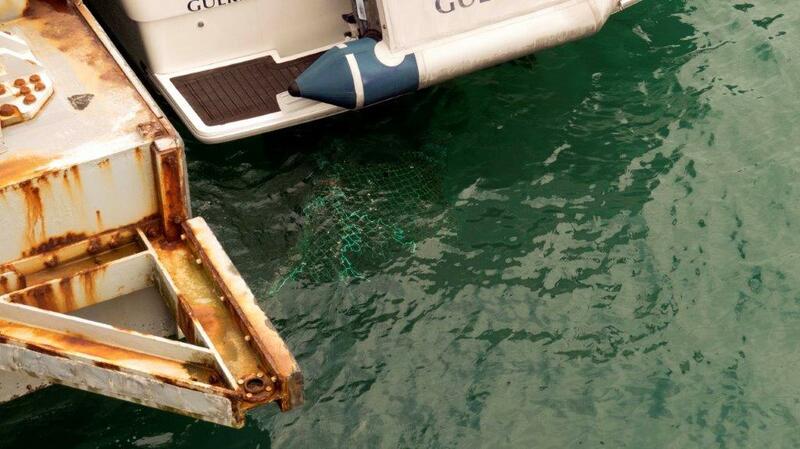 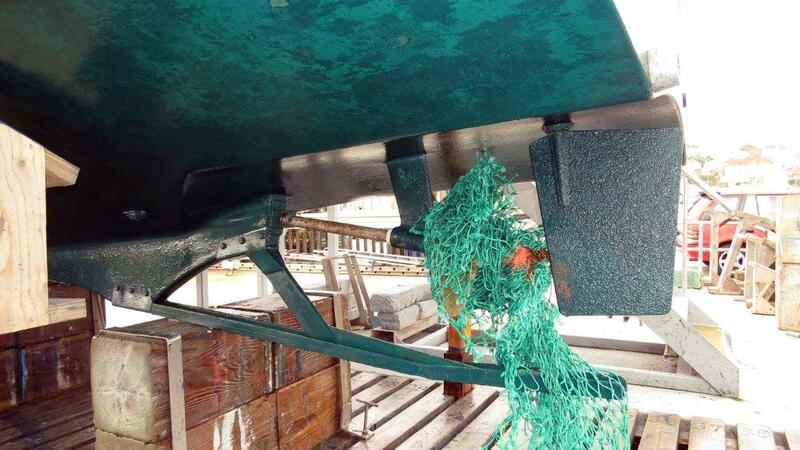 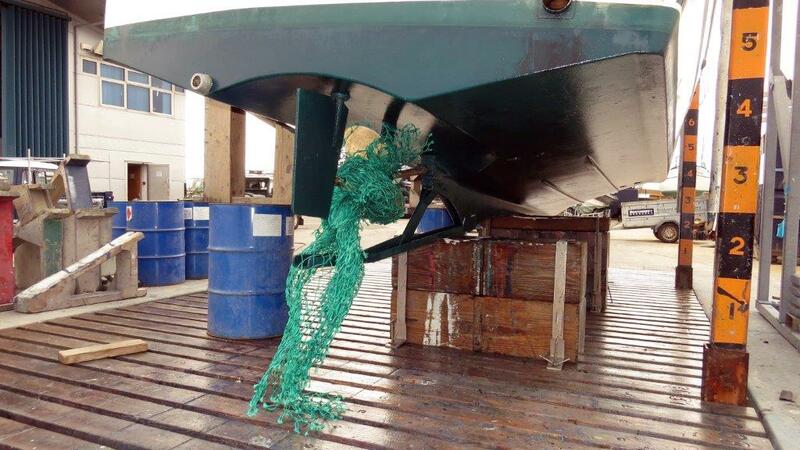 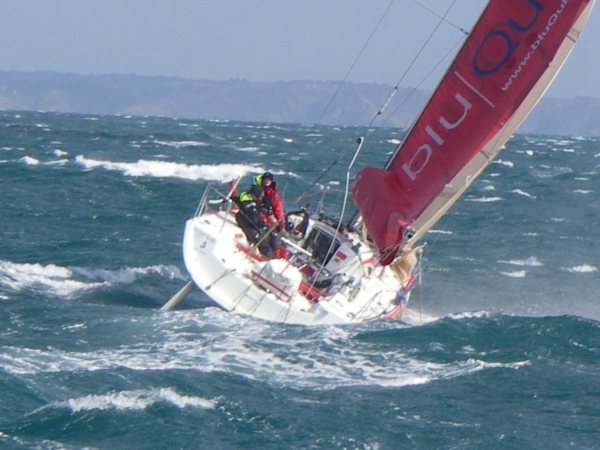 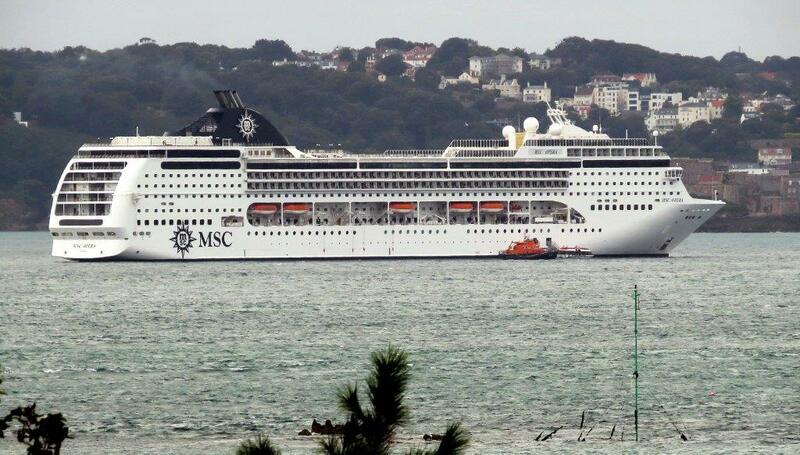 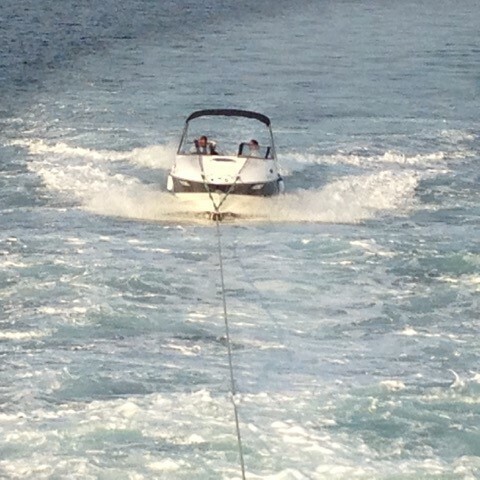 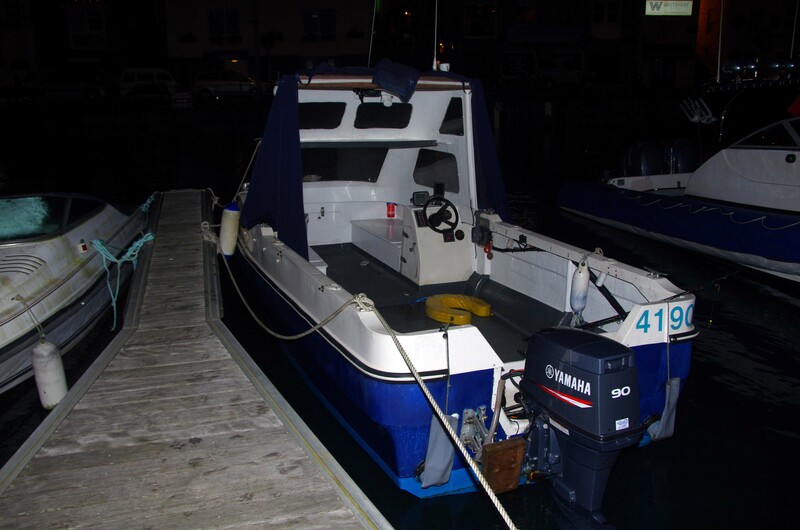 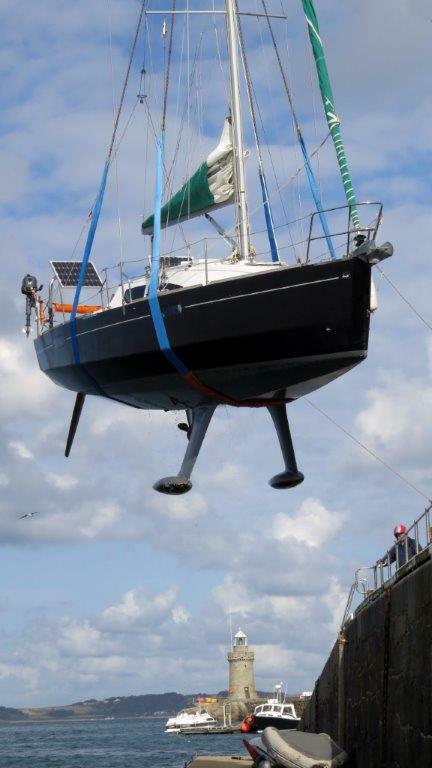 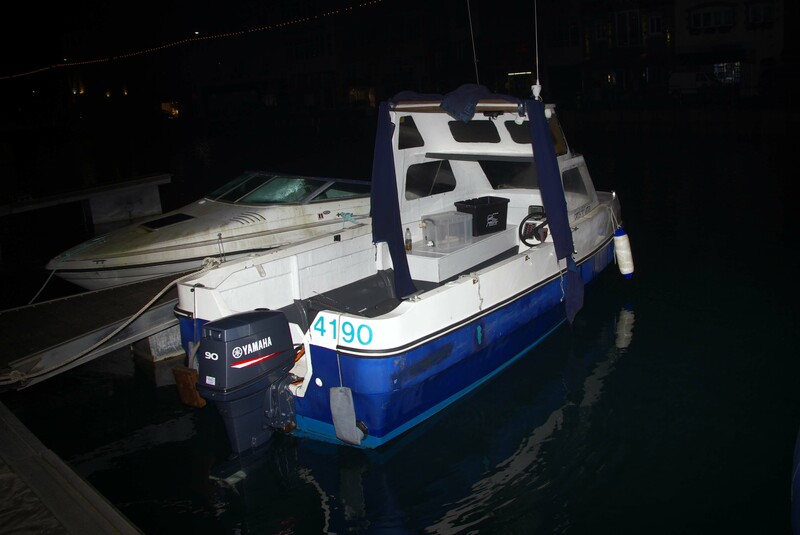 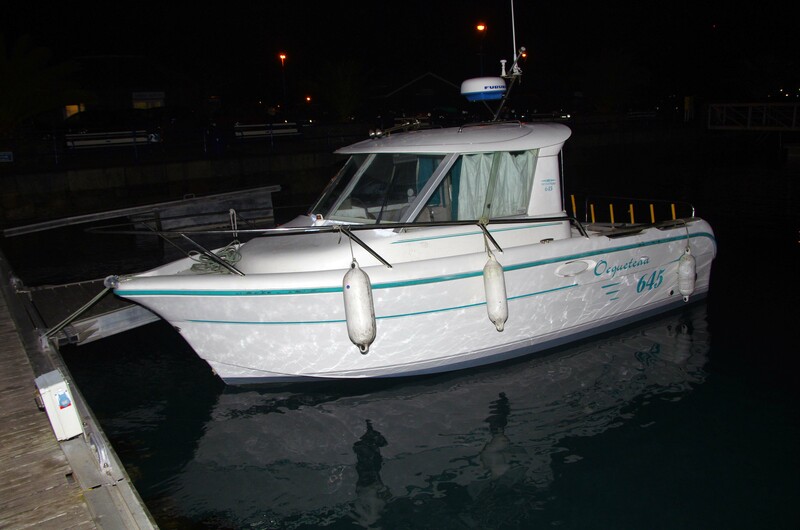 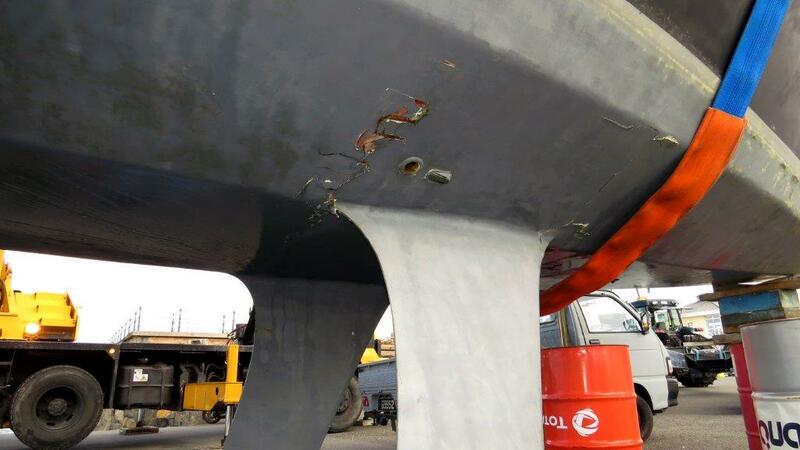 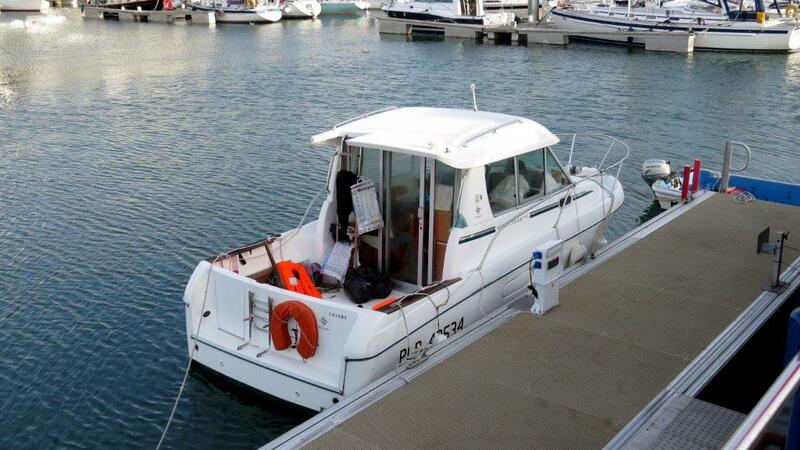 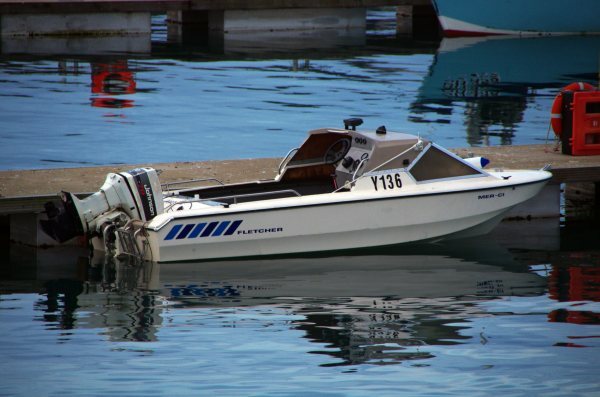 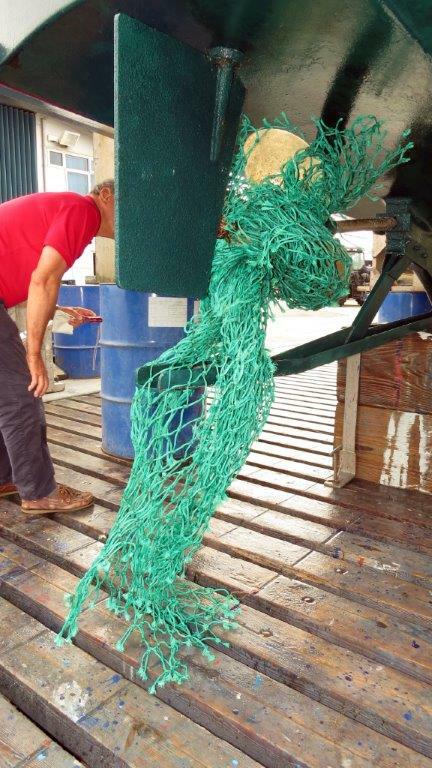 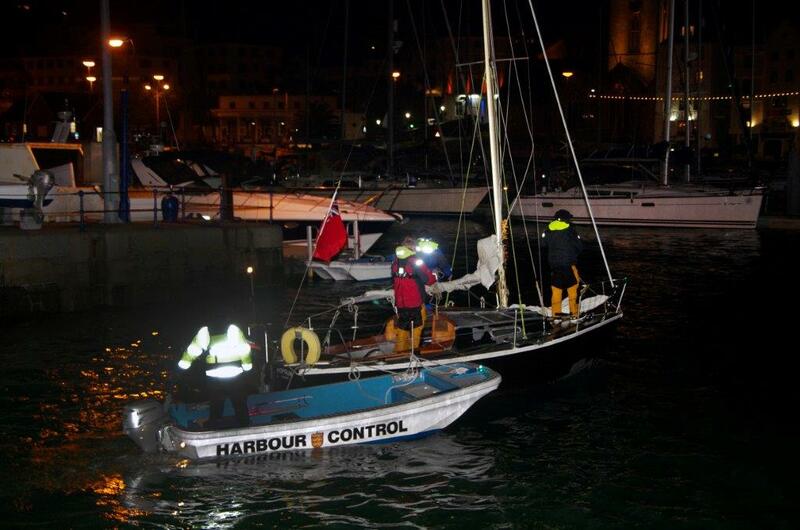 Motor vessel “Majeur Deux” had suffered a mechanical failure with smoke emitting from her engine compartment. 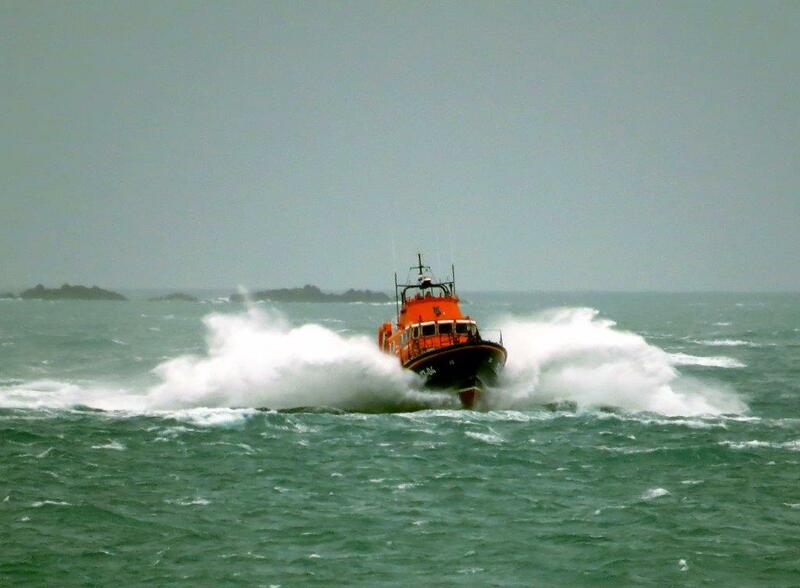 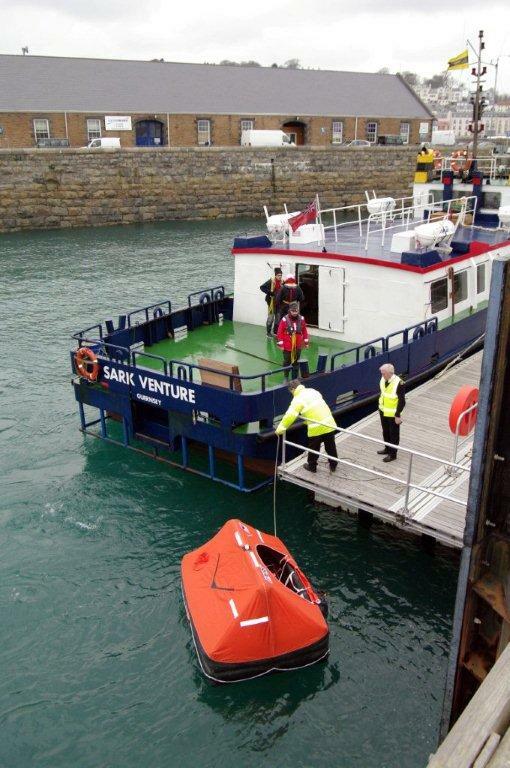 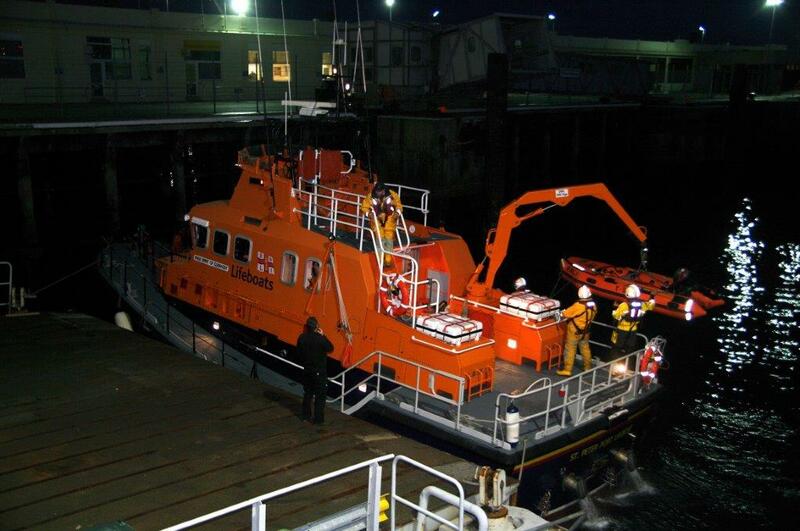 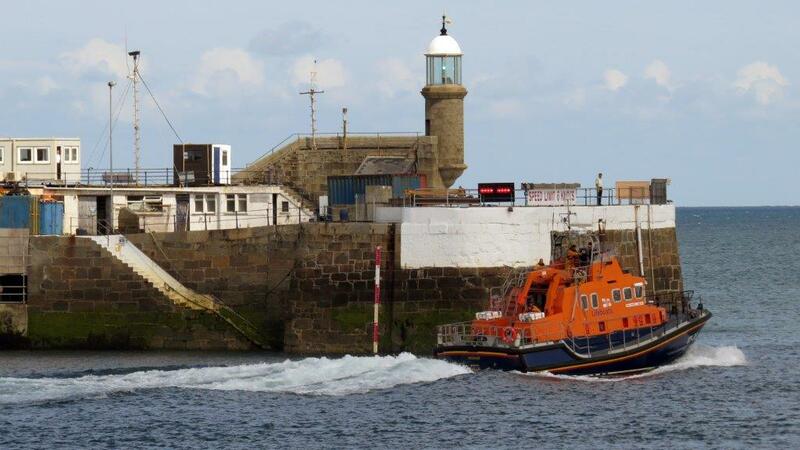 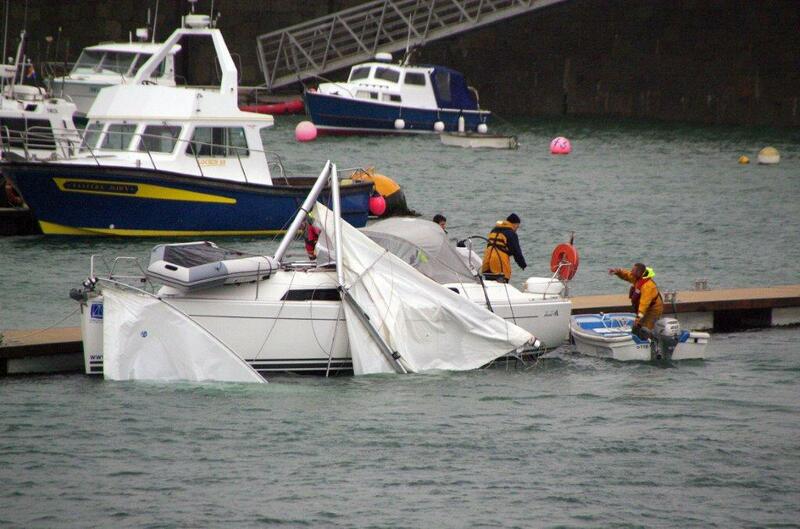 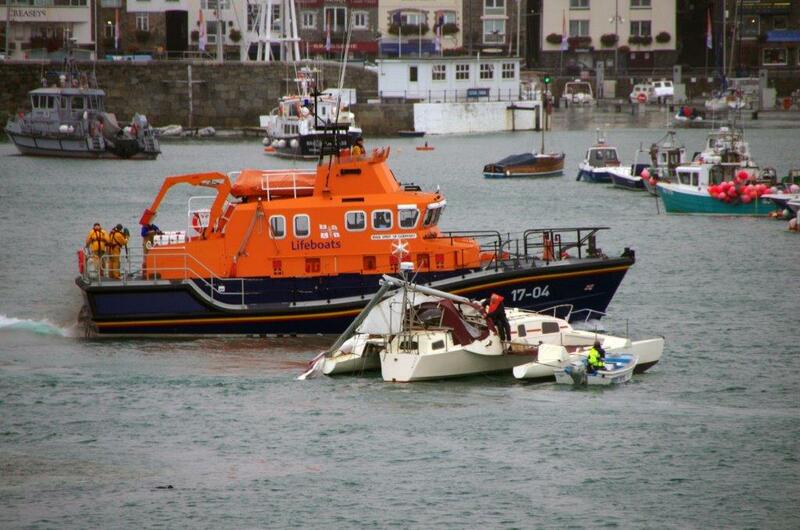 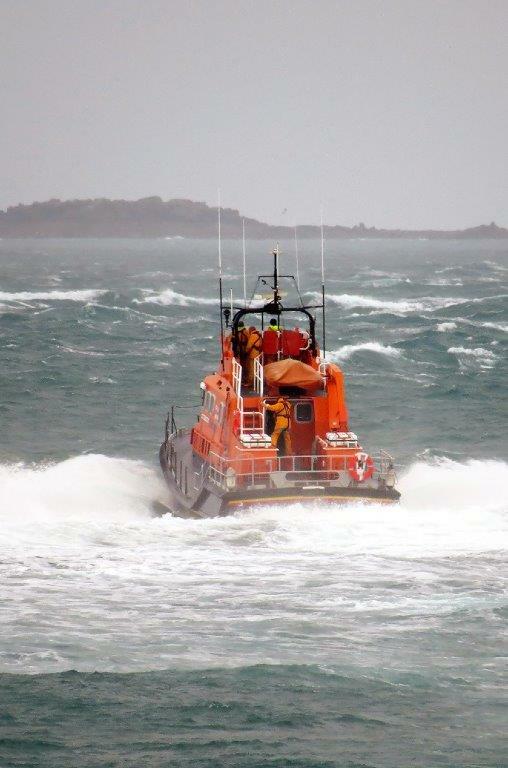 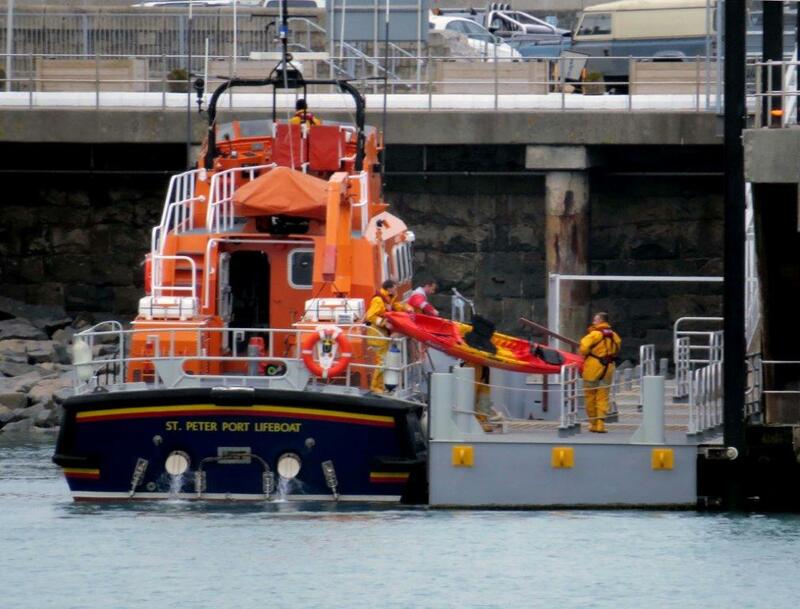 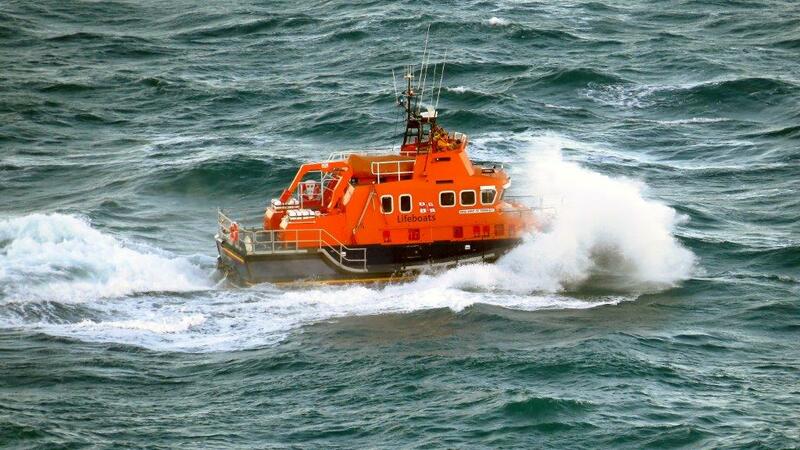 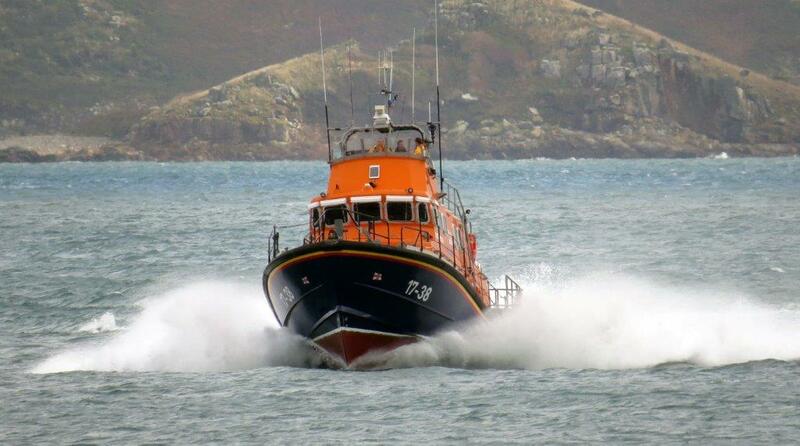 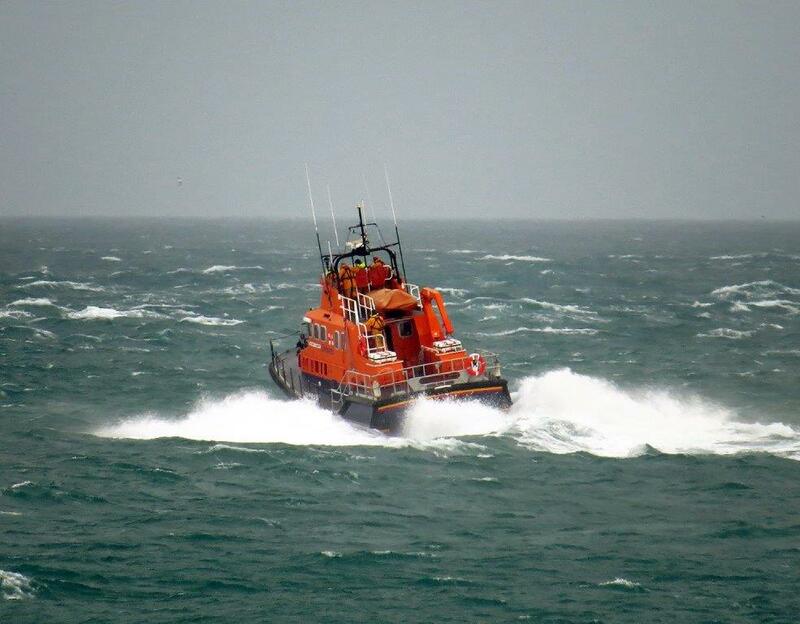 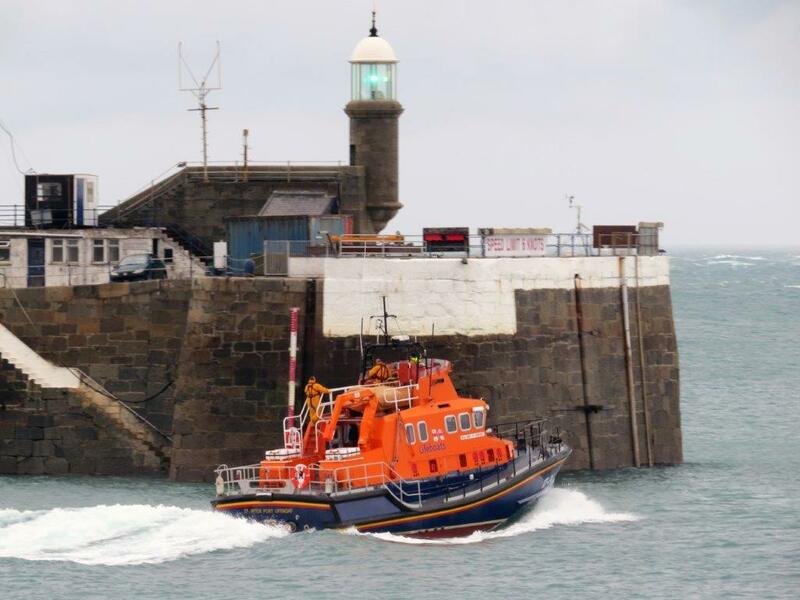 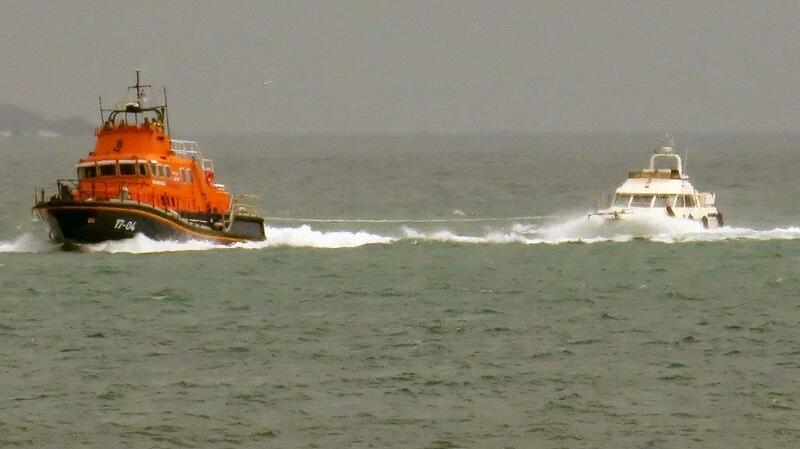 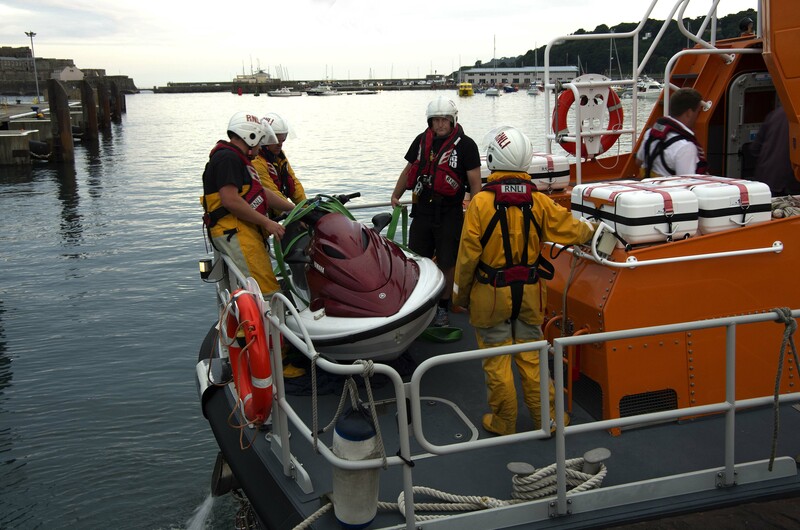 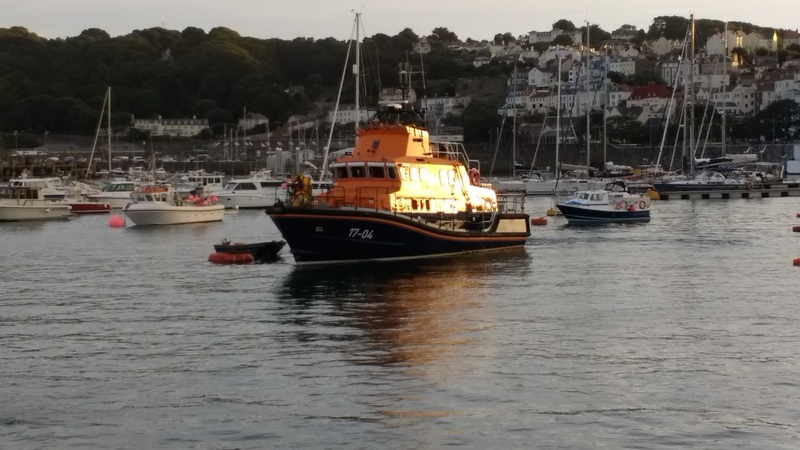 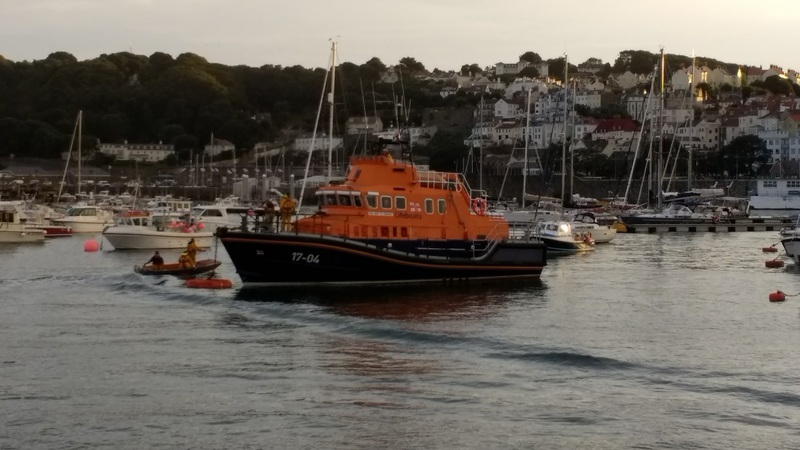 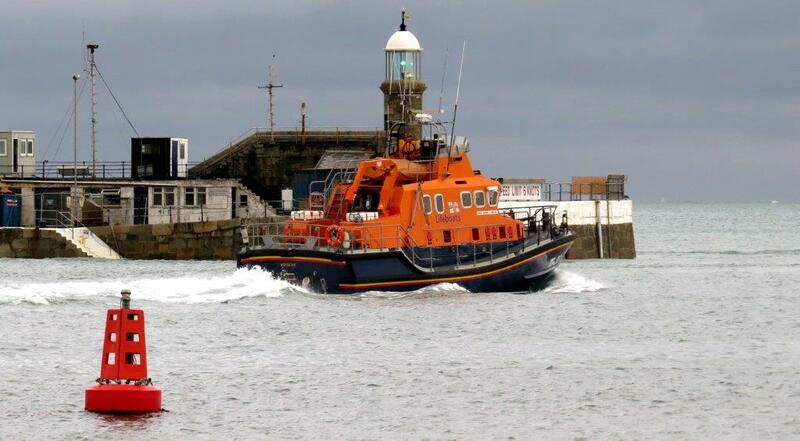 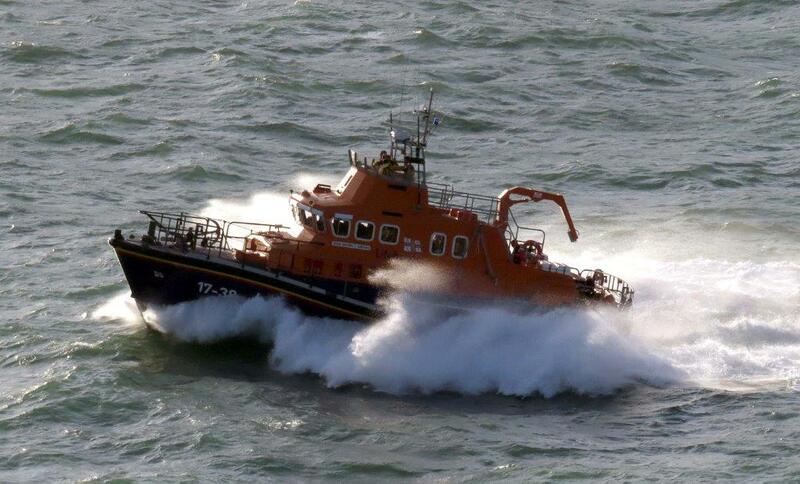 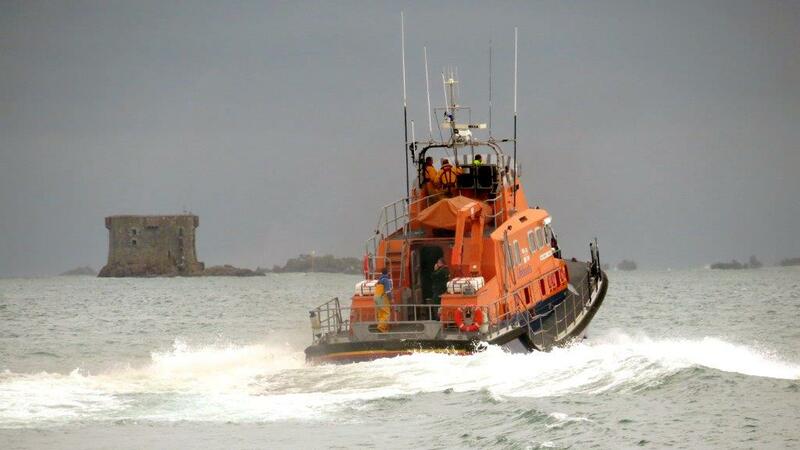 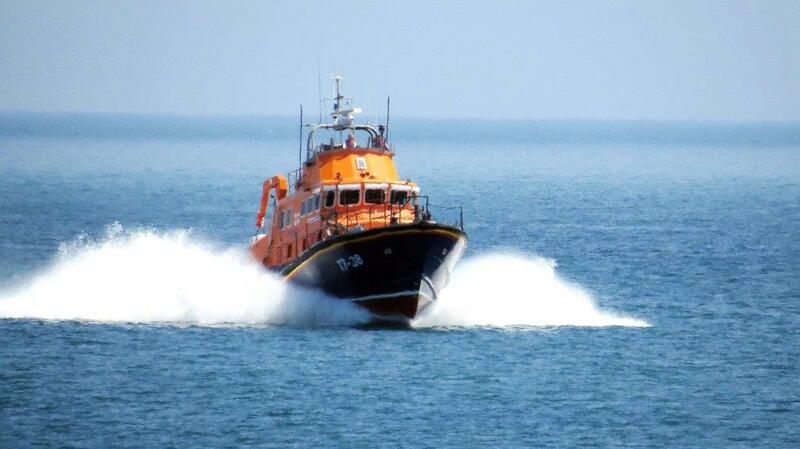 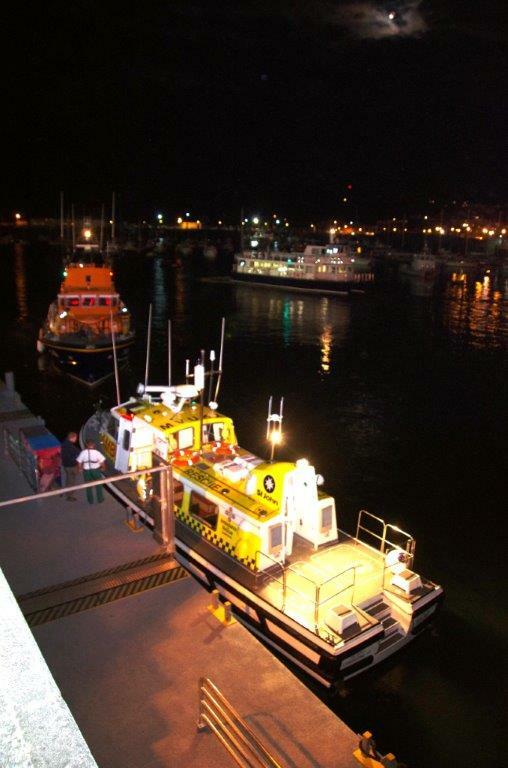 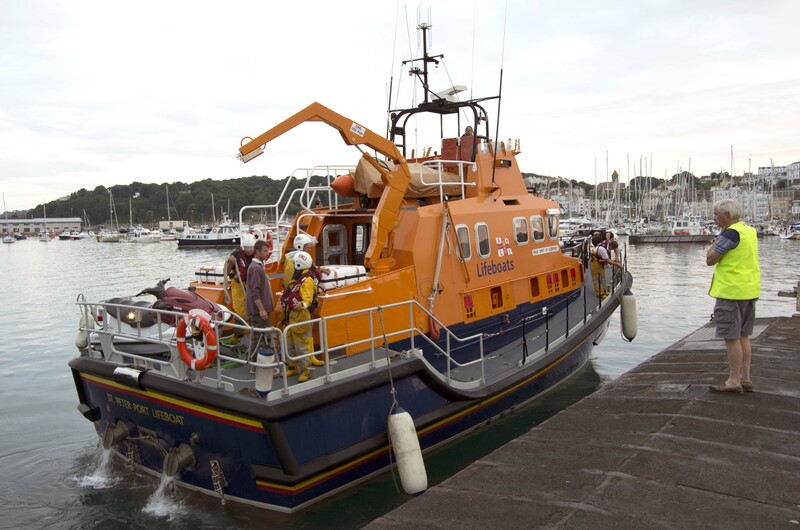 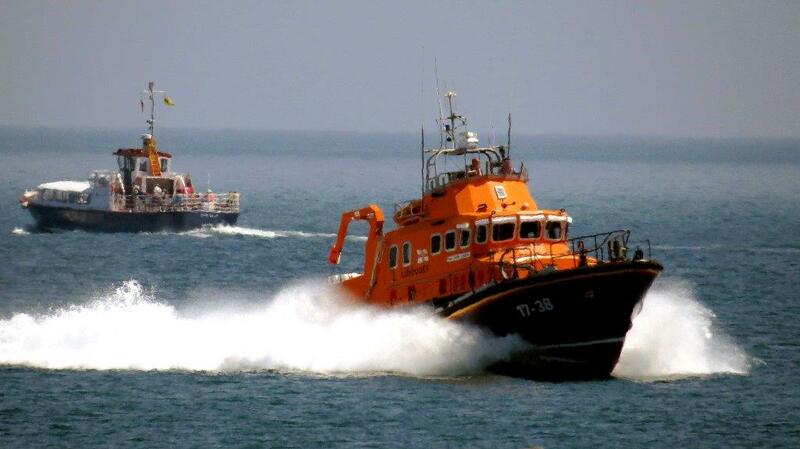 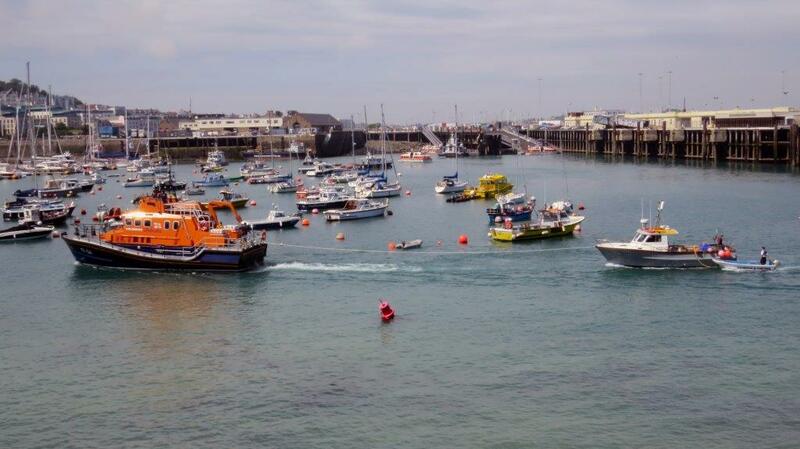 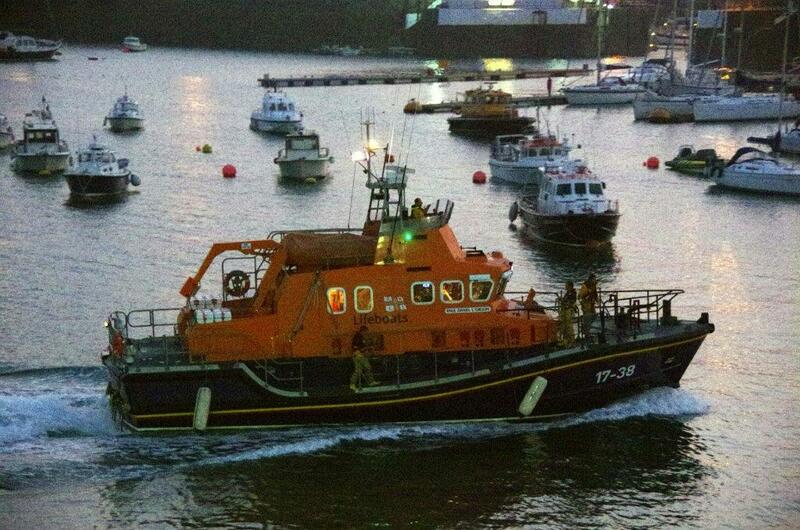 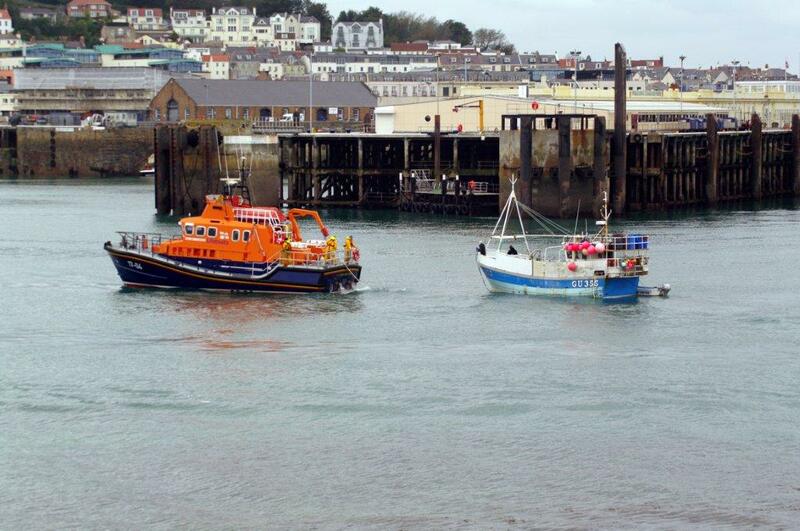 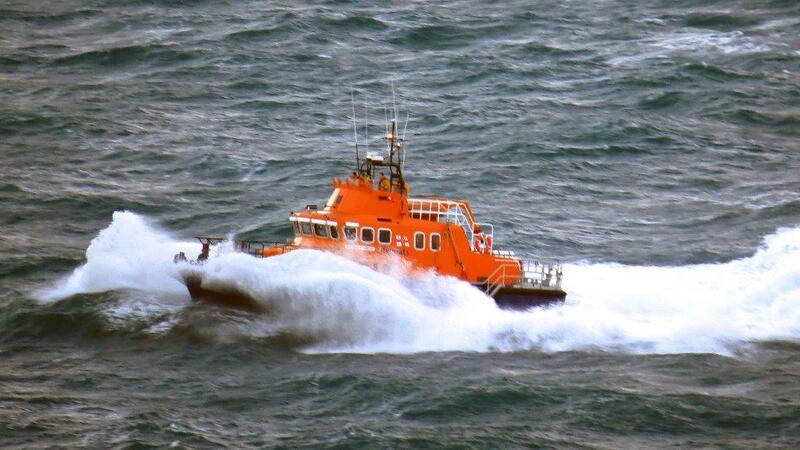 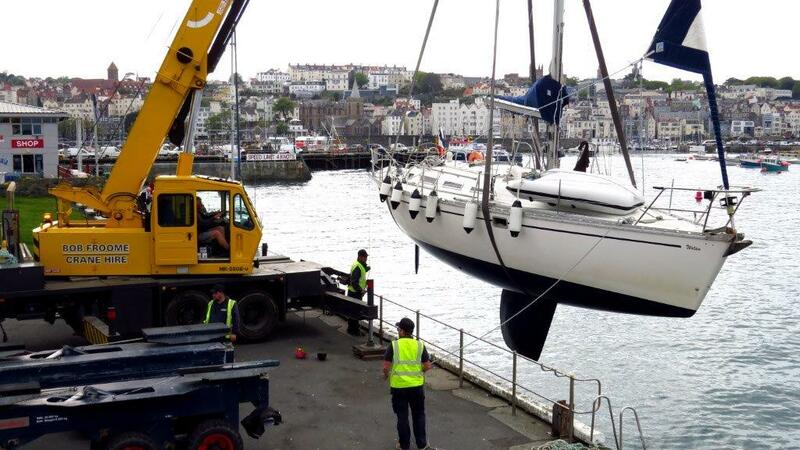 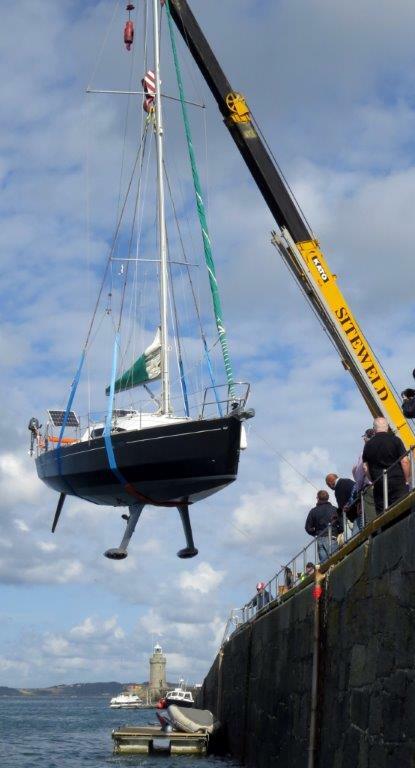 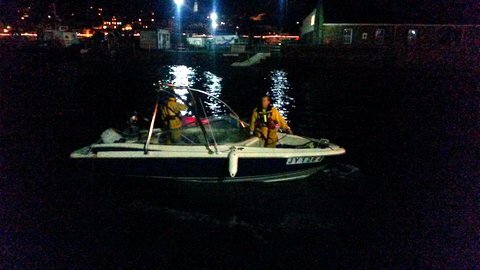 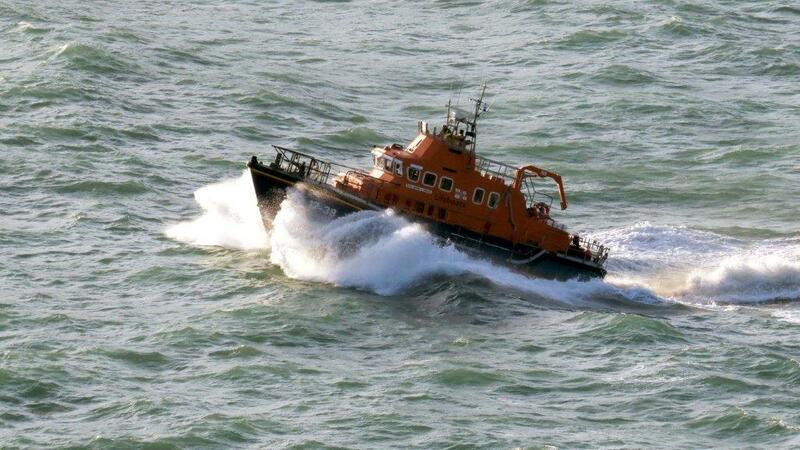 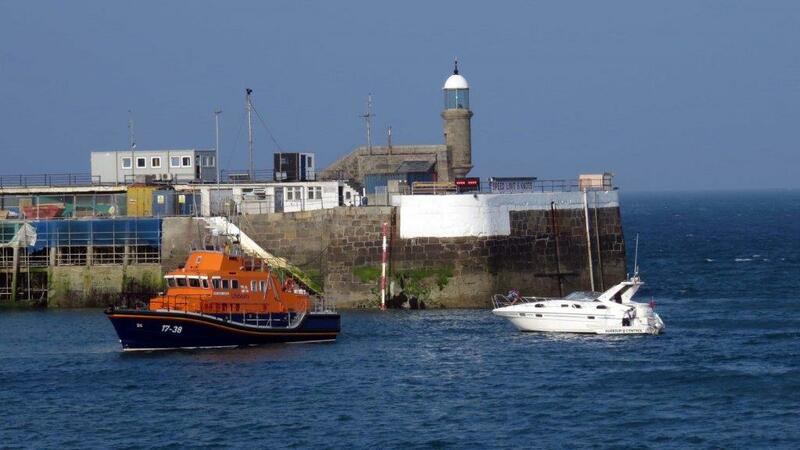 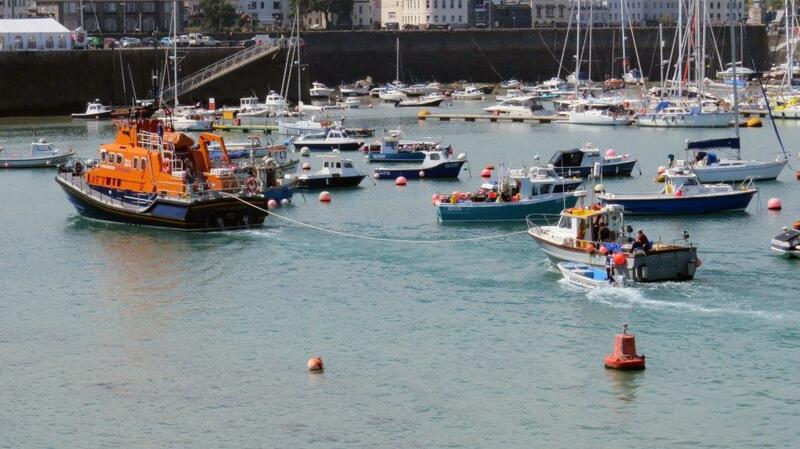 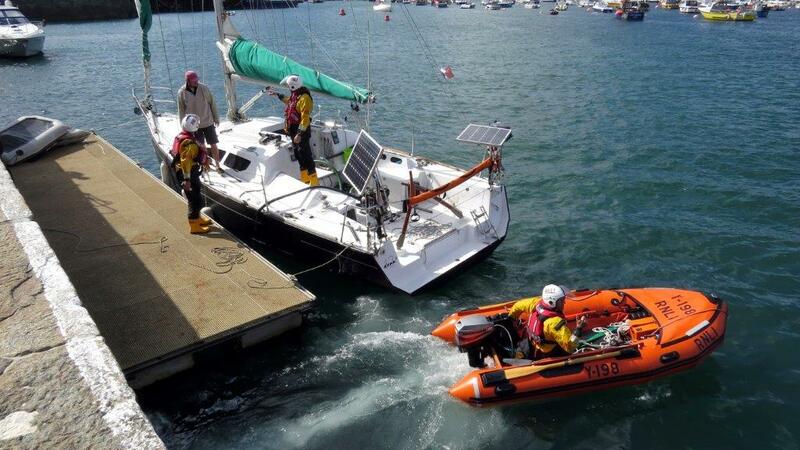 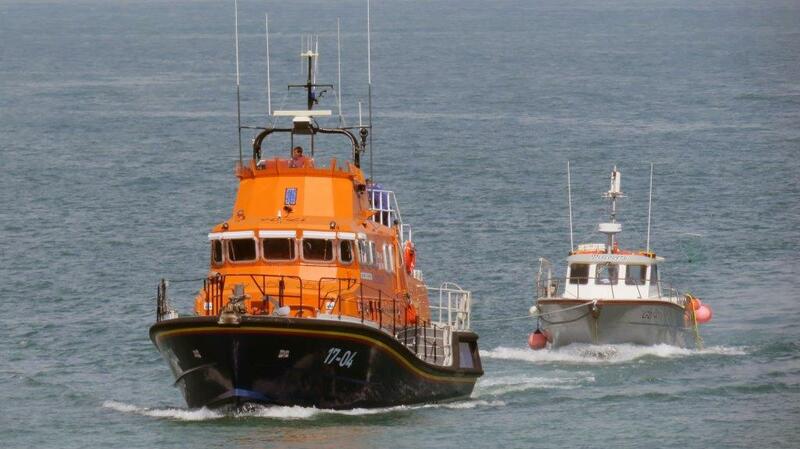 At 1305, St Peter Port Lifeboat was launched to assist the vessel. 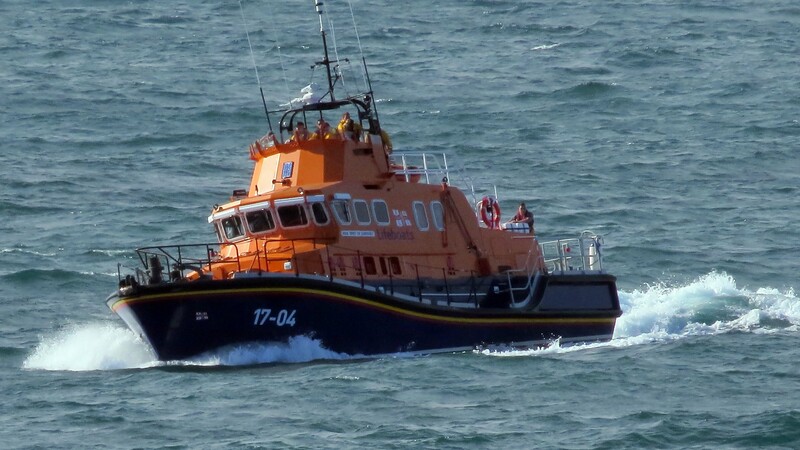 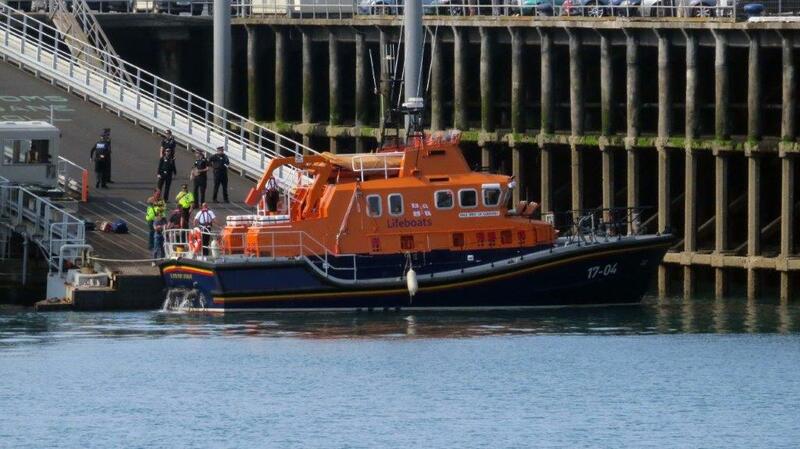 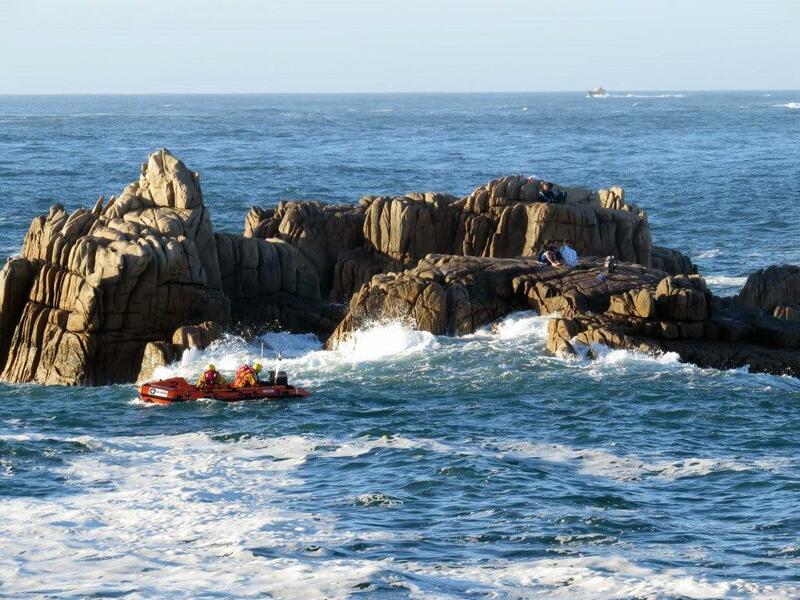 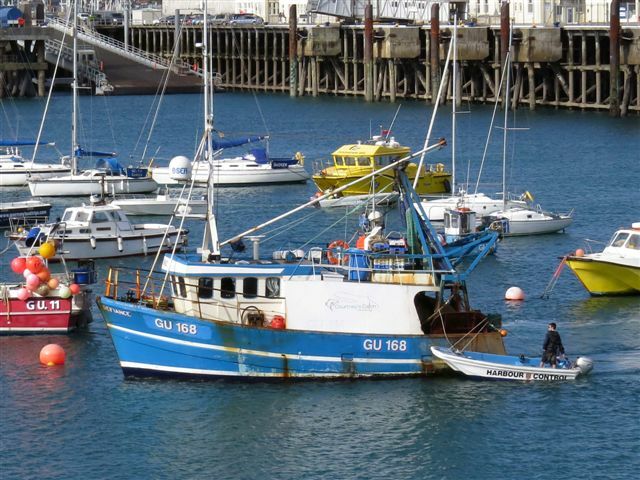 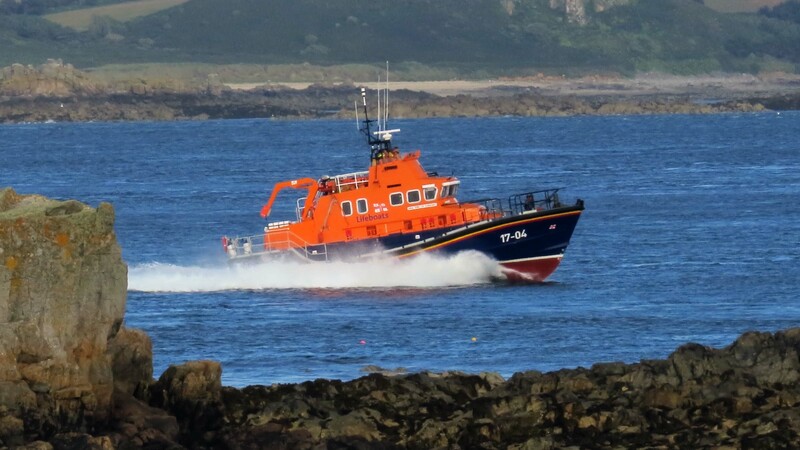 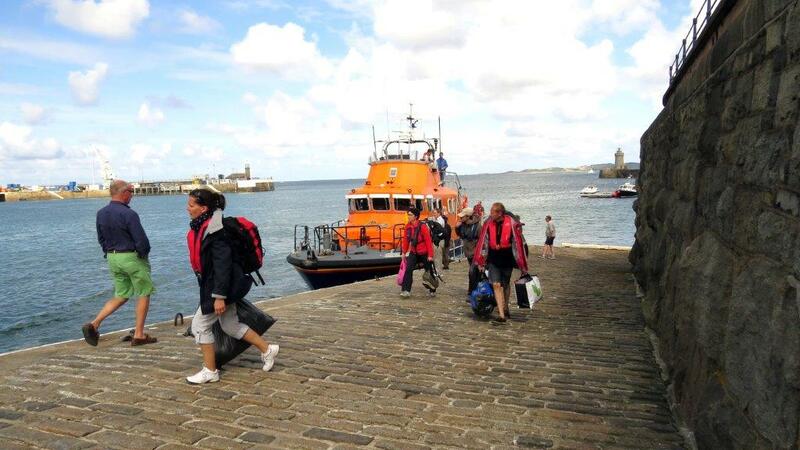 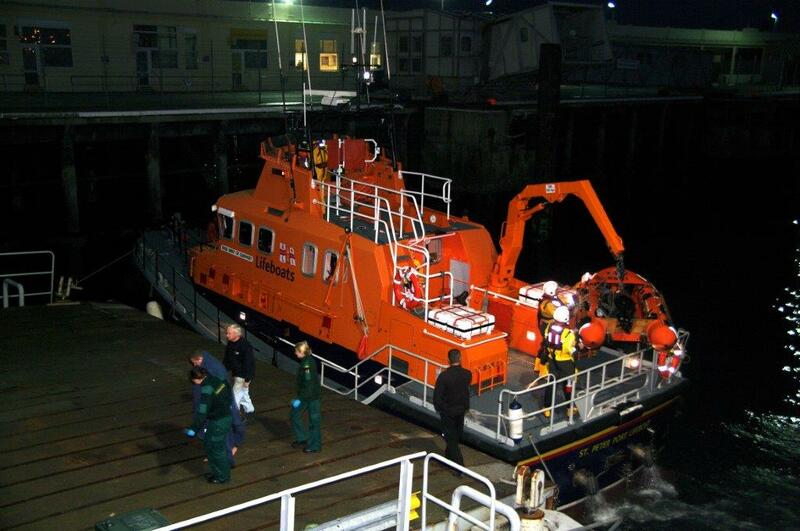 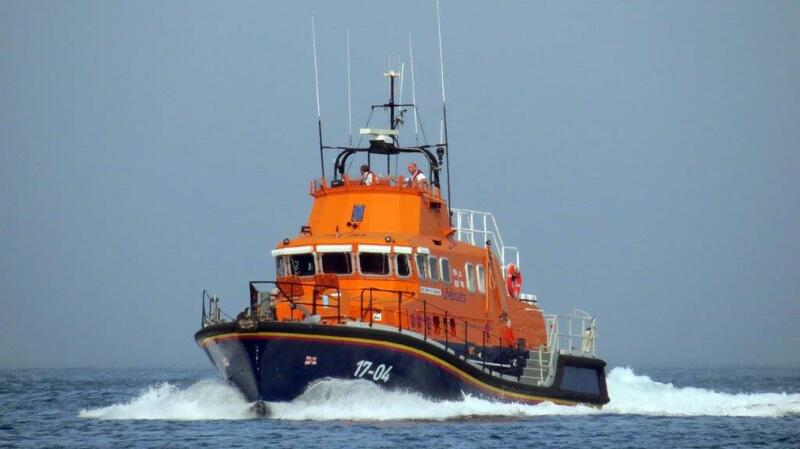 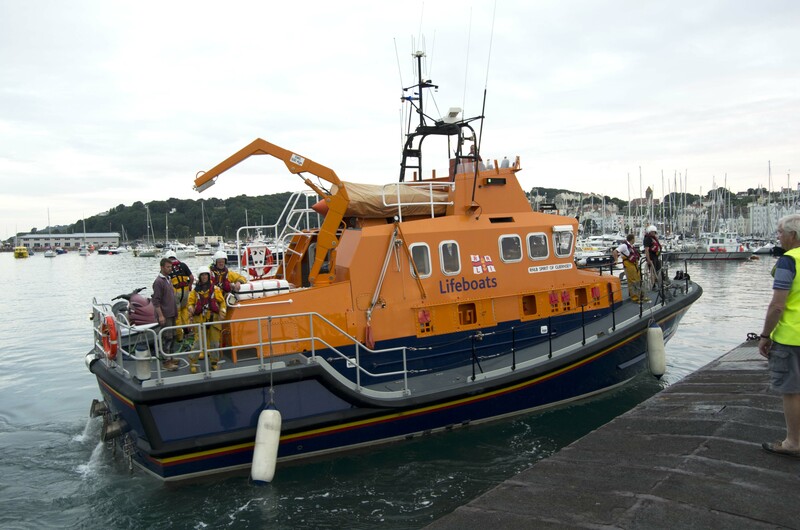 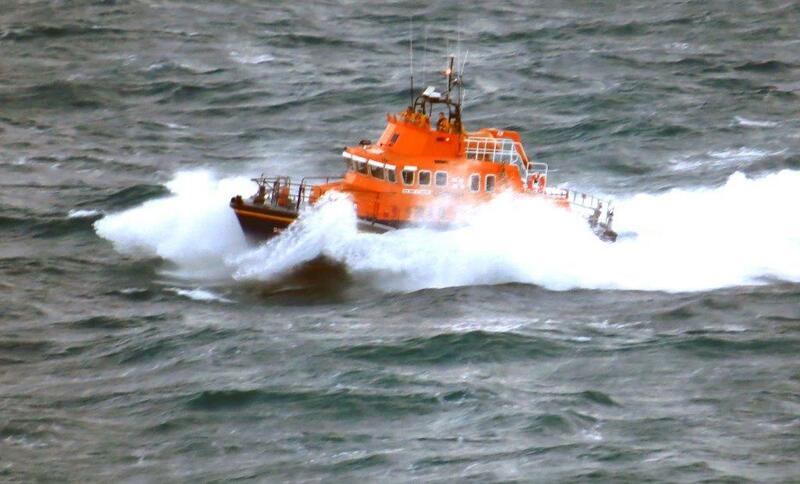 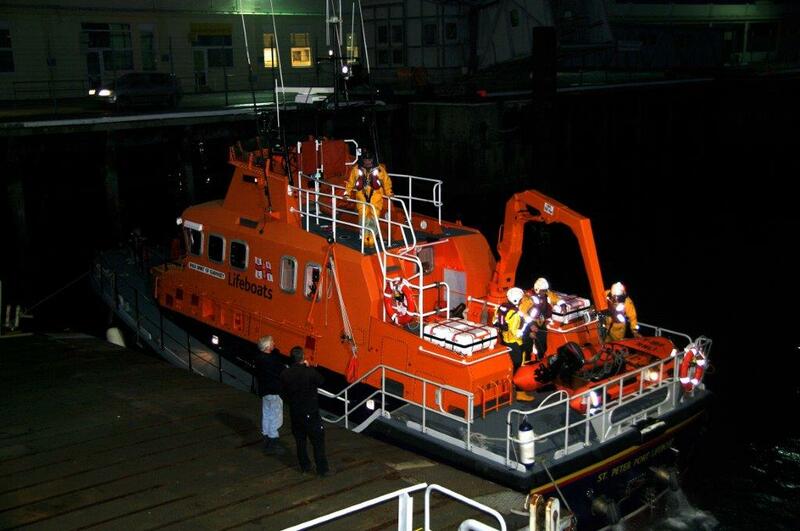 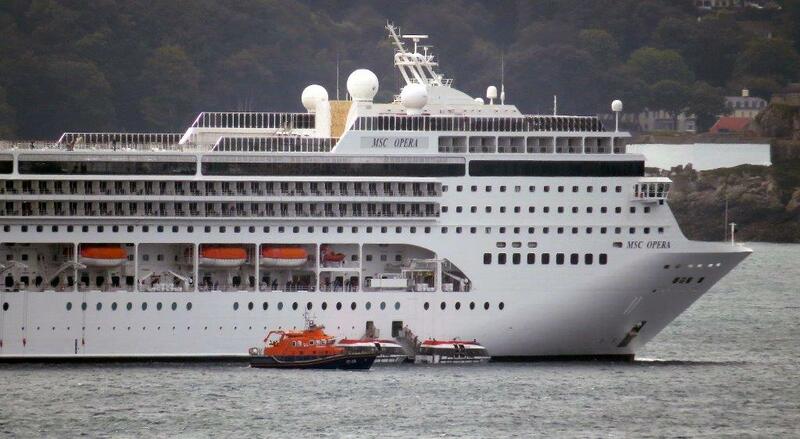 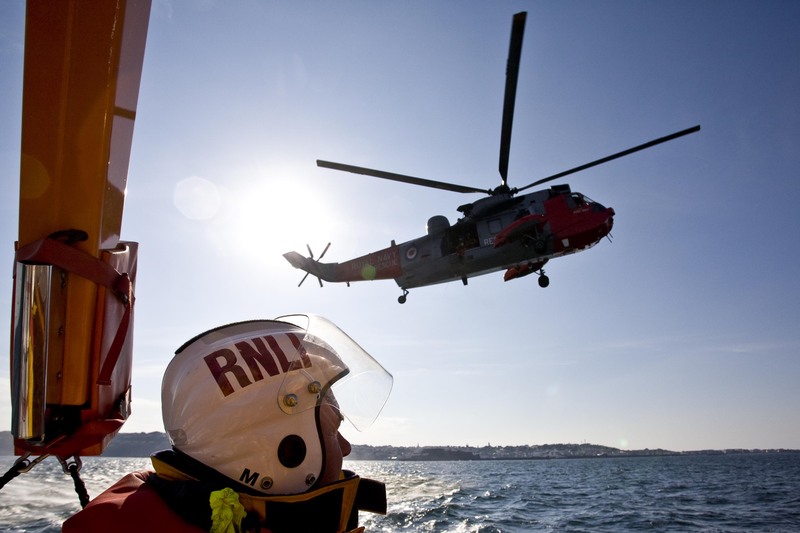 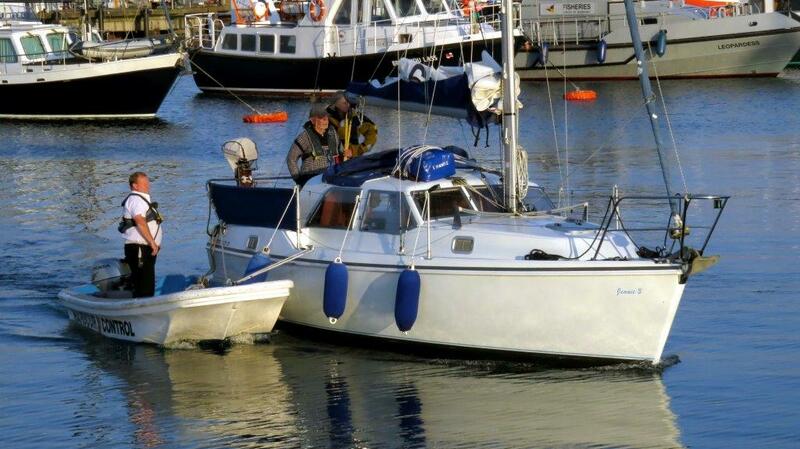 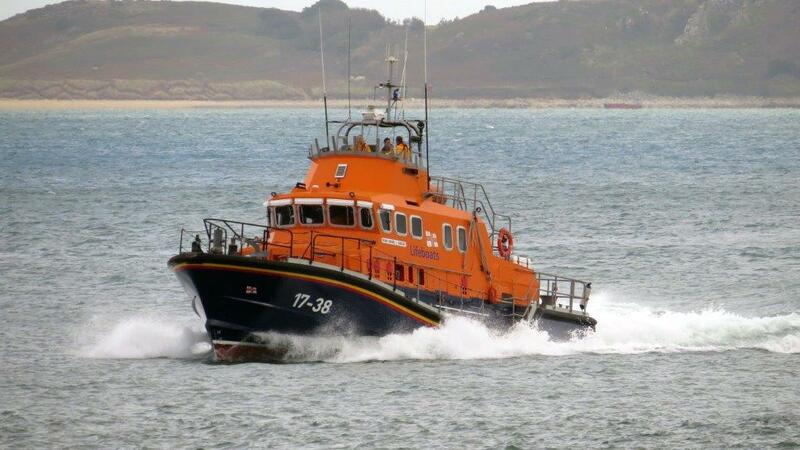 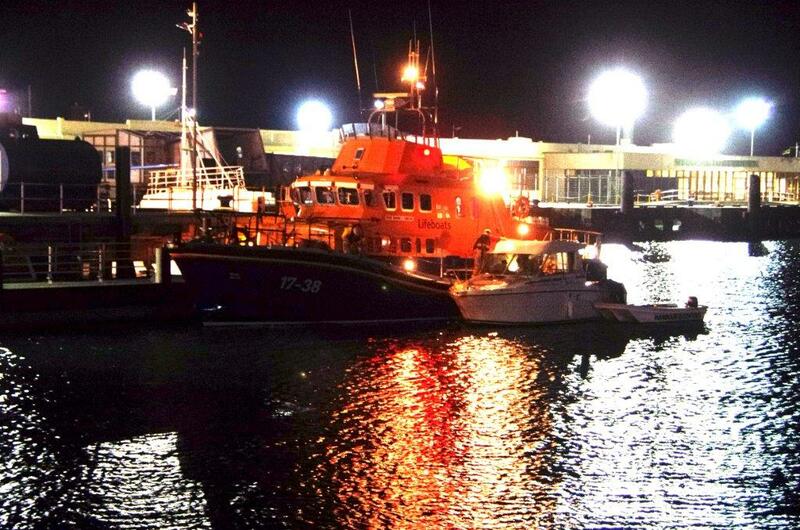 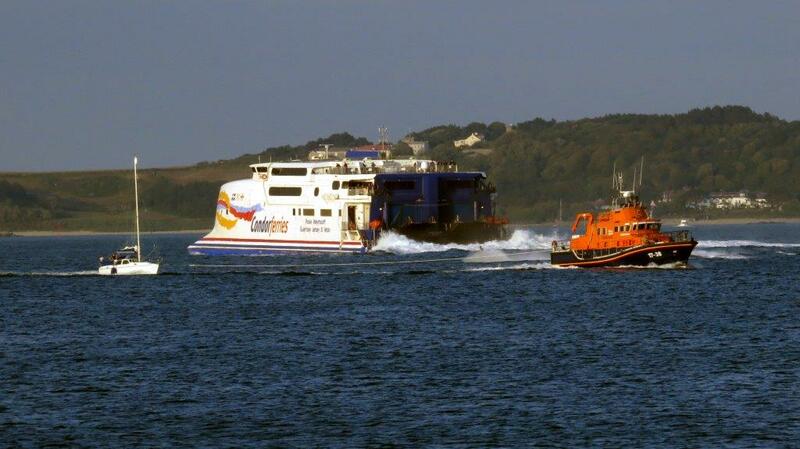 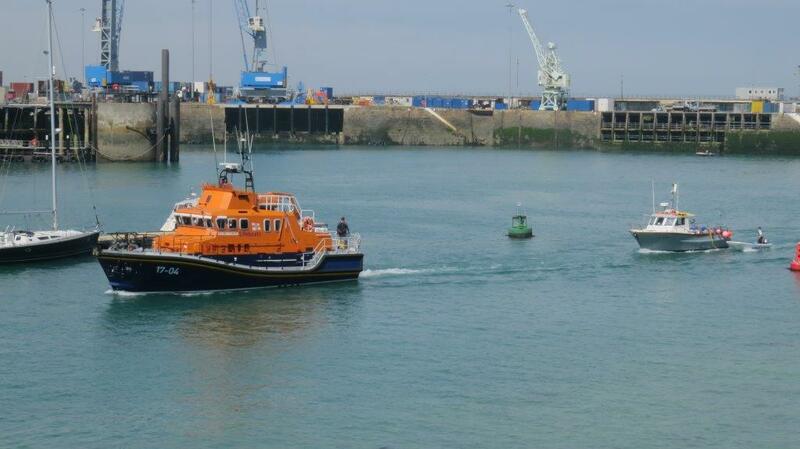 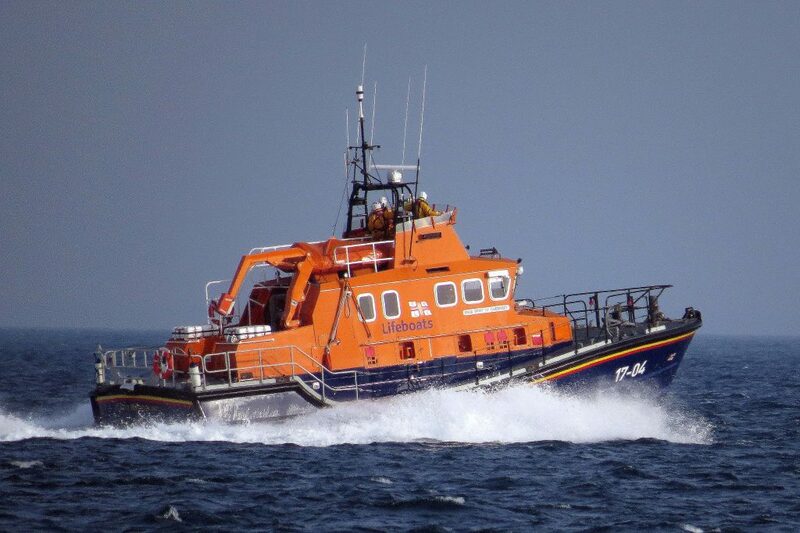 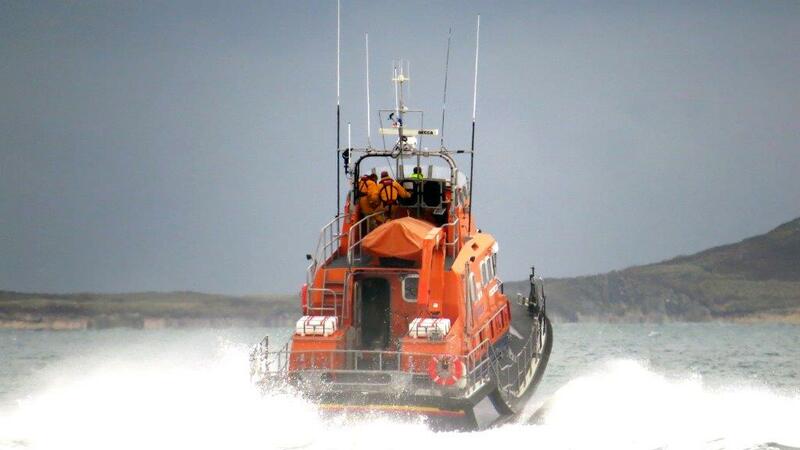 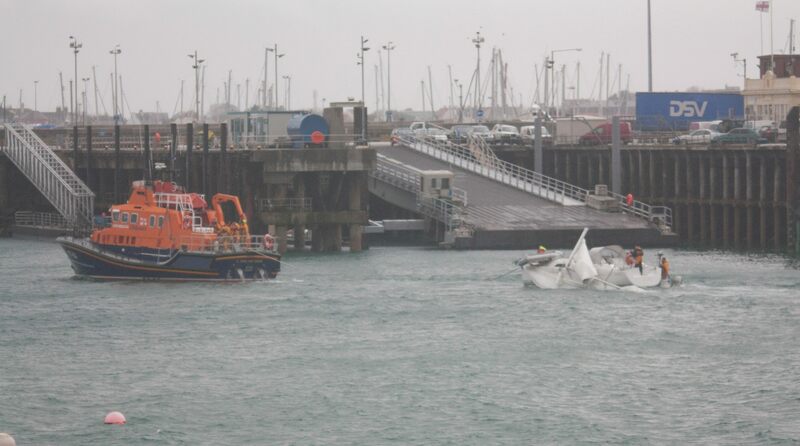 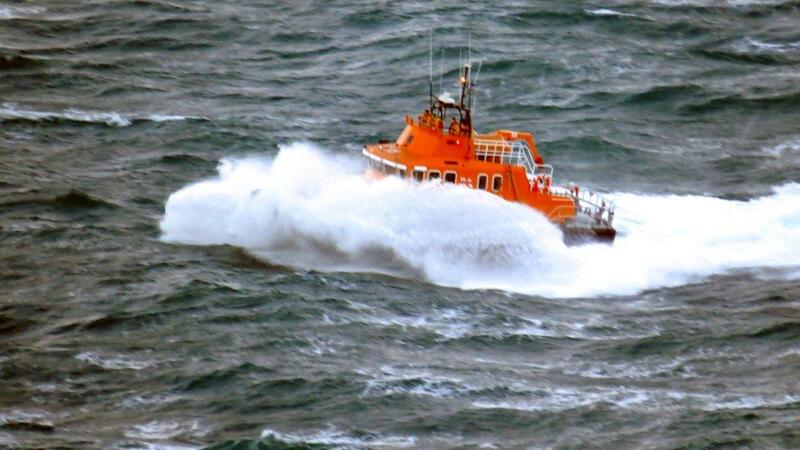 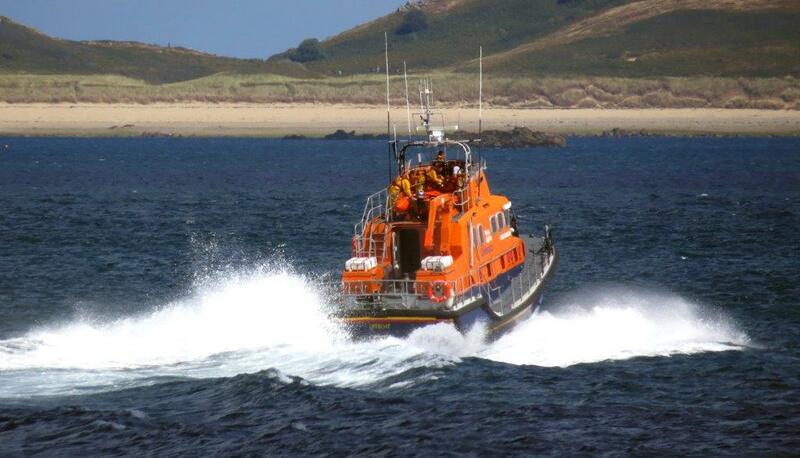 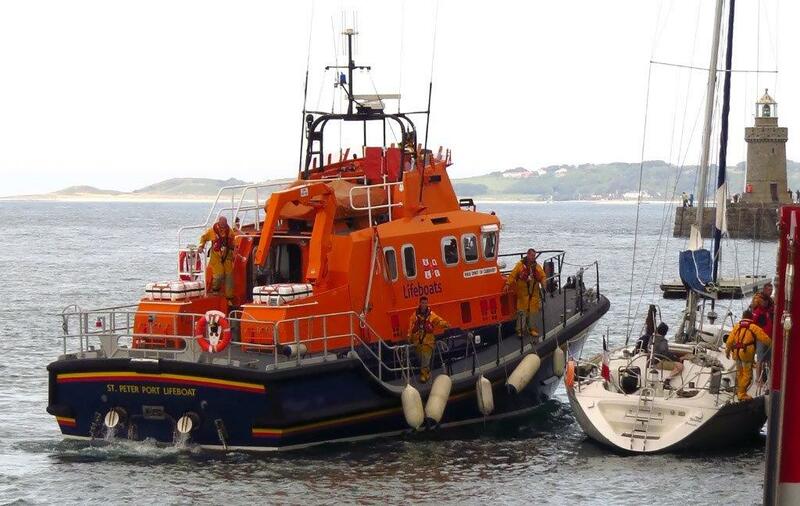 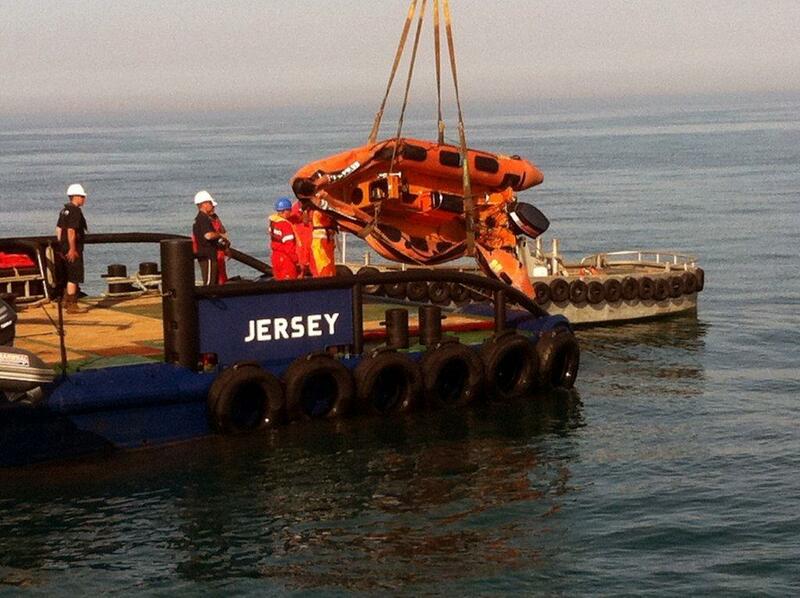 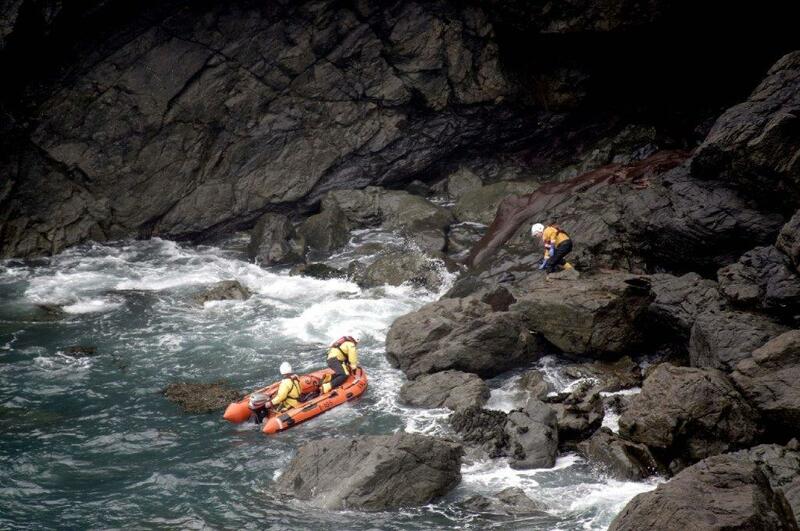 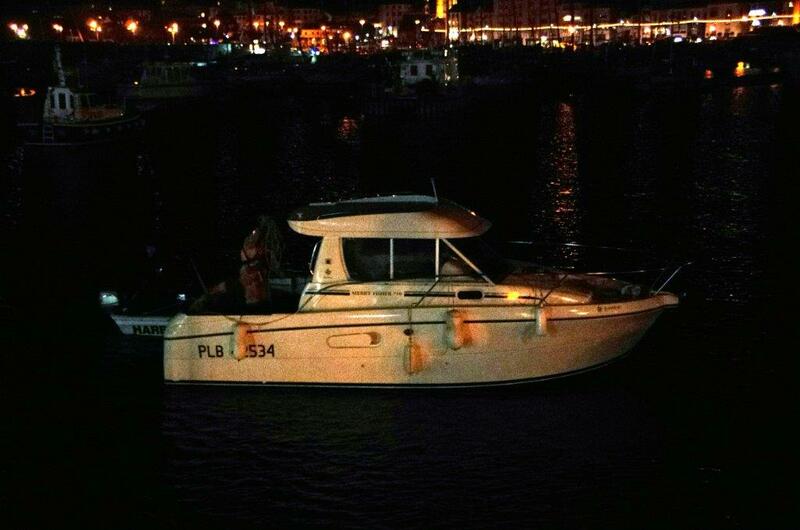 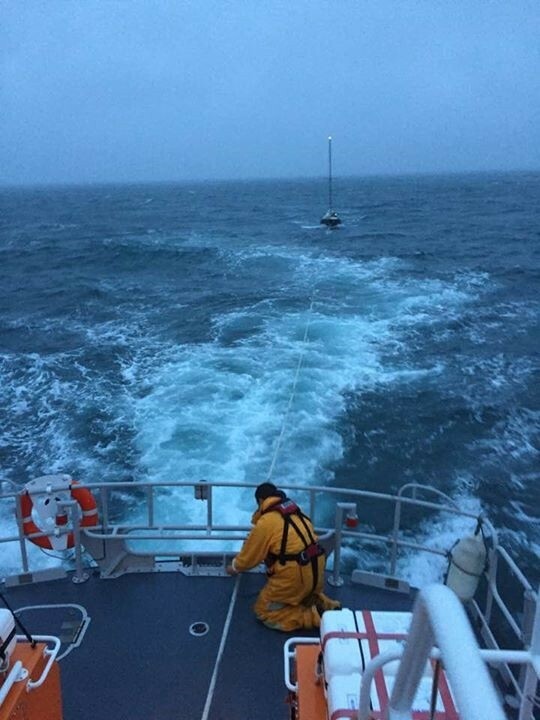 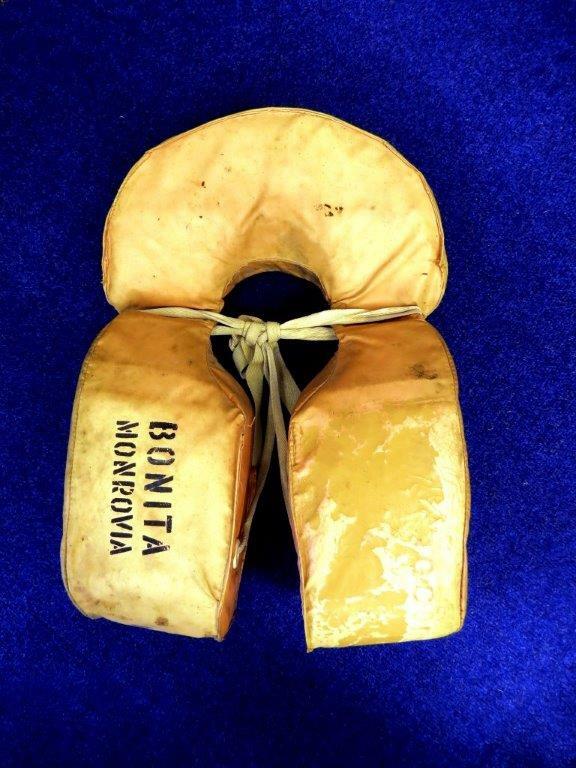 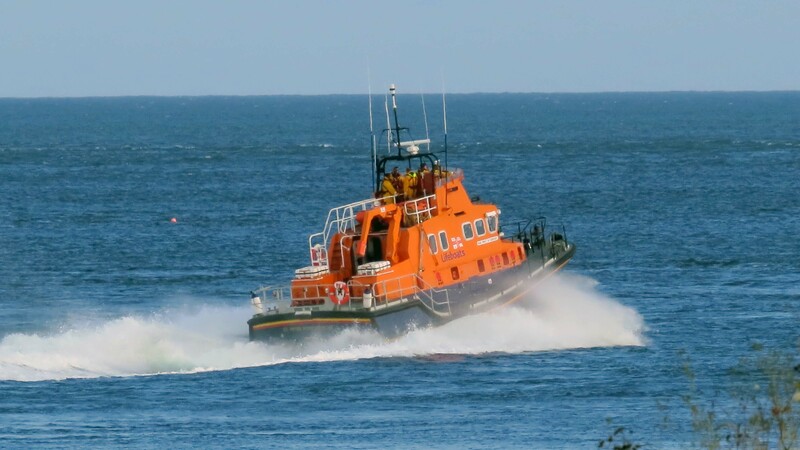 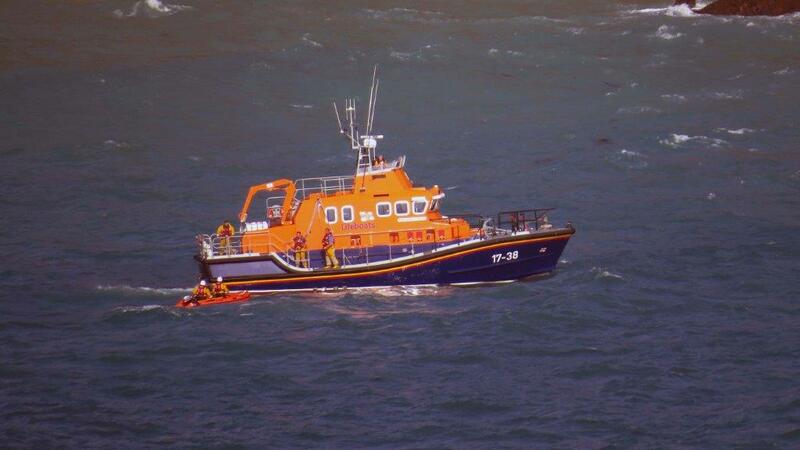 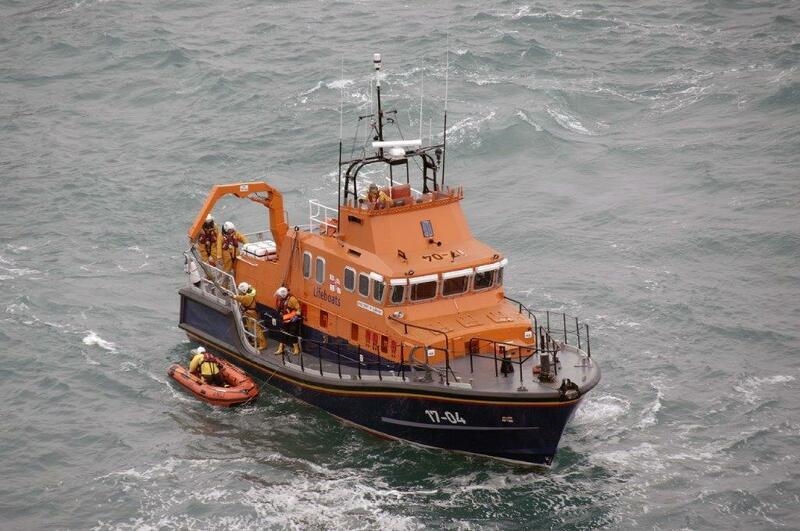 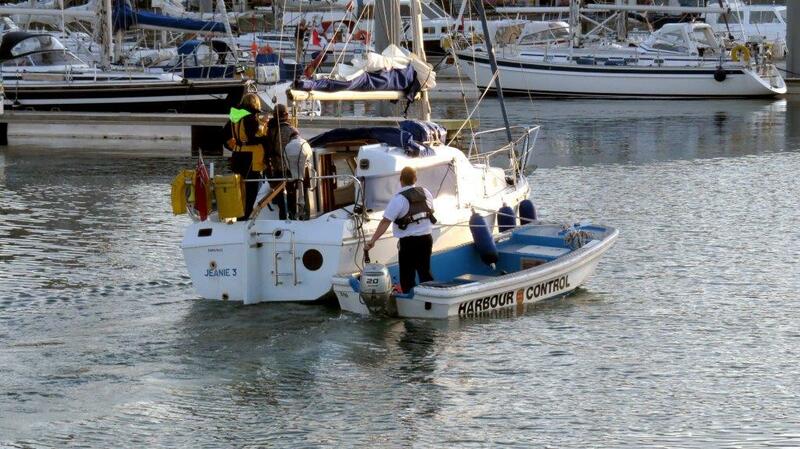 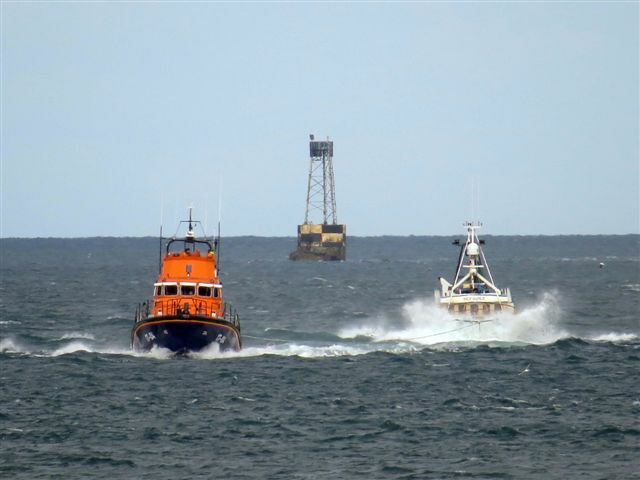 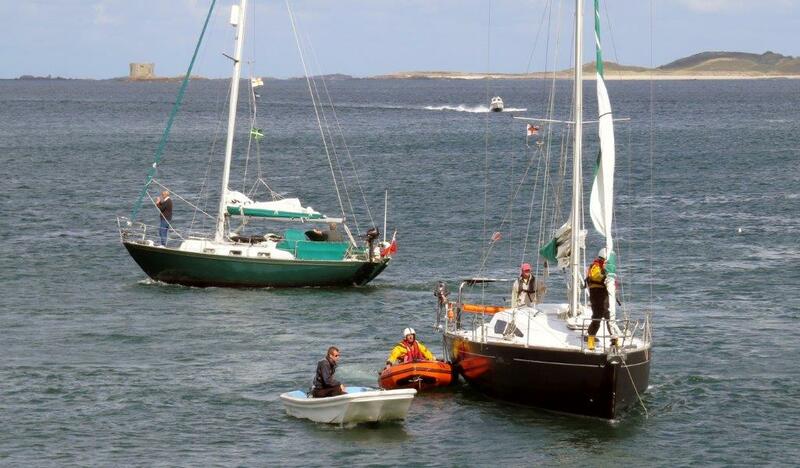 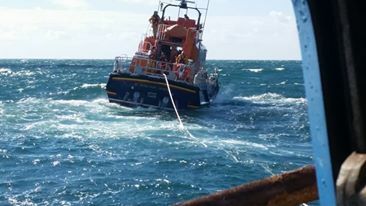 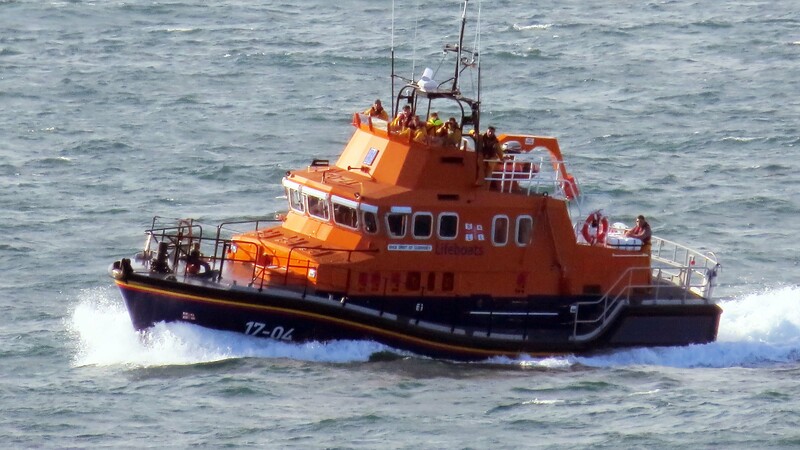 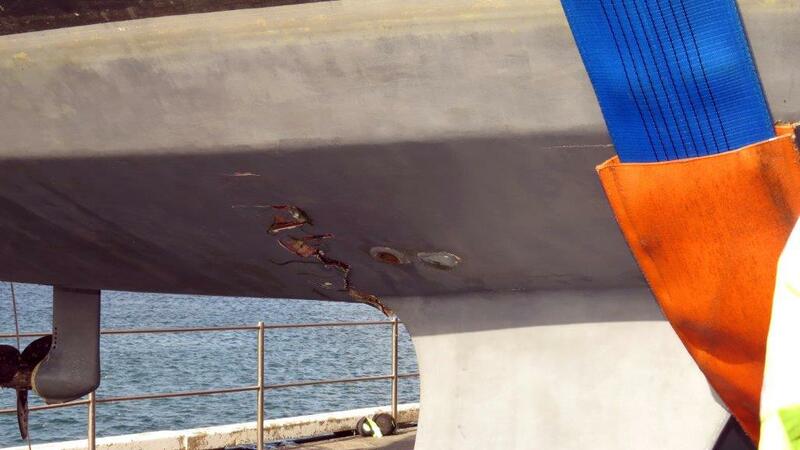 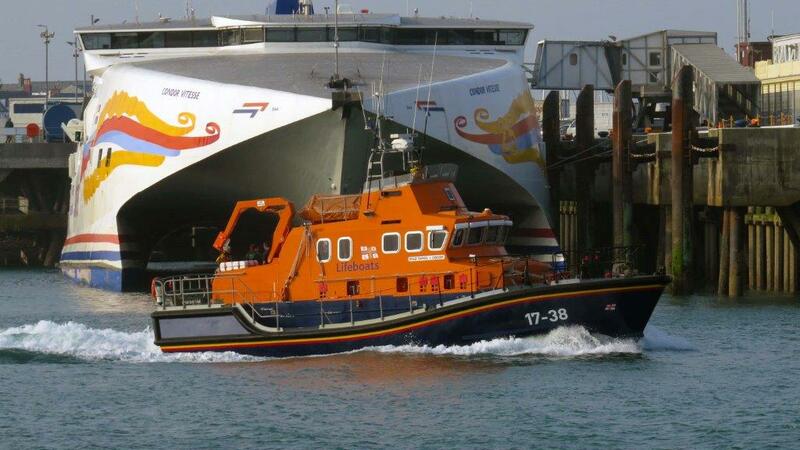 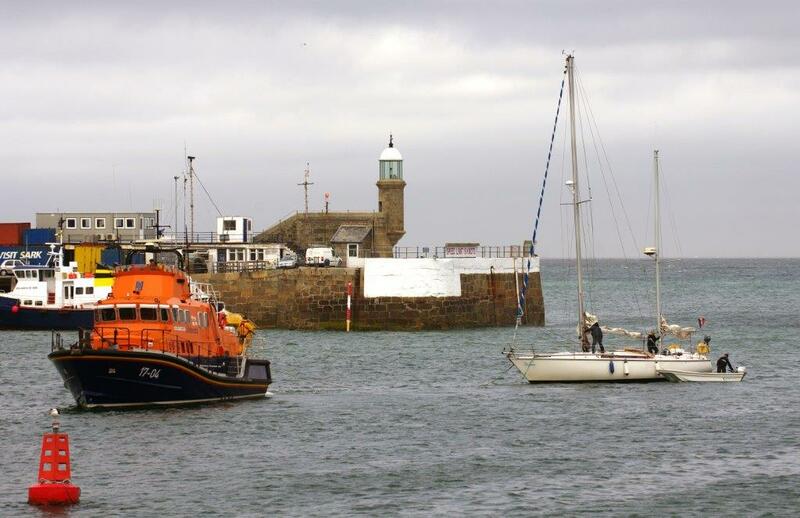 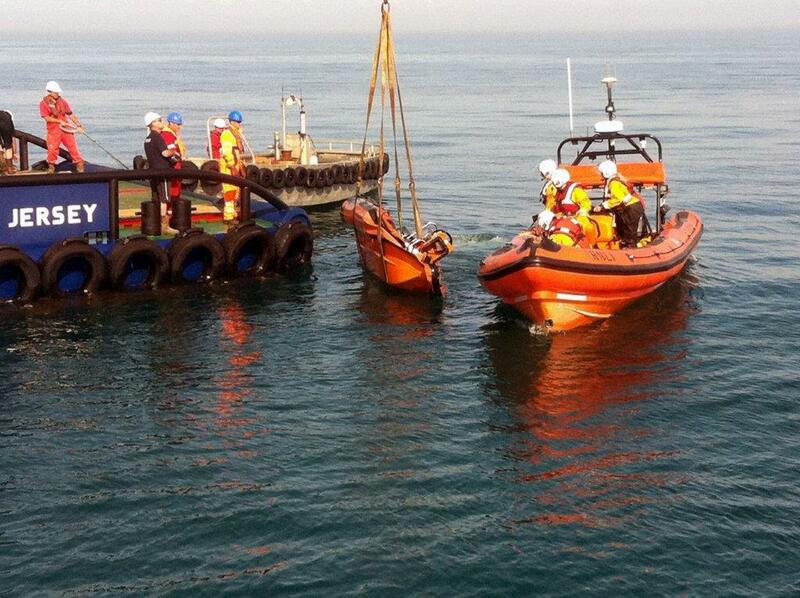 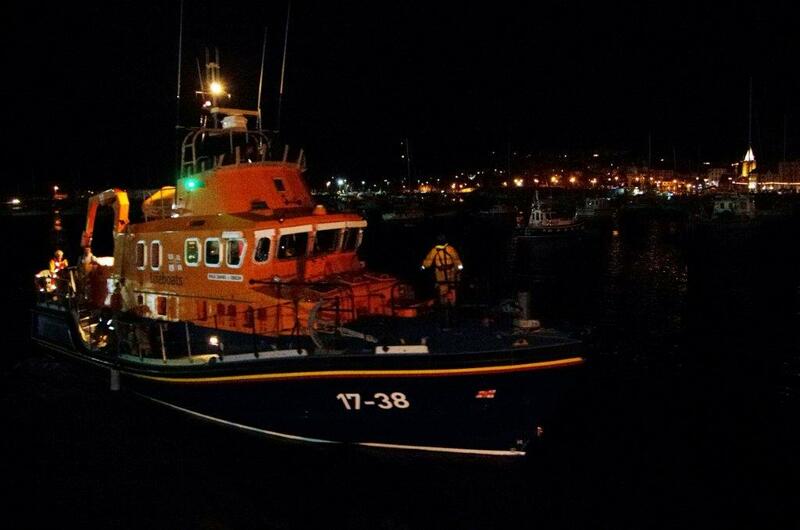 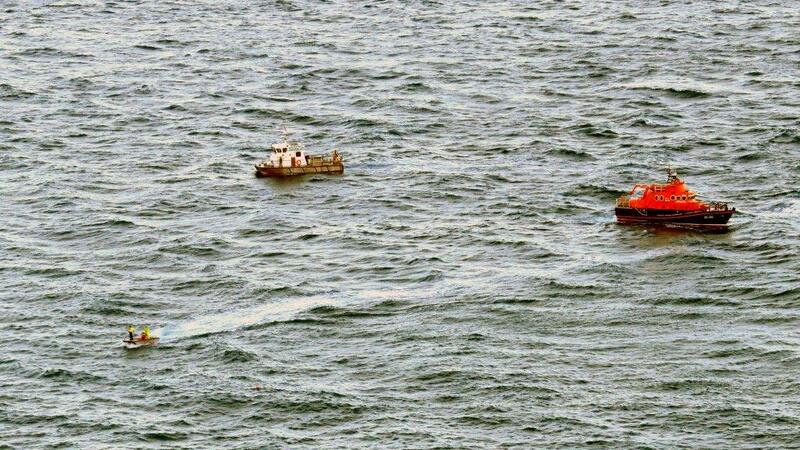 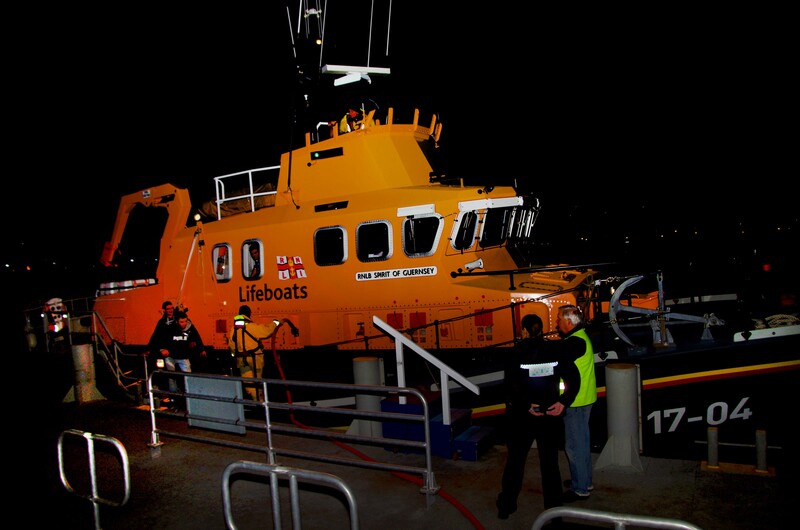 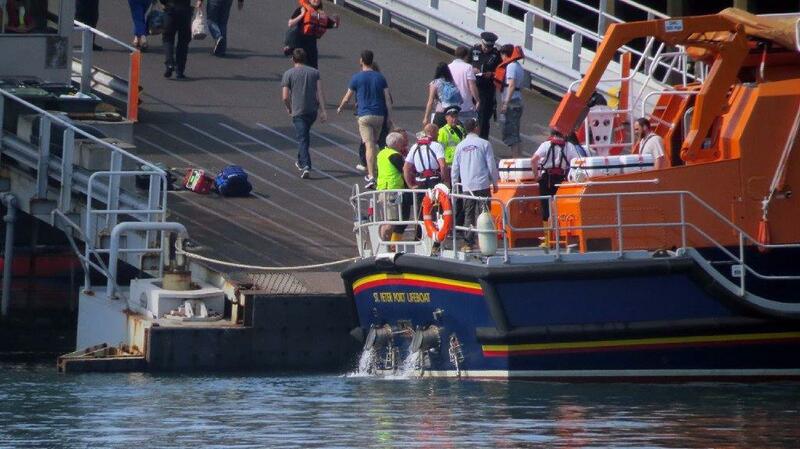 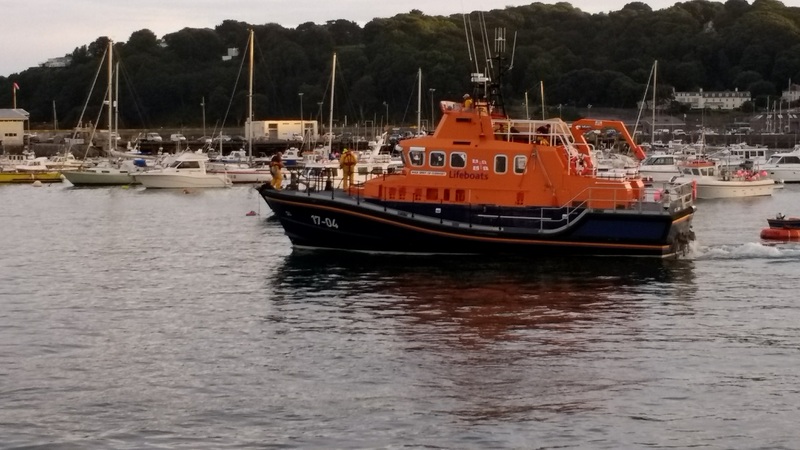 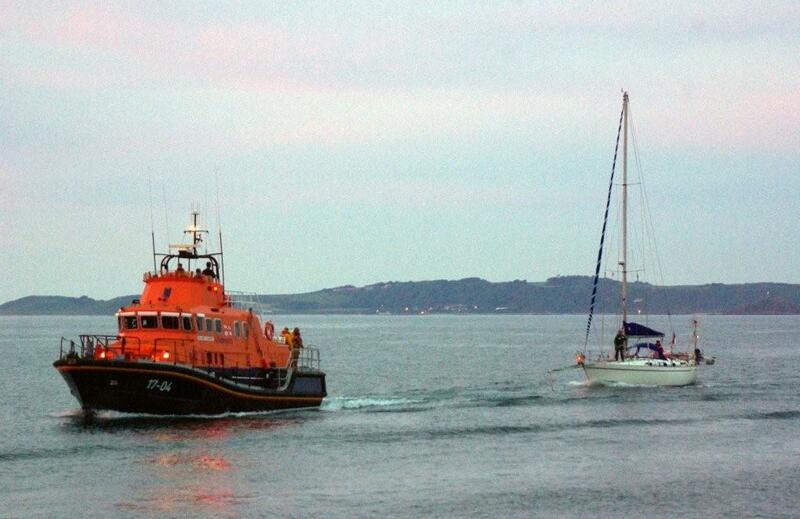 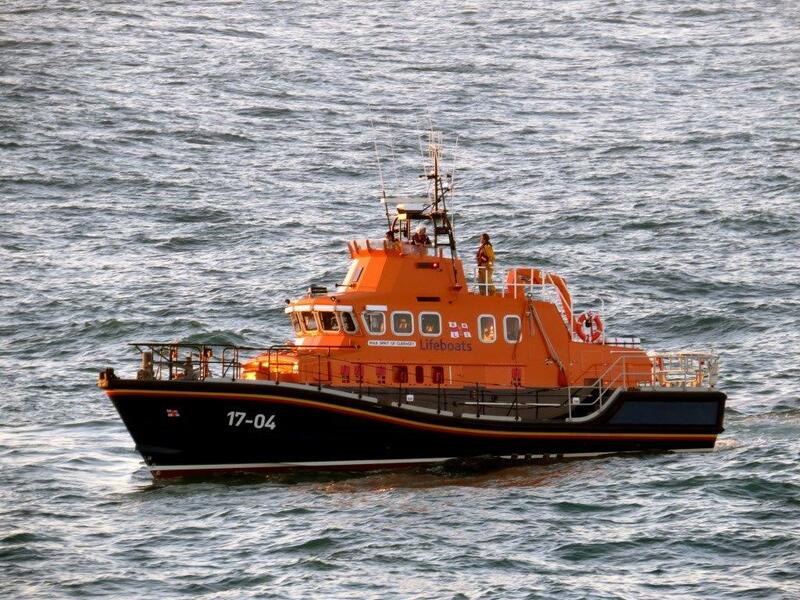 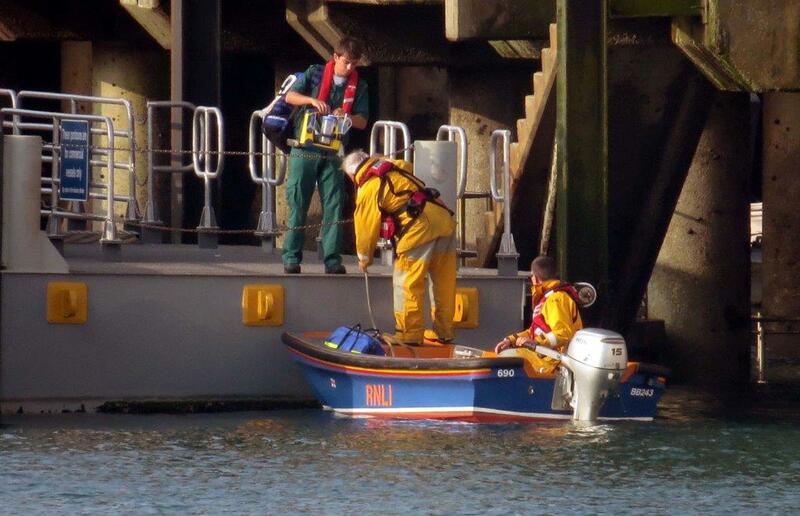 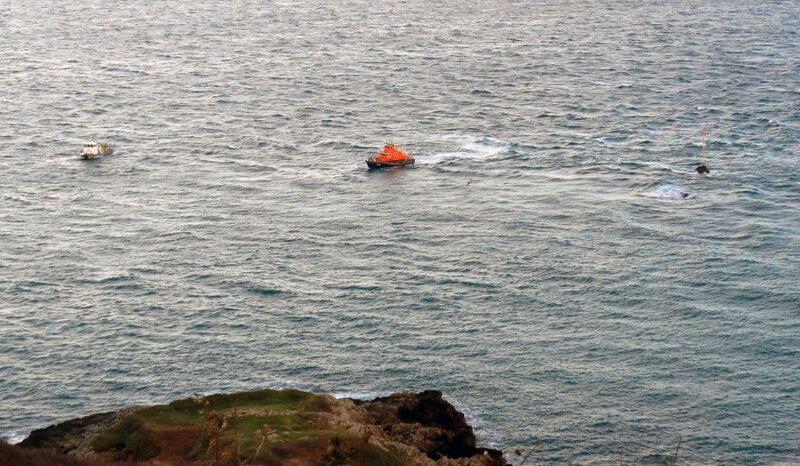 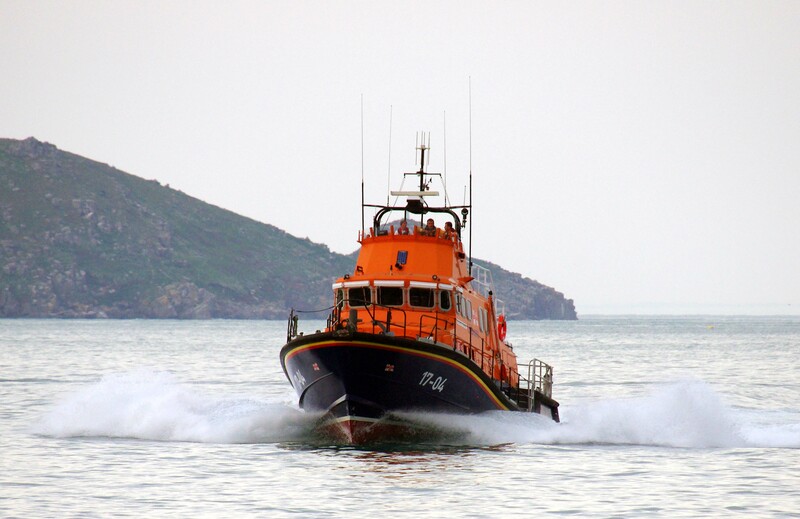 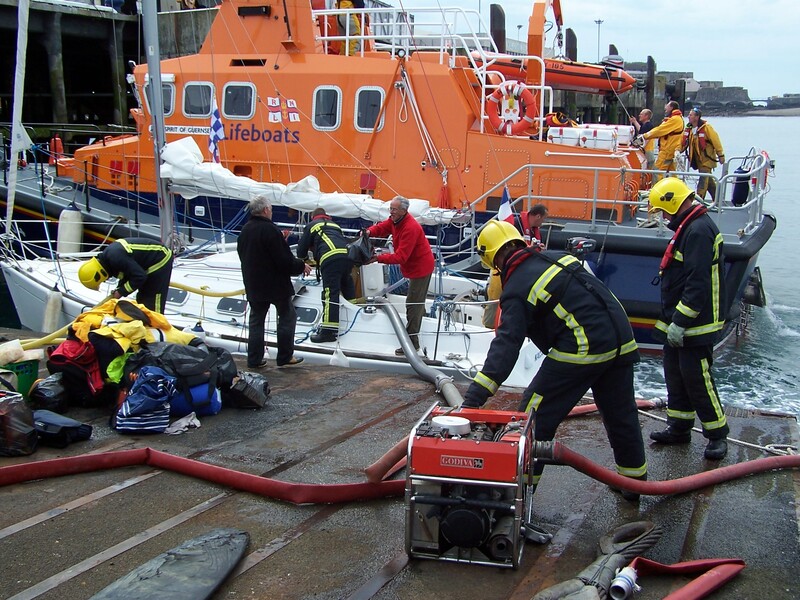 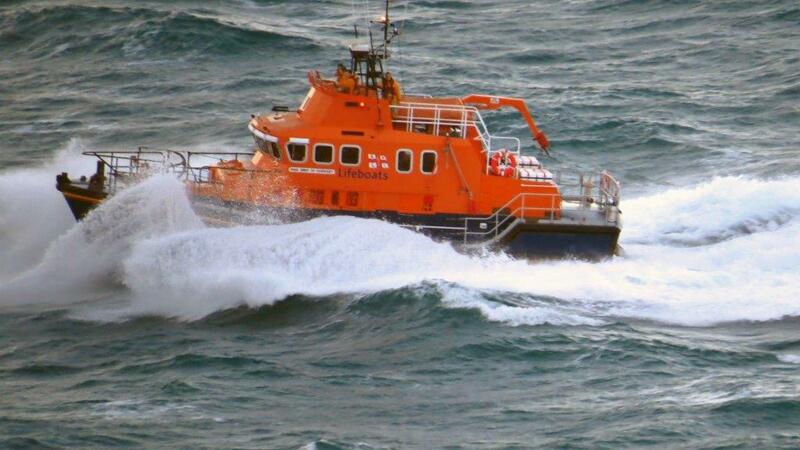 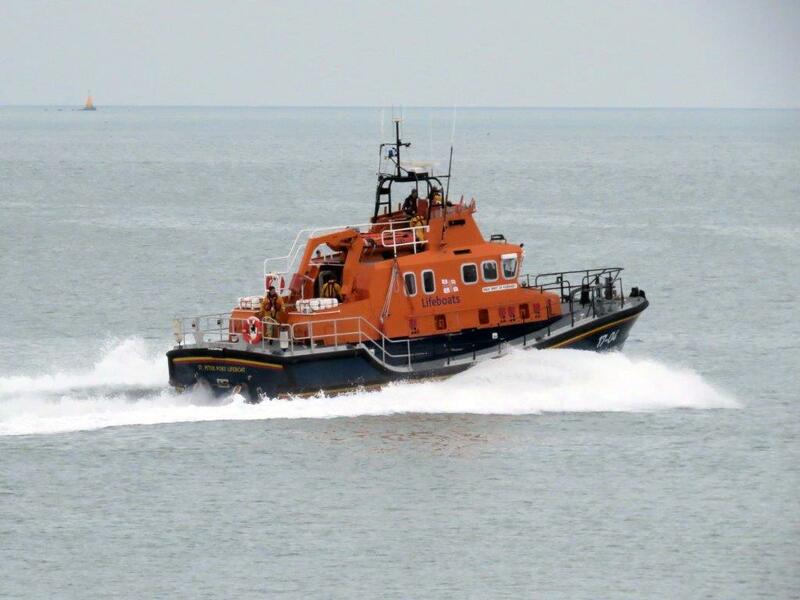 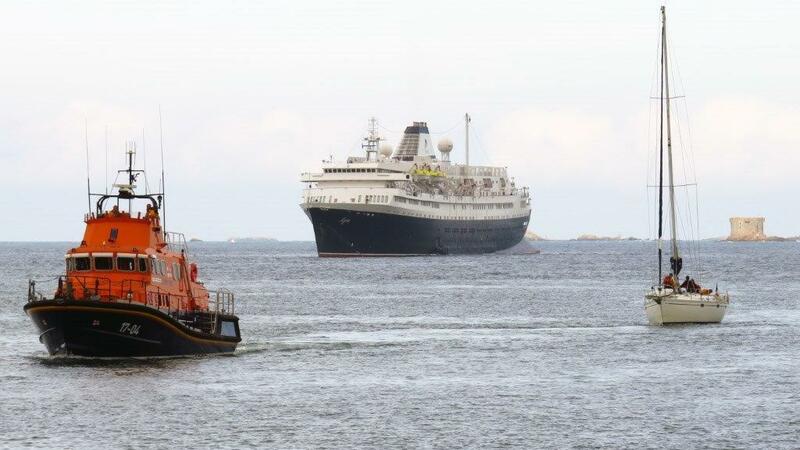 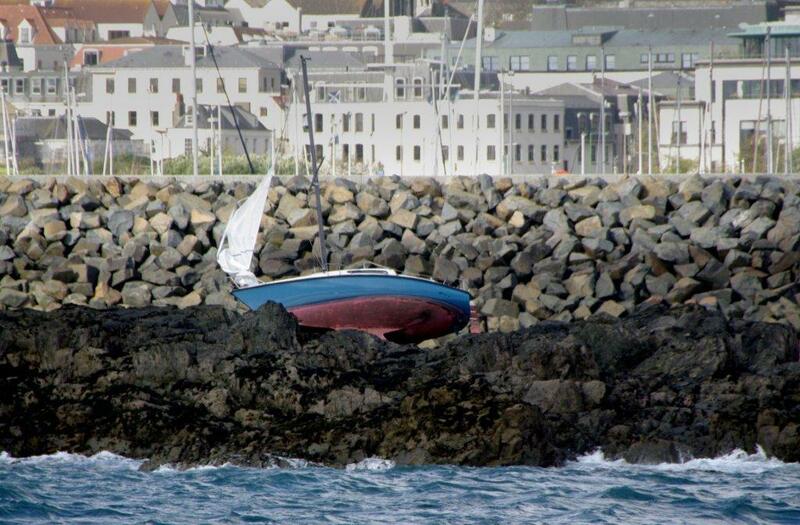 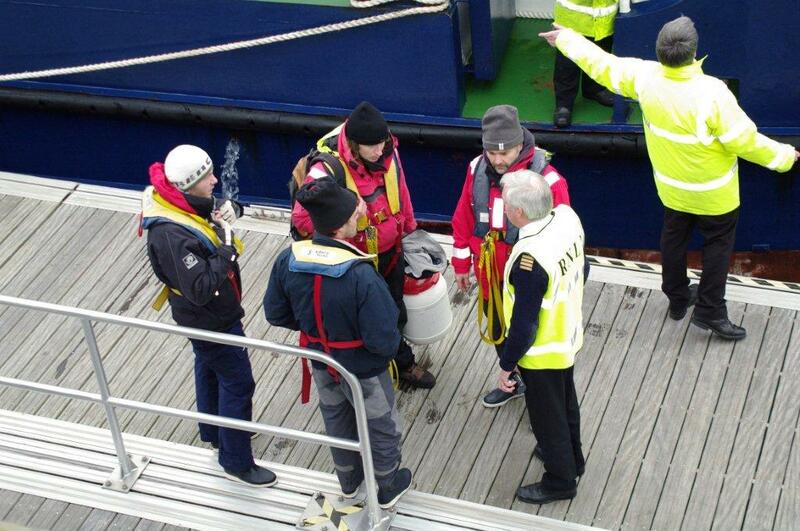 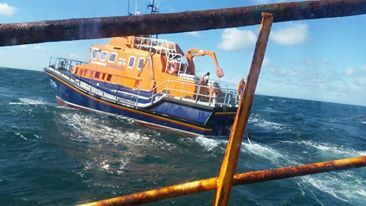 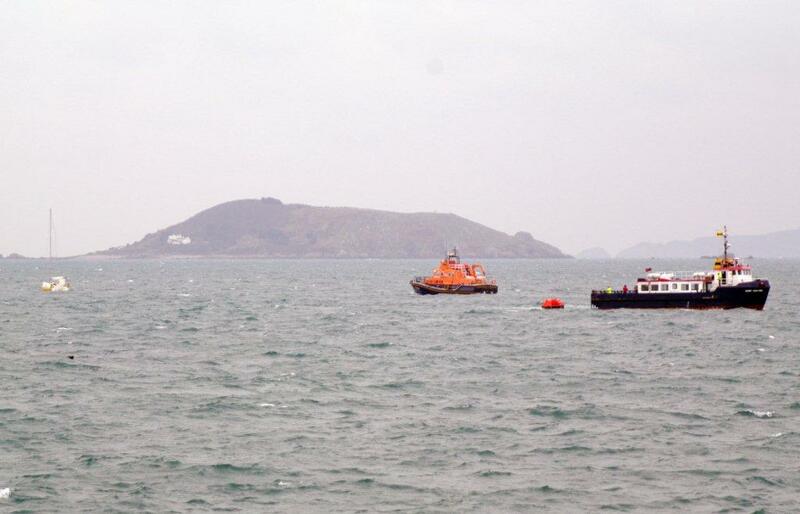 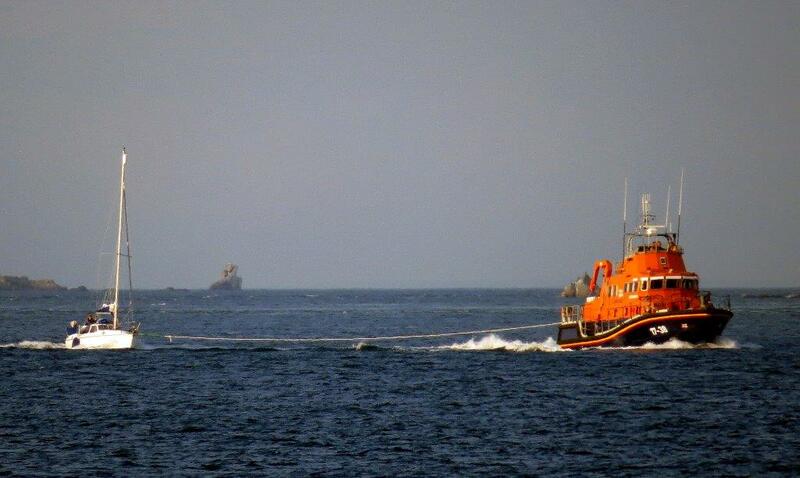 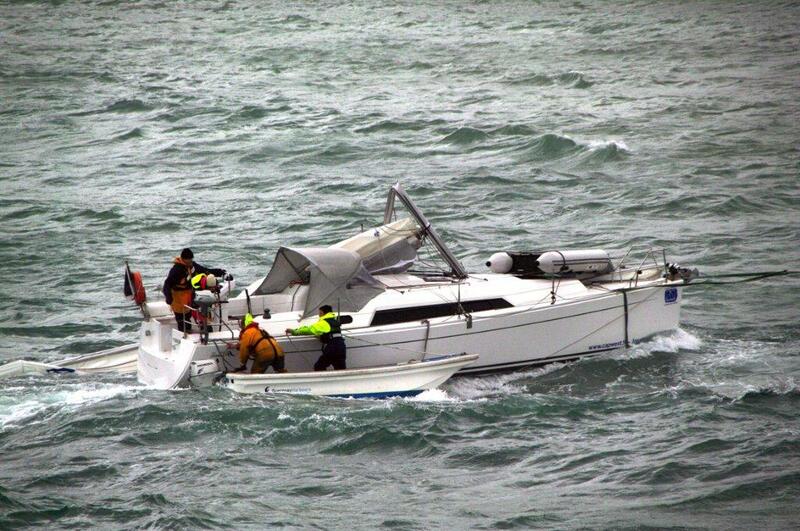 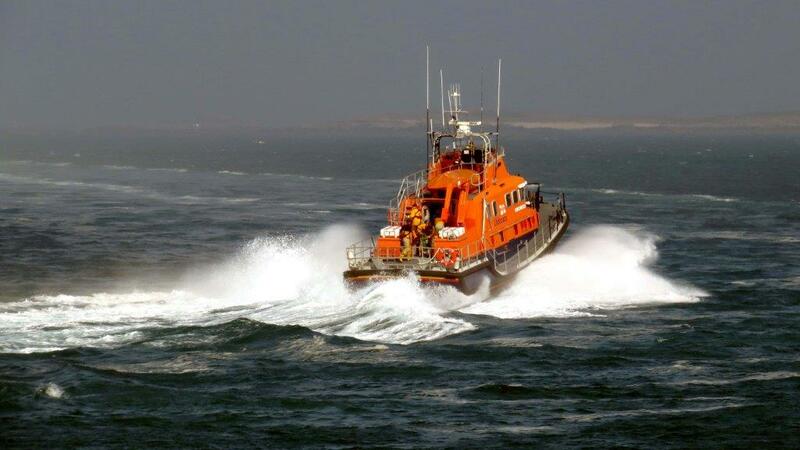 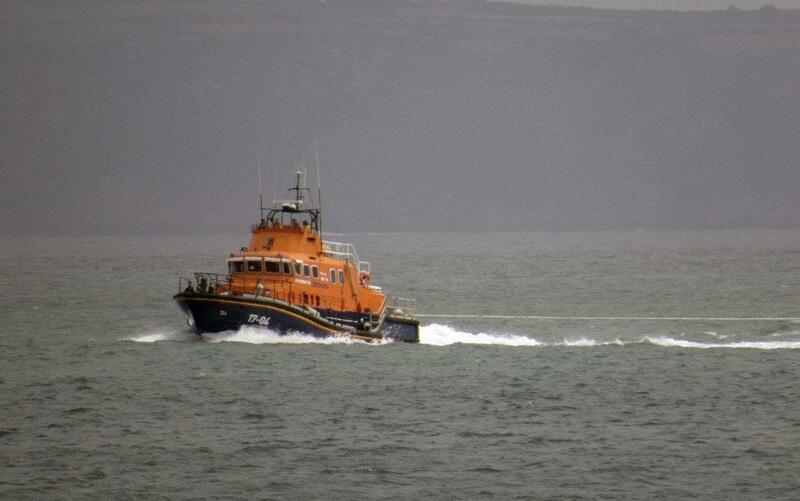 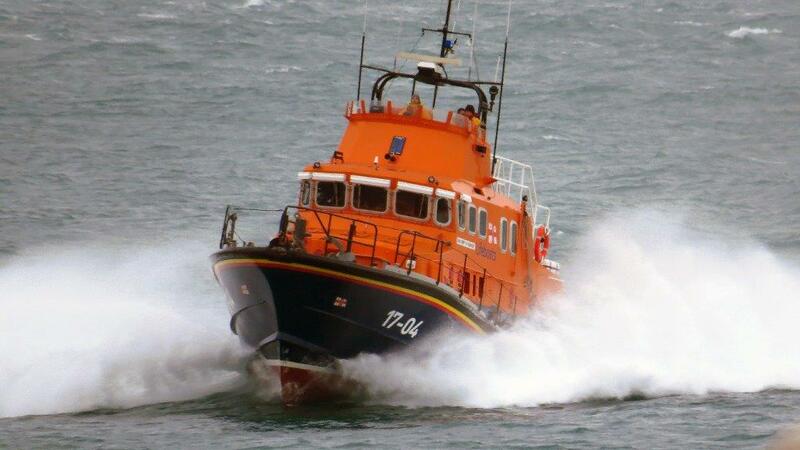 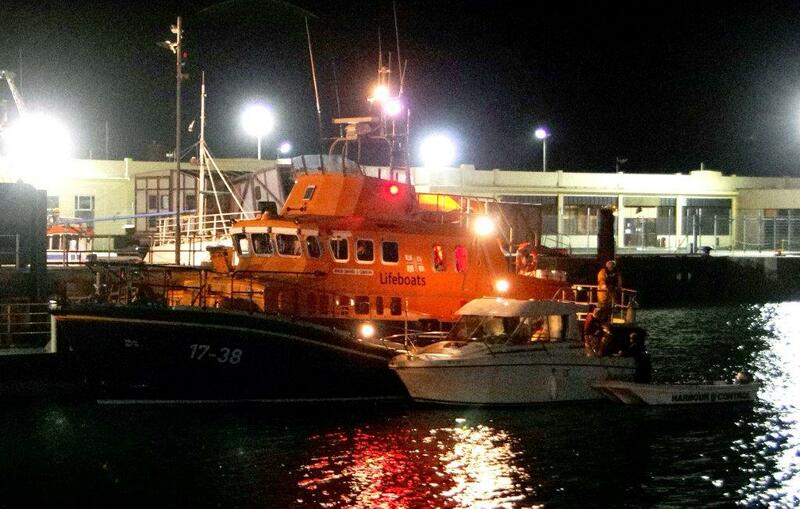 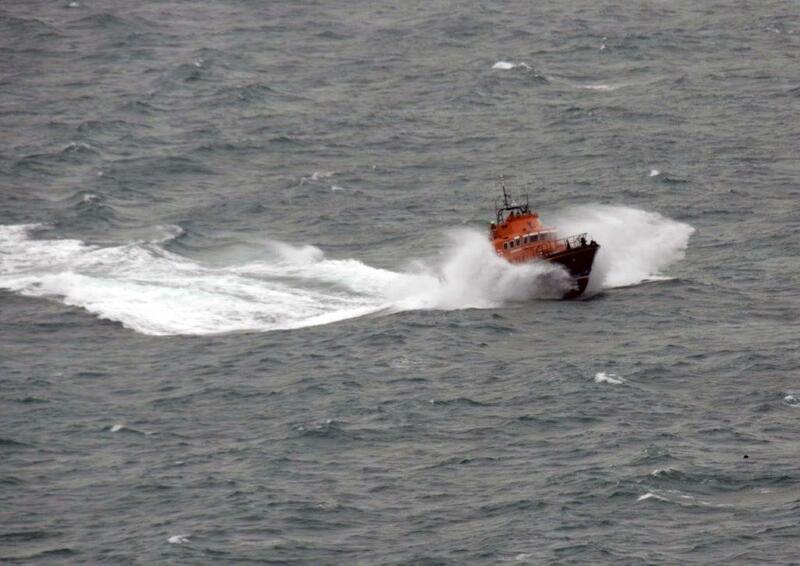 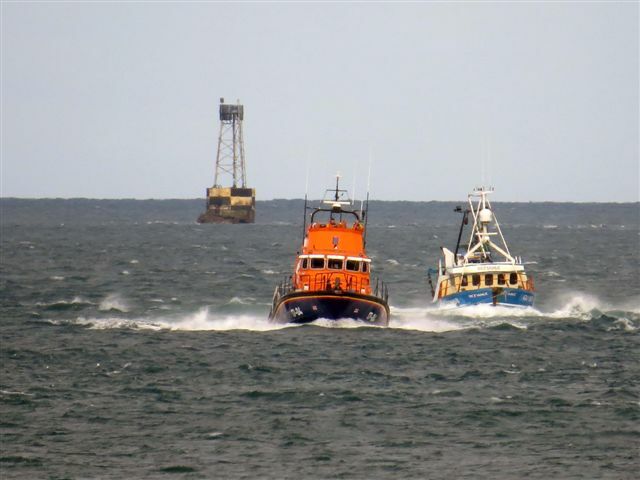 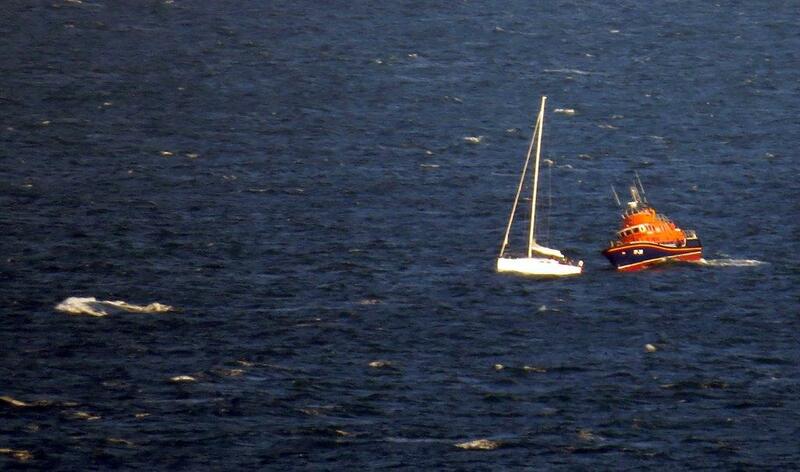 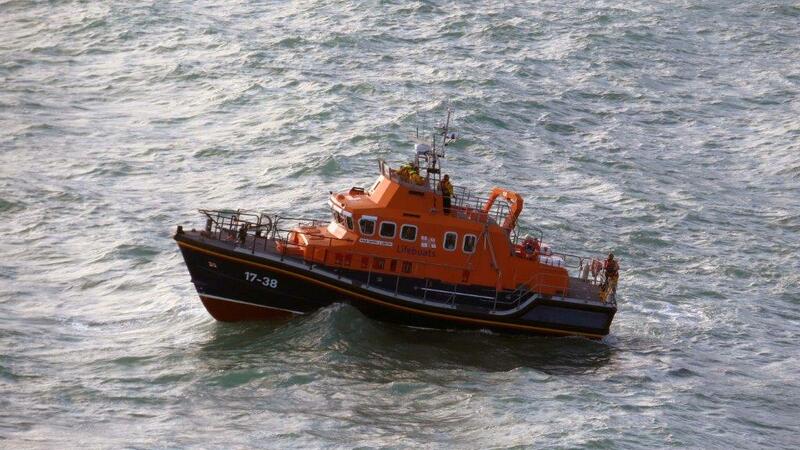 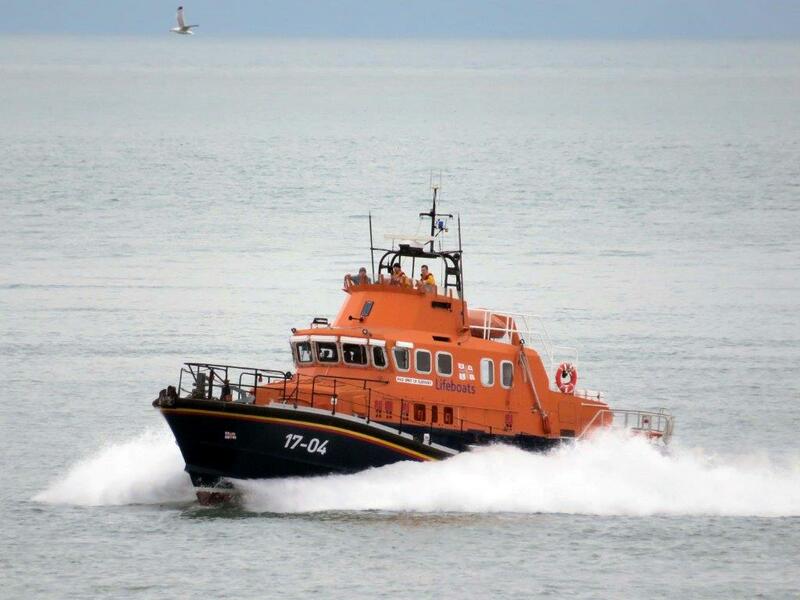 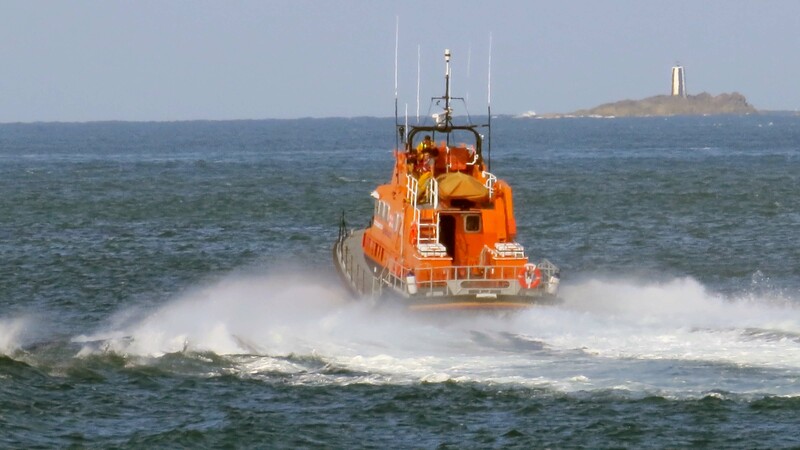 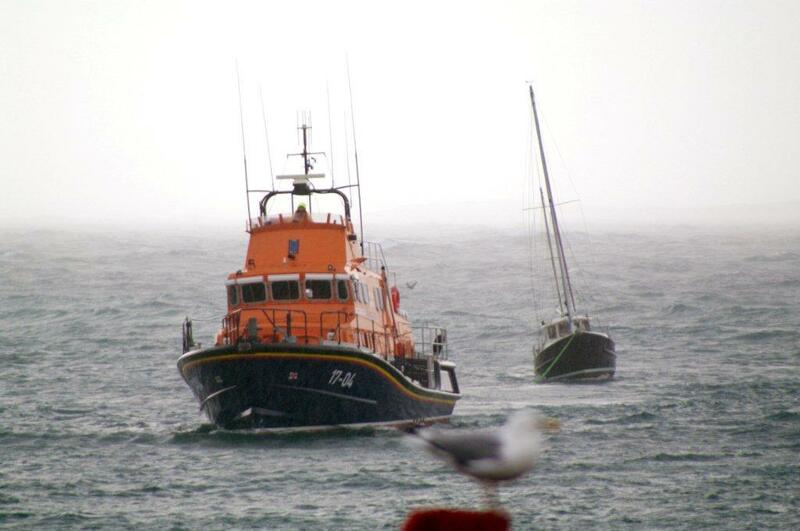 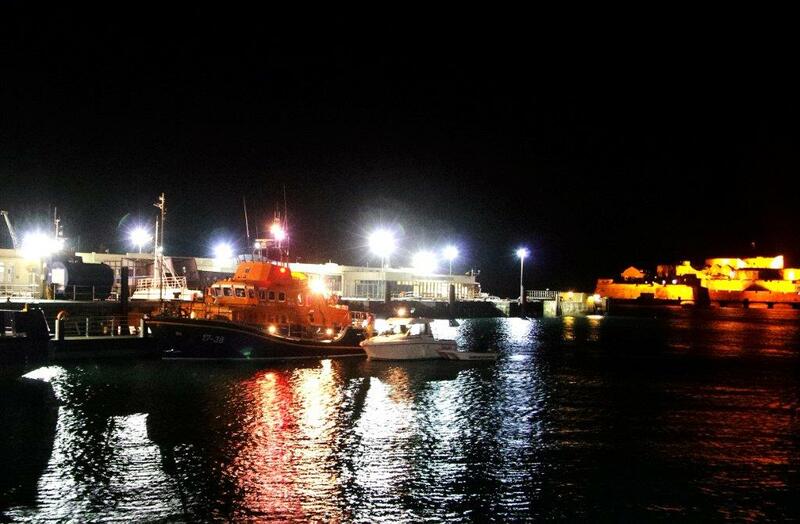 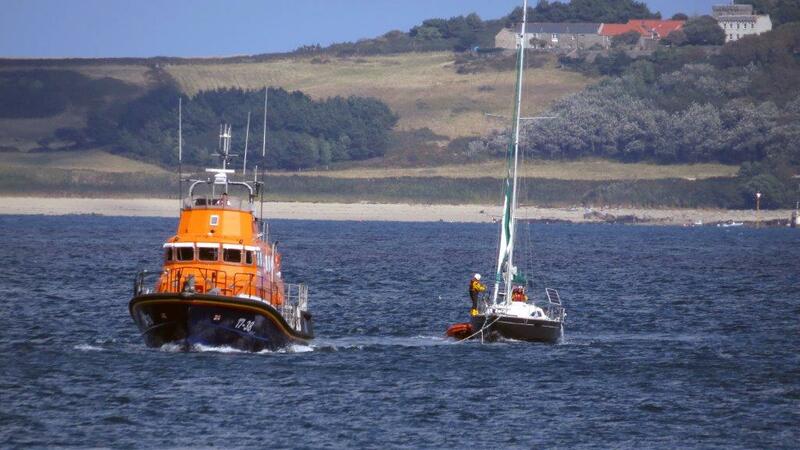 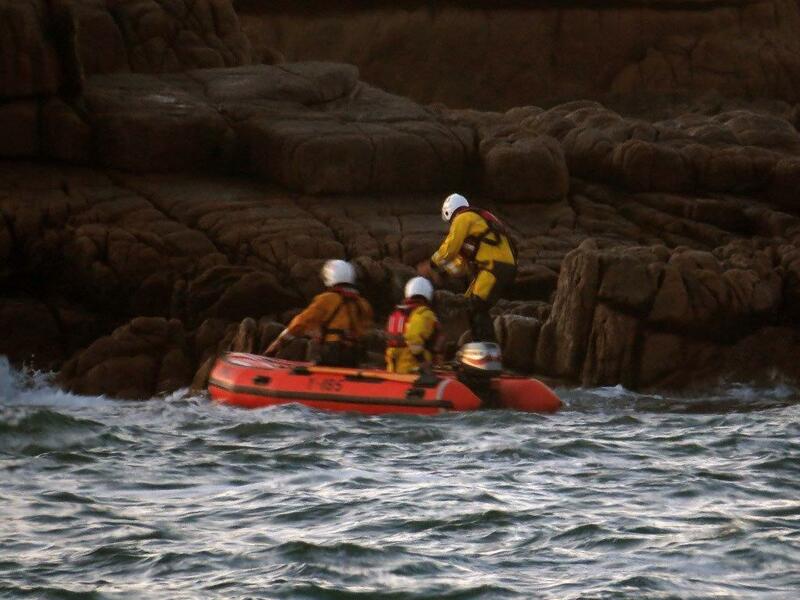 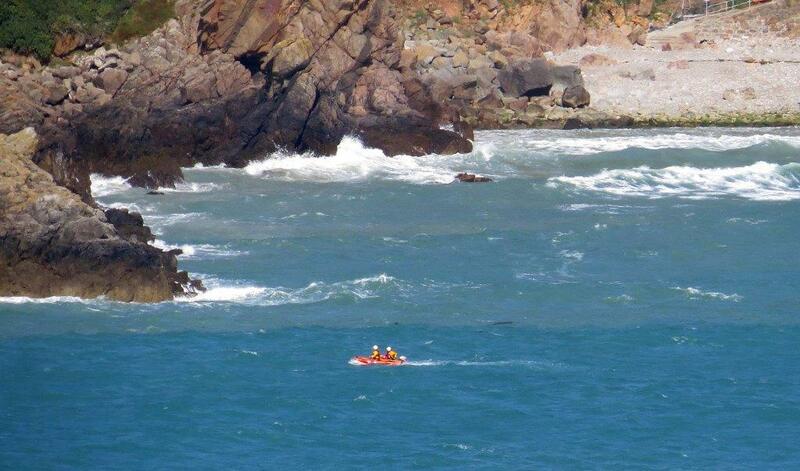 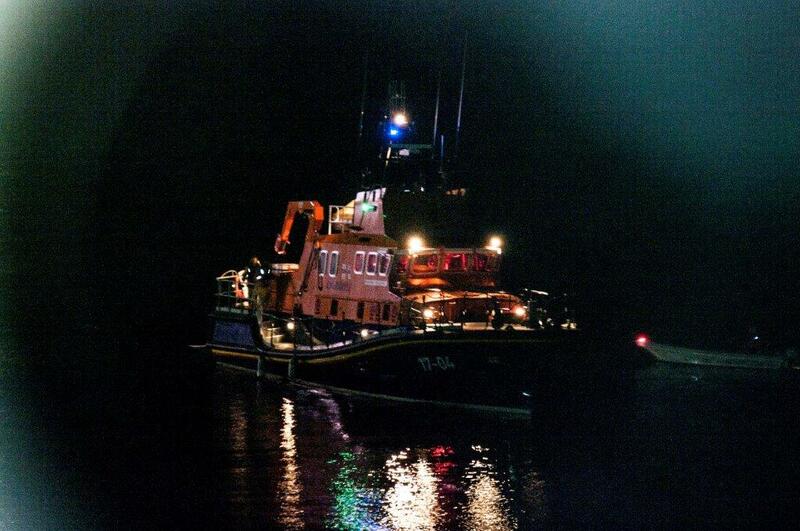 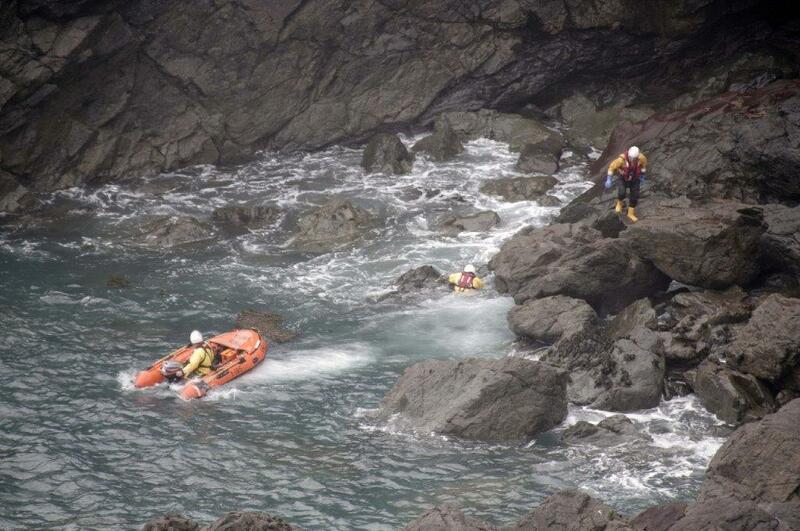 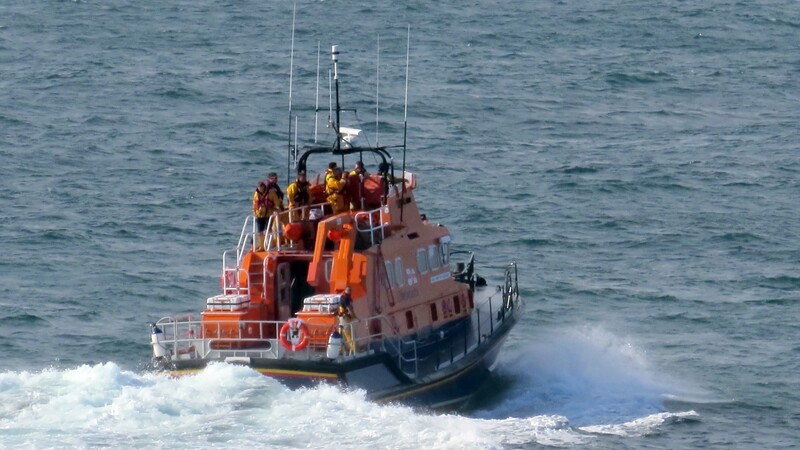 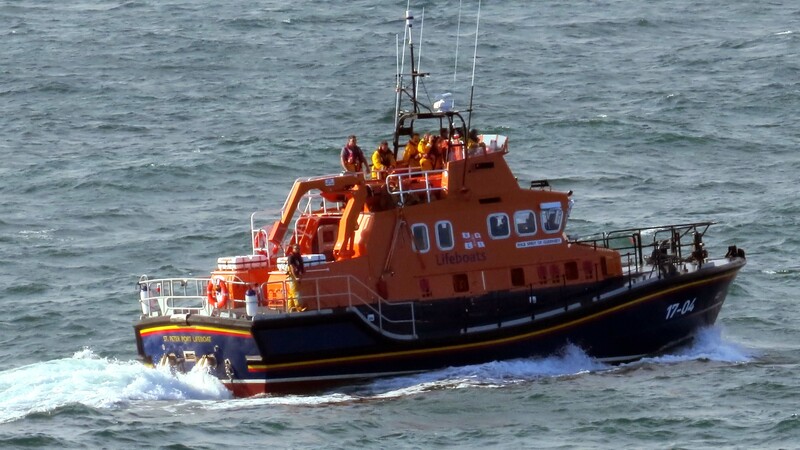 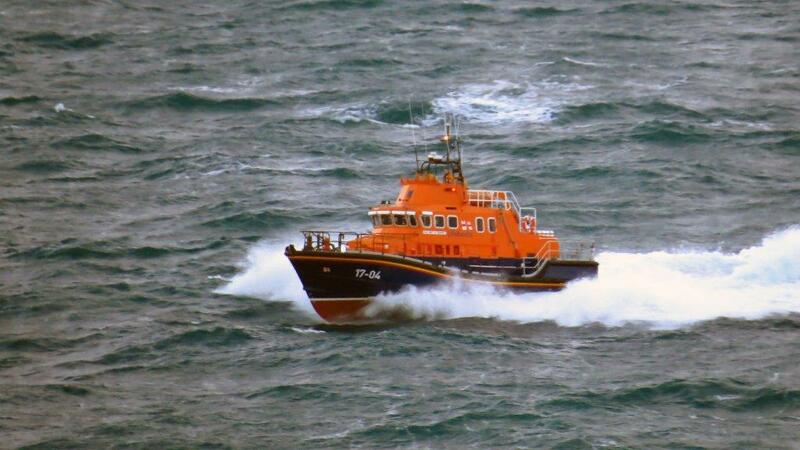 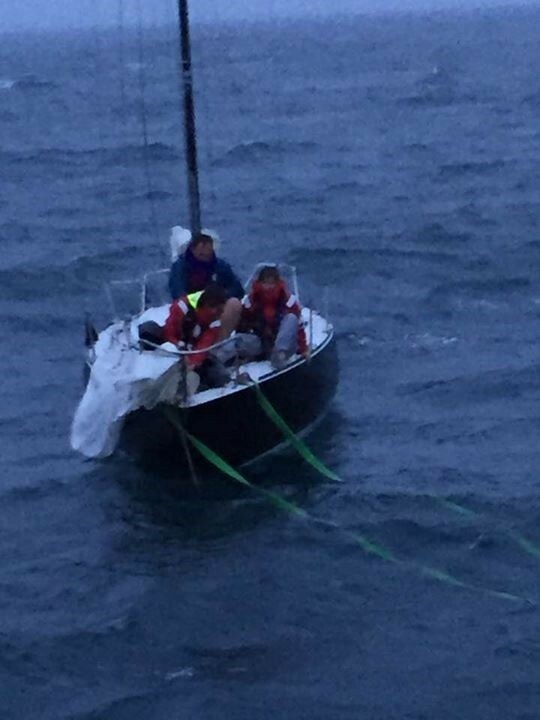 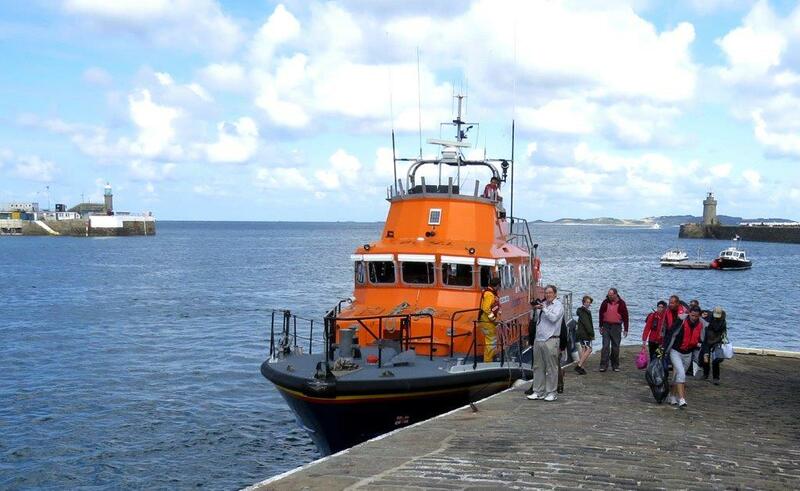 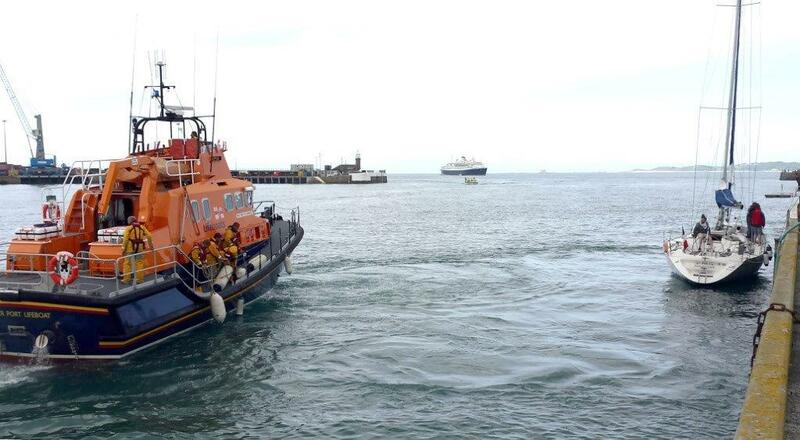 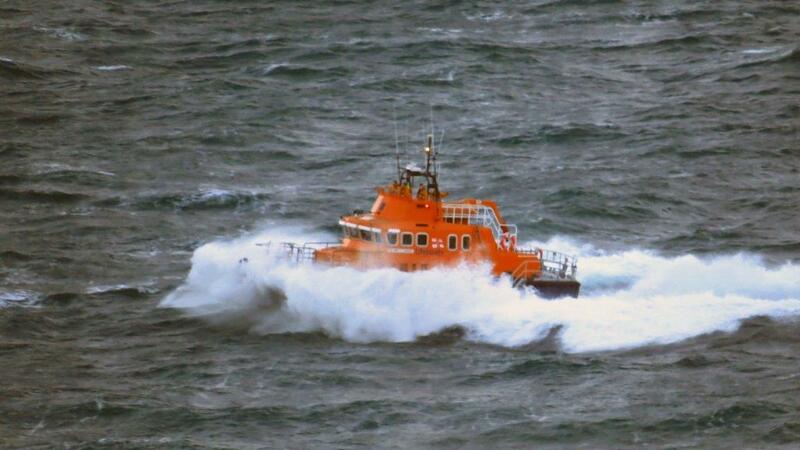 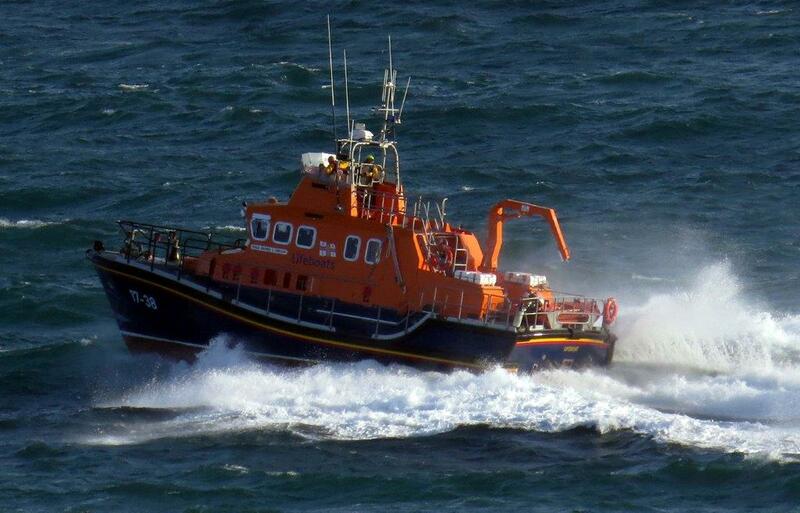 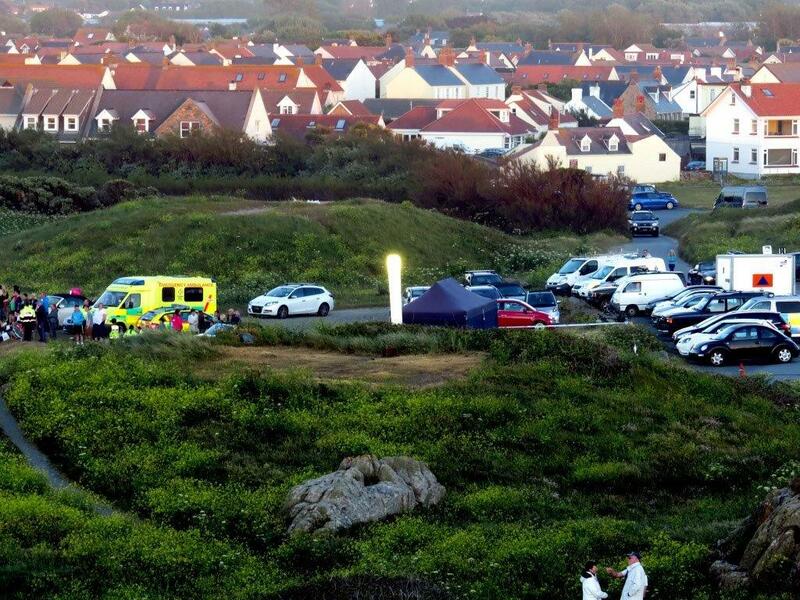 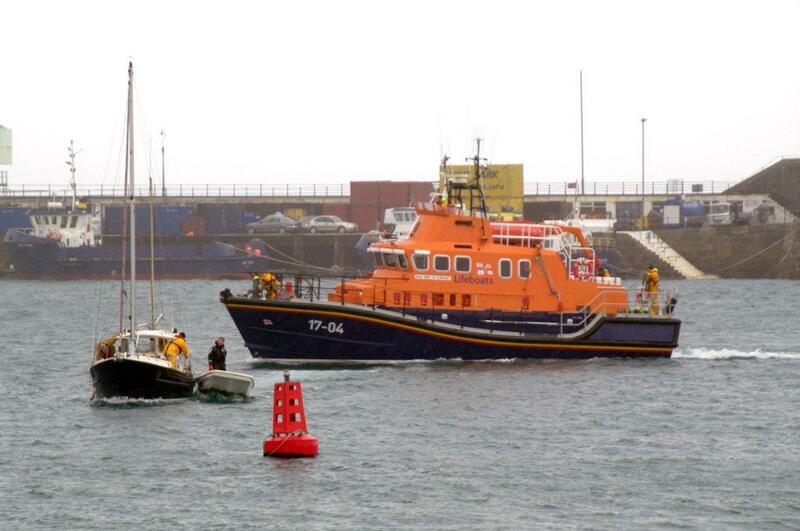 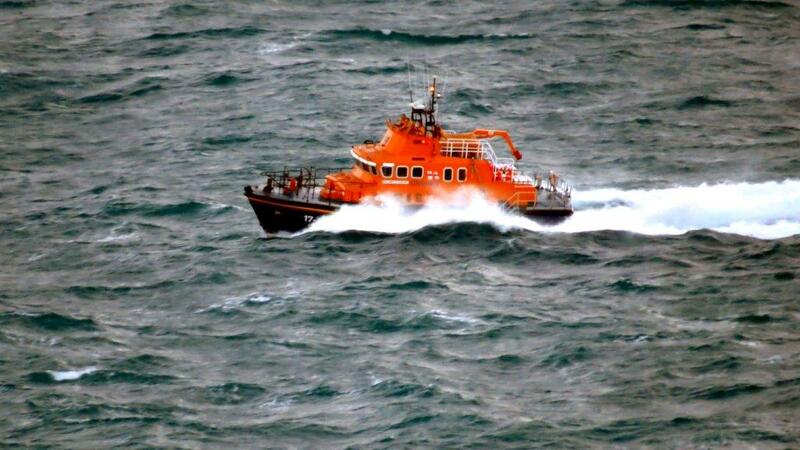 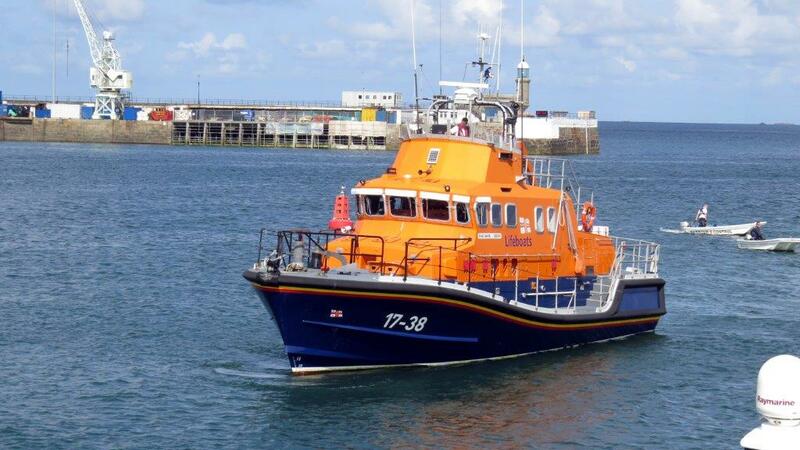 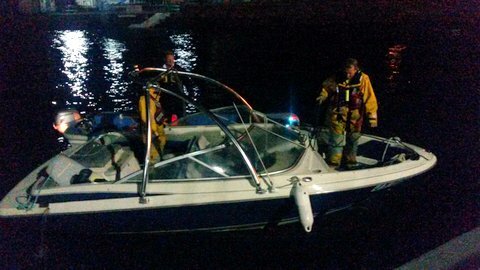 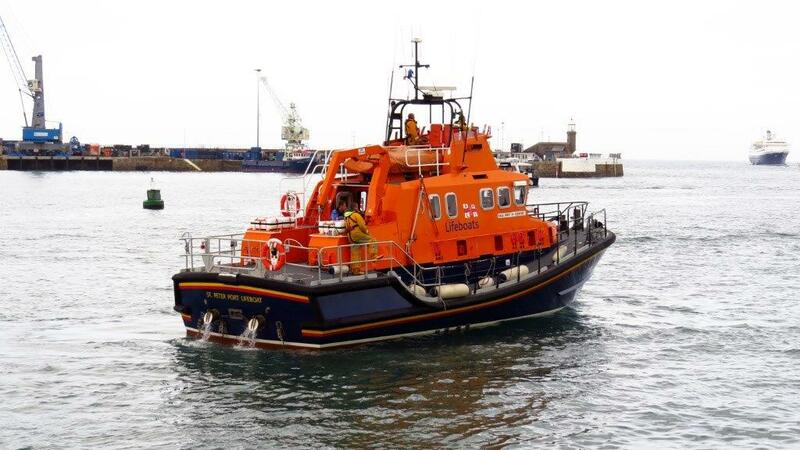 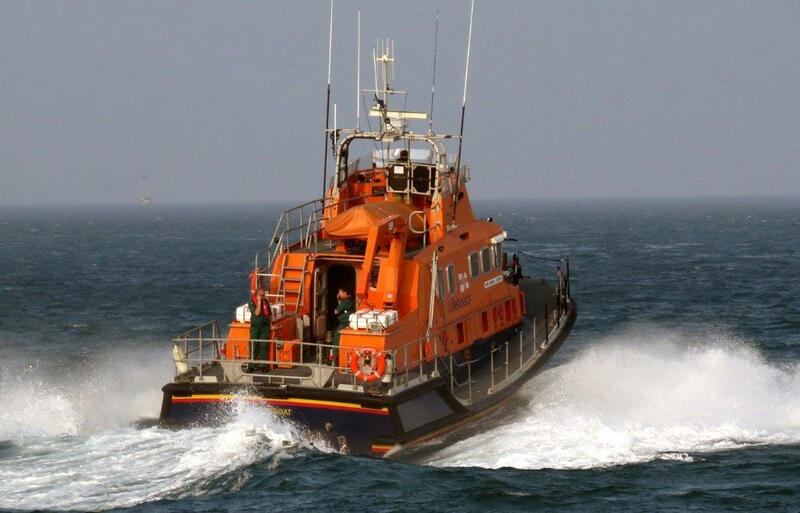 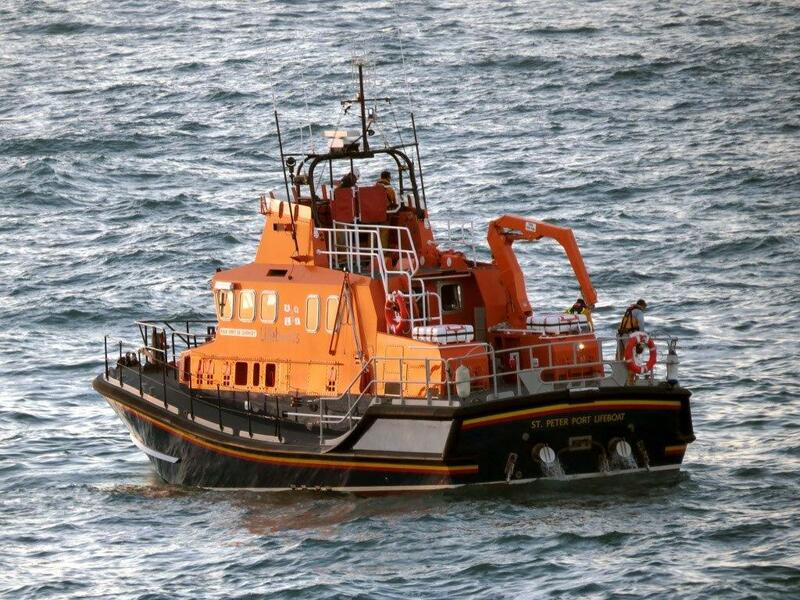 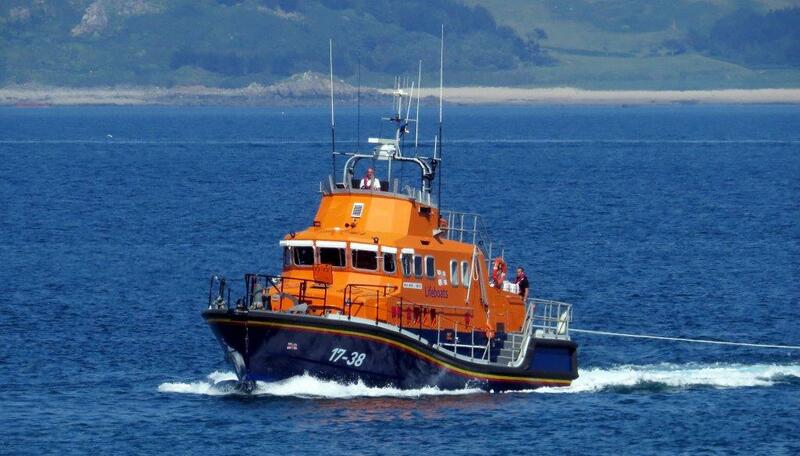 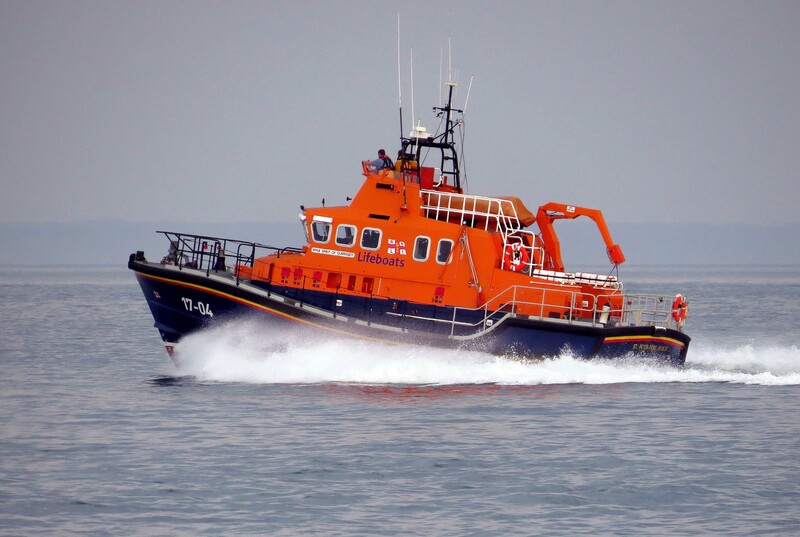 The lifeboat arrived on scene at 1325 and a crewmember was transferred to the casualty. 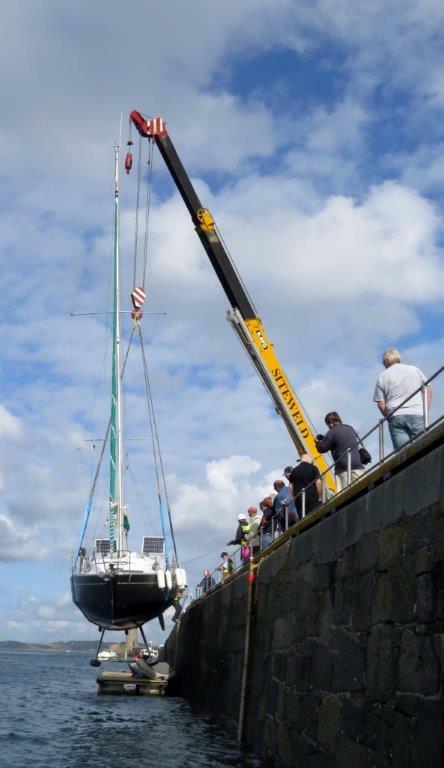 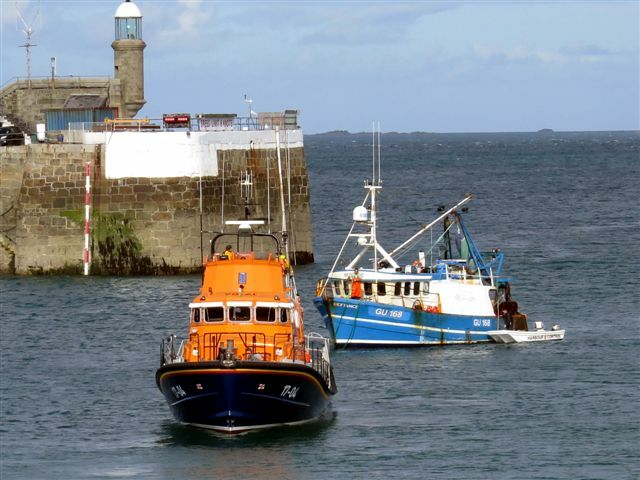 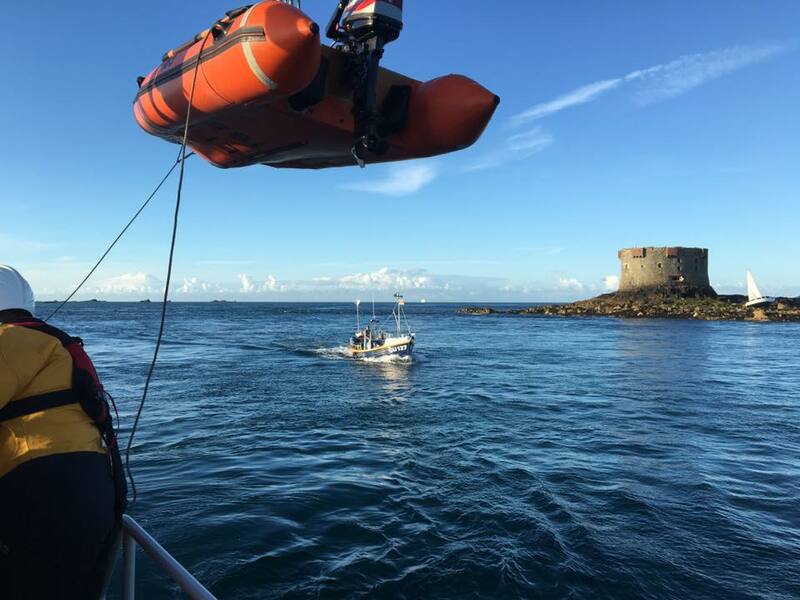 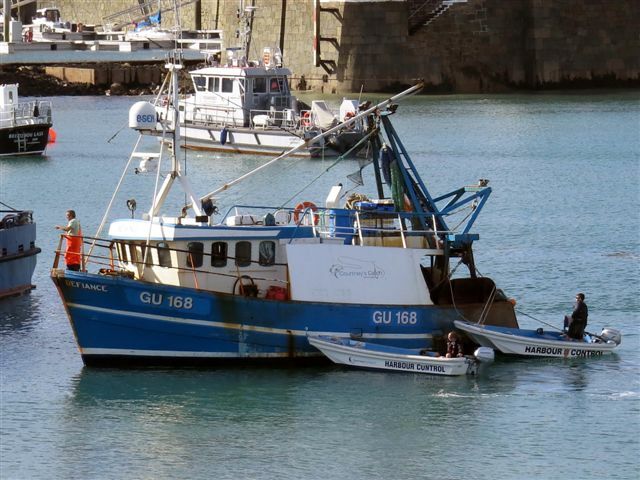 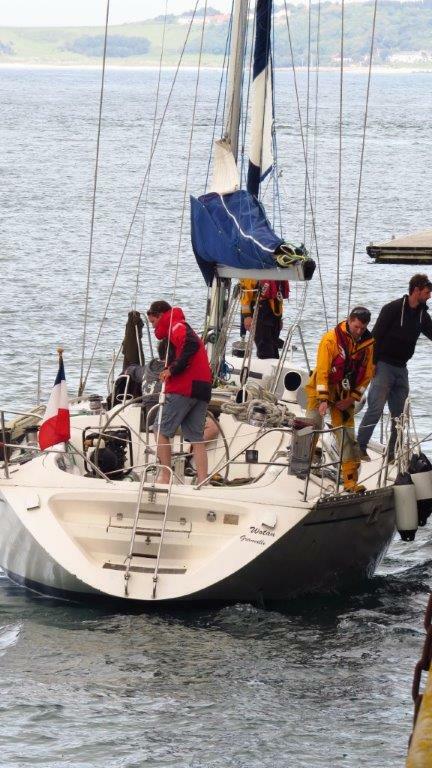 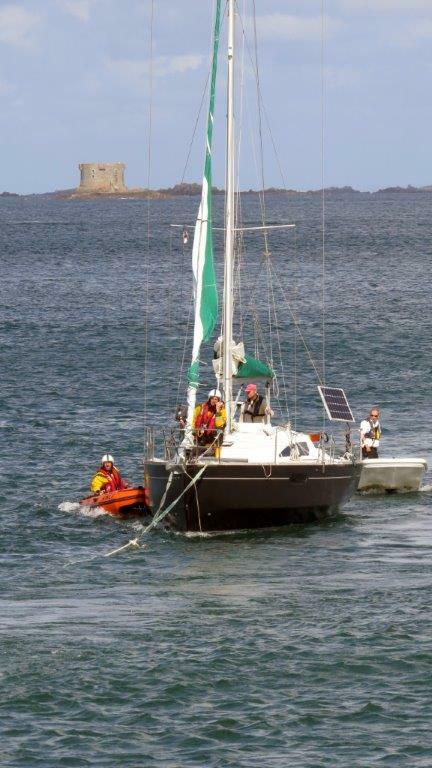 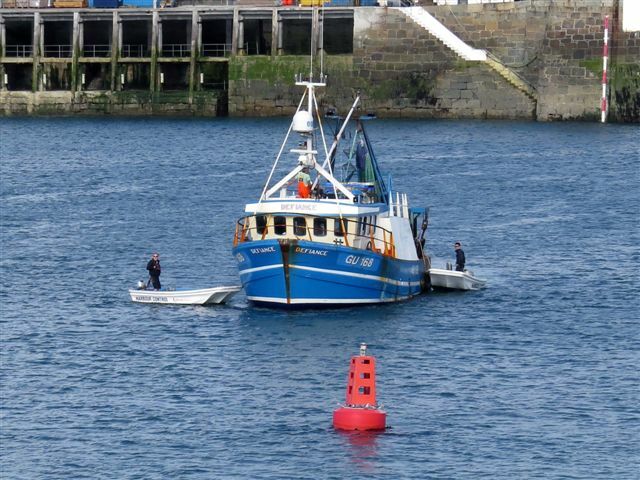 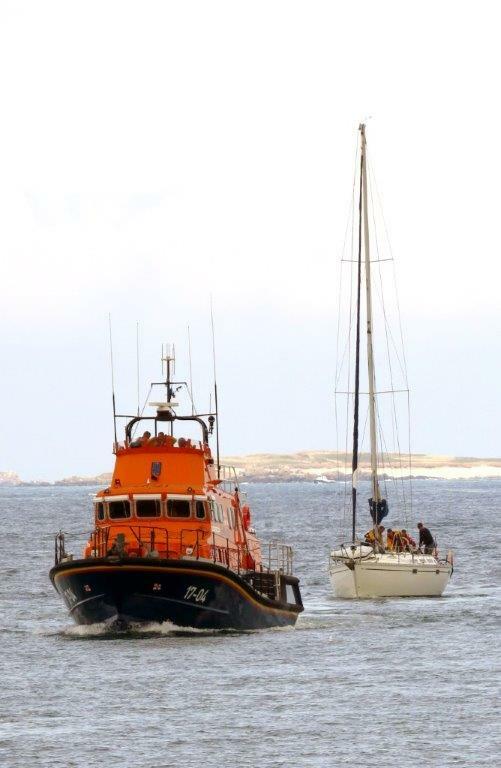 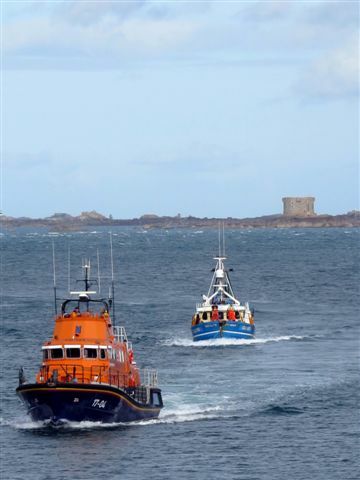 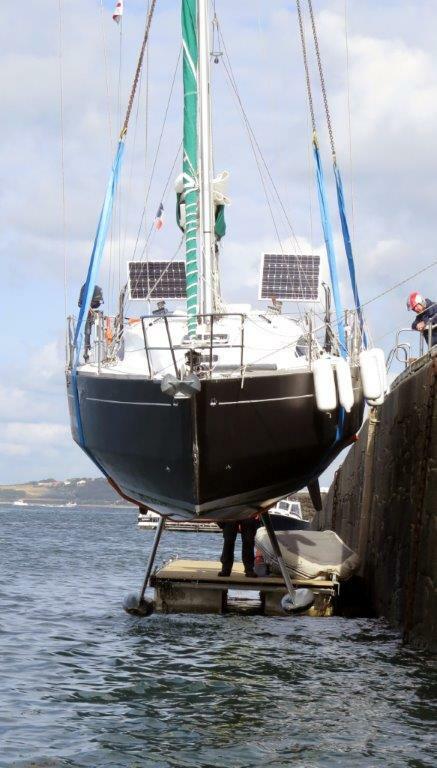 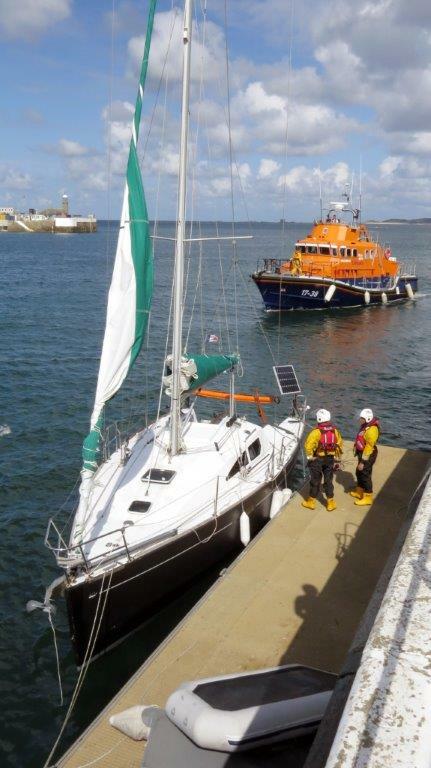 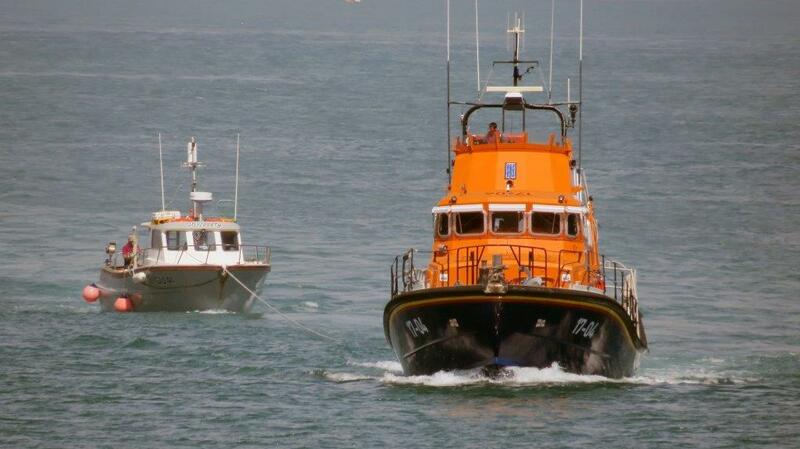 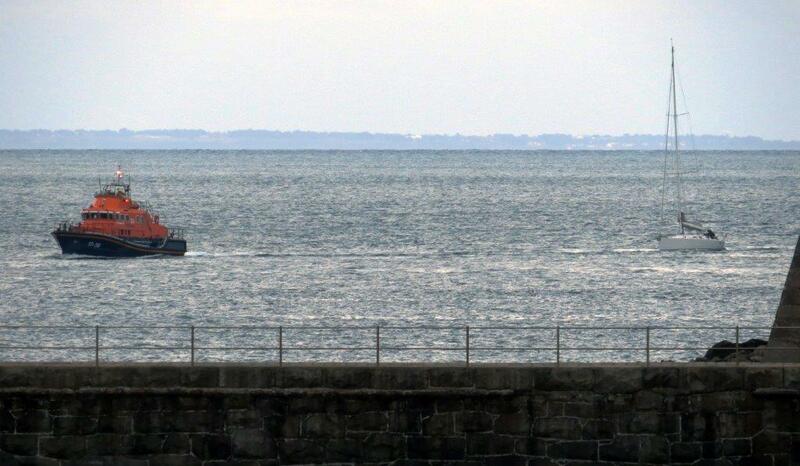 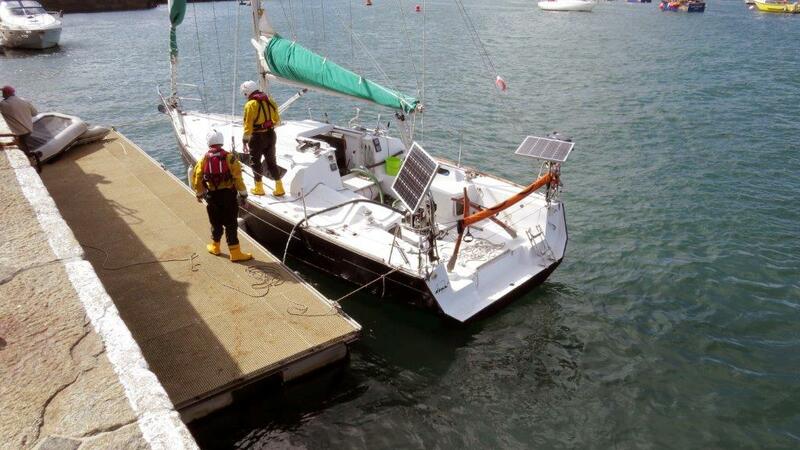 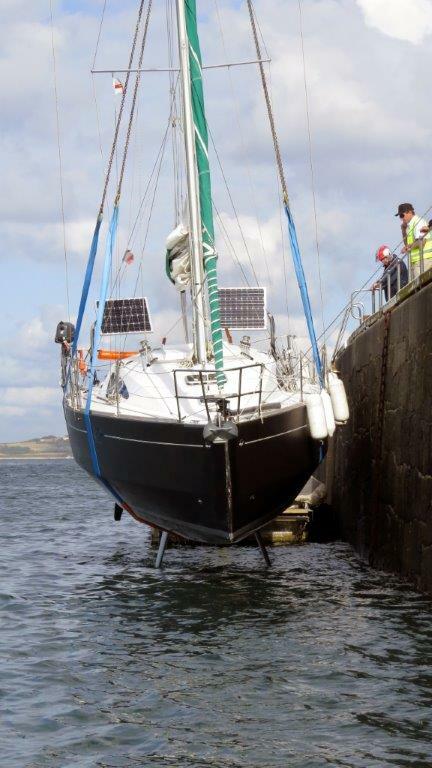 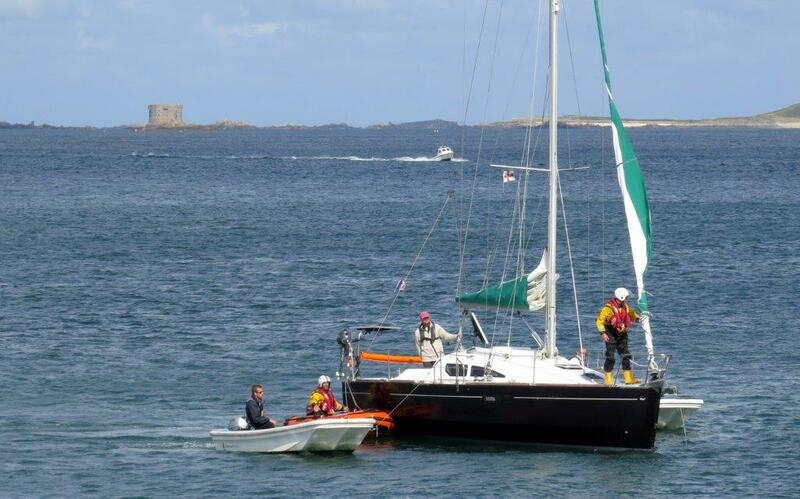 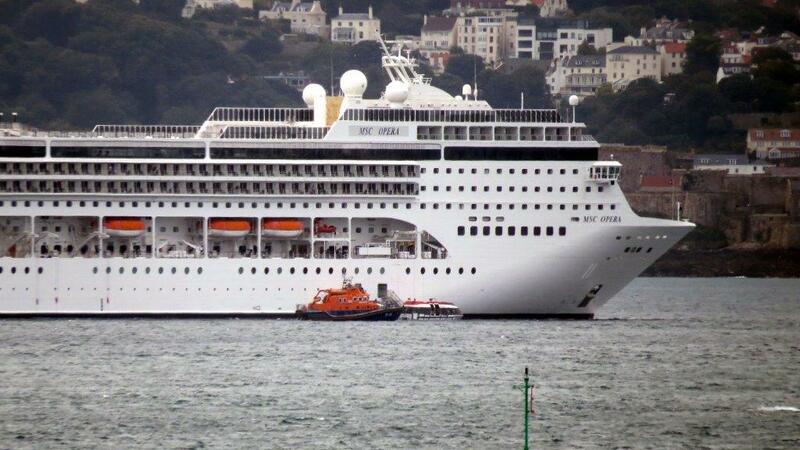 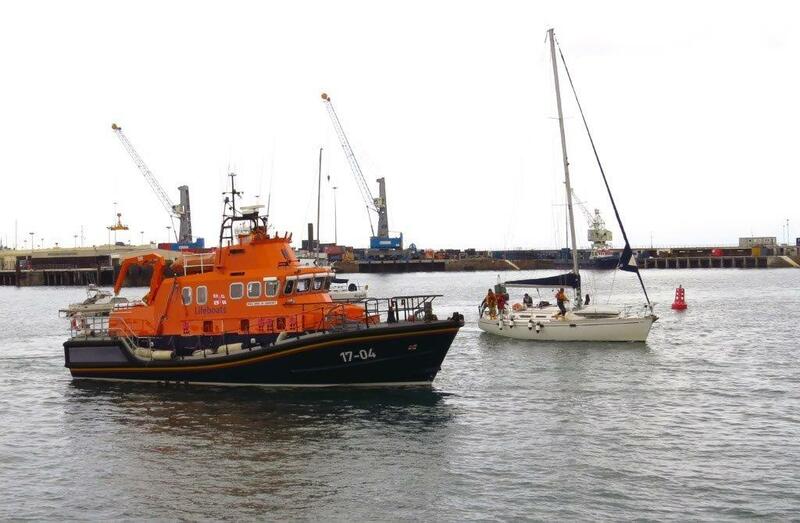 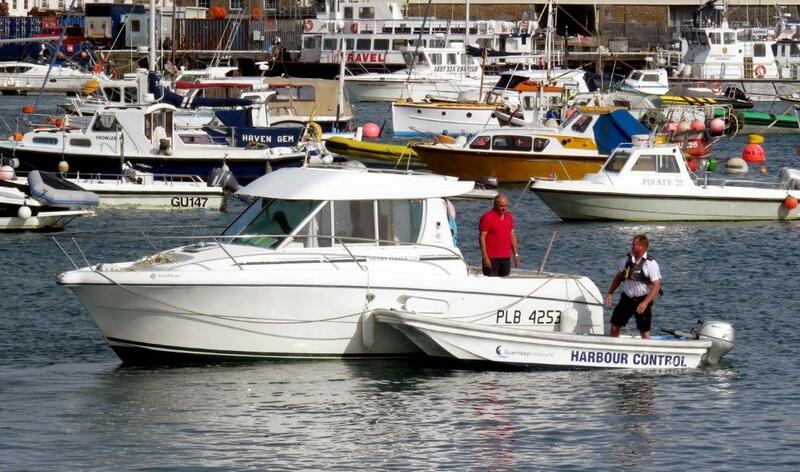 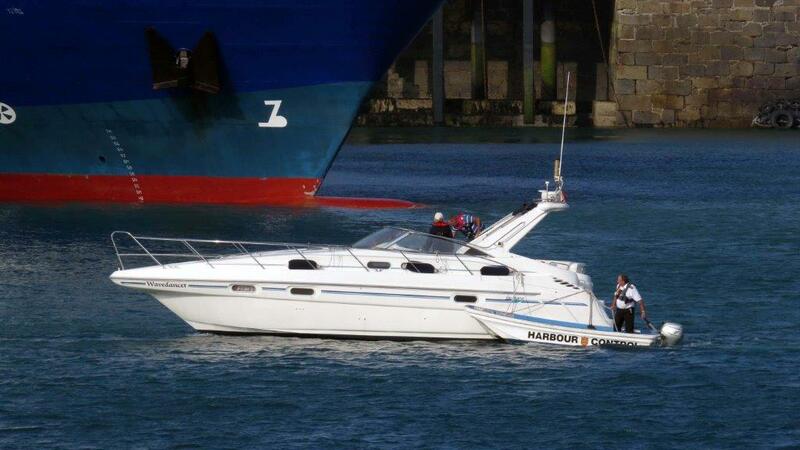 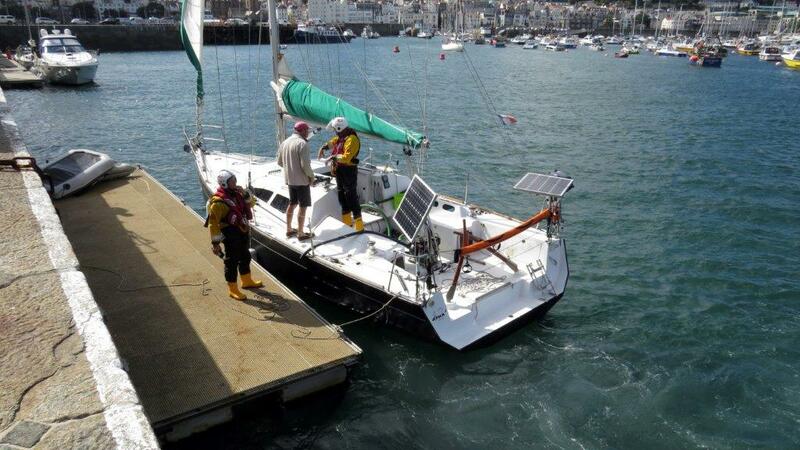 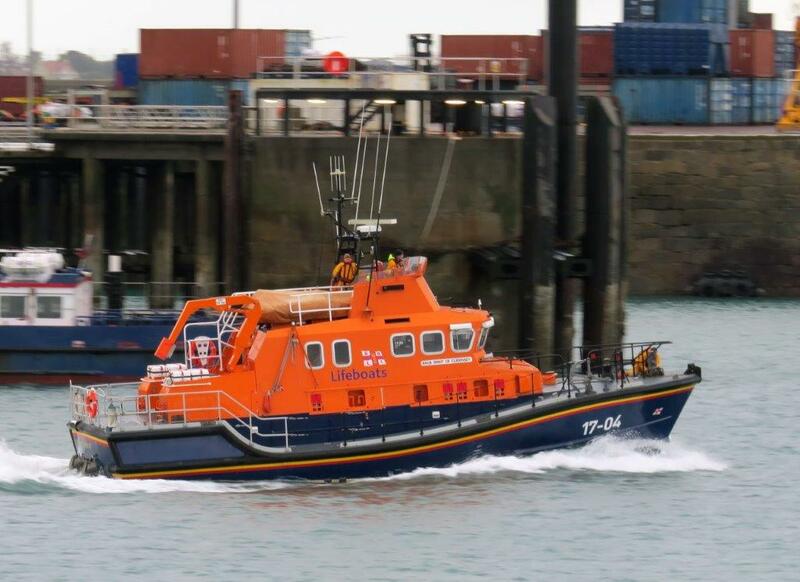 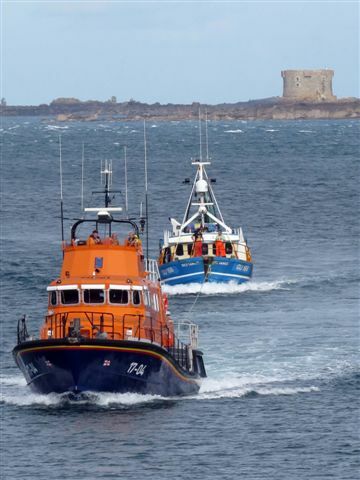 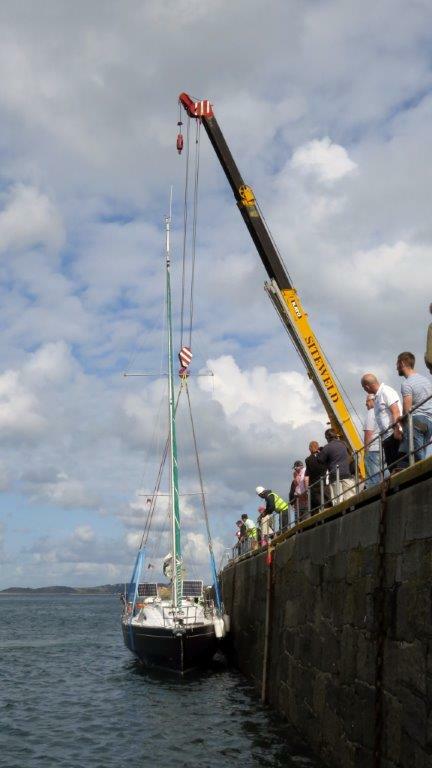 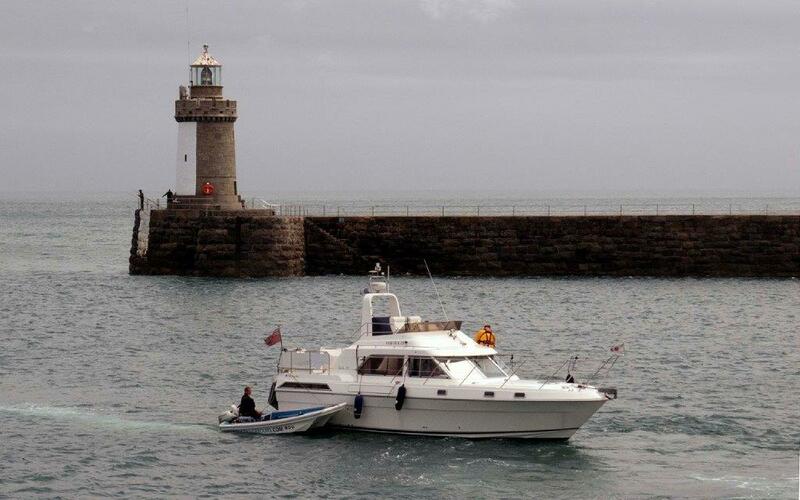 A tow was established and Majeur Deux was towed safely back to St Peter Port arriving alongside the Inter Island Quay at 1445. 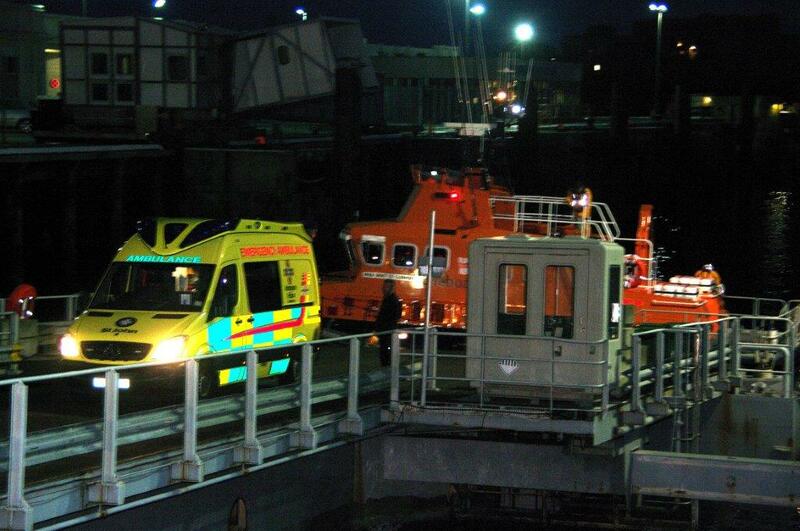 An ambulance attended and the 2 crew were treated for minor smoke inhalation. 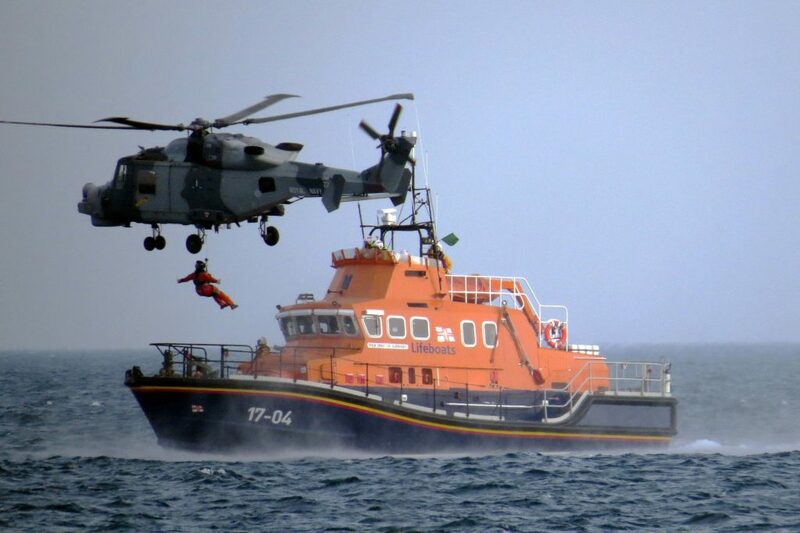 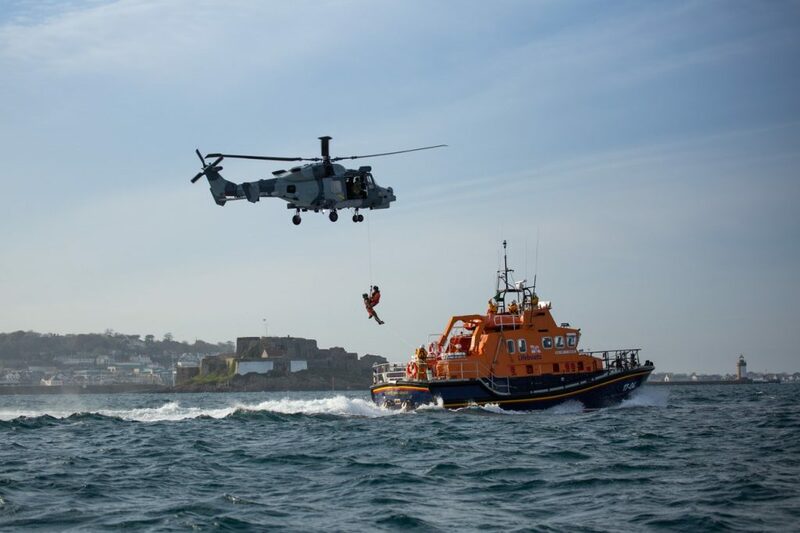 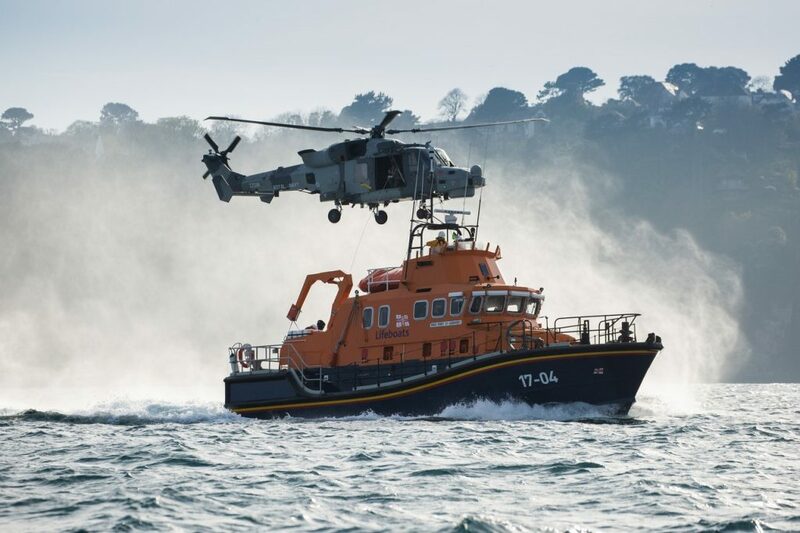 Pic by Tony Rive 17-04-19 The St Peter Port Lifeboat Spirit of Guernsey heads south in the Little Russel as speed during a winching exercise with a Royal Navy Helicopter from Yeovilton. 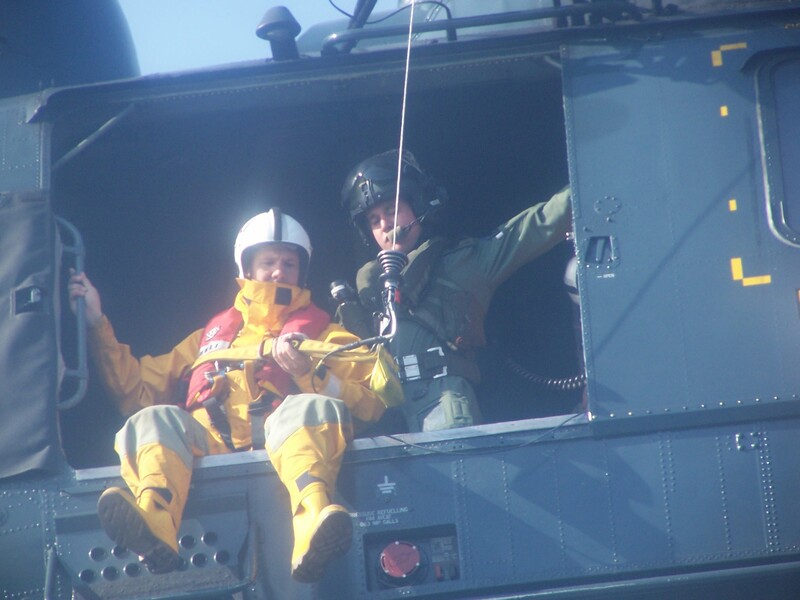 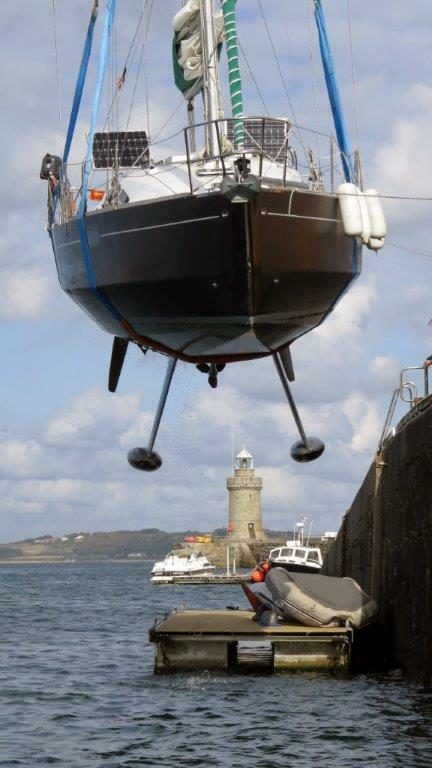 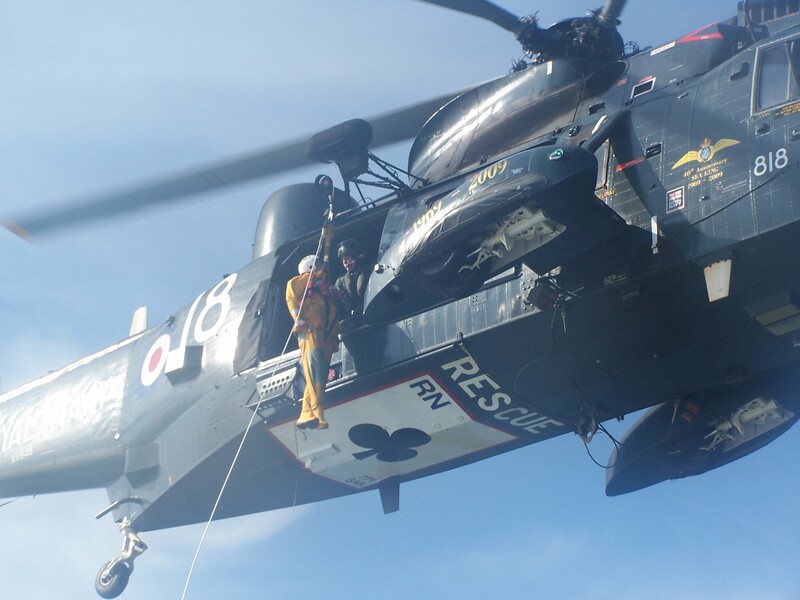 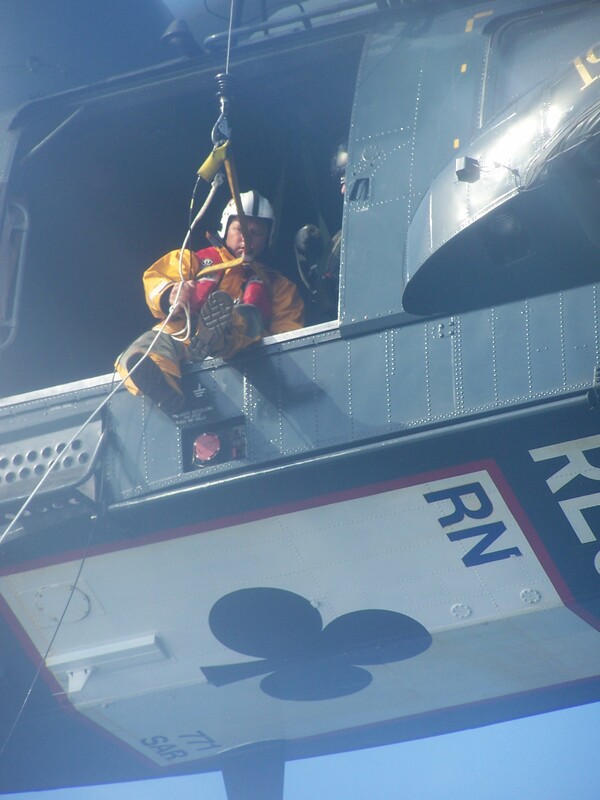 Pic by Tony Rive 17-04-19 An Airman being winched up from the foredeck of the St Peter Port Lifeboat “Spirit of Guernsey” during a winching exercise in the Little Russel. 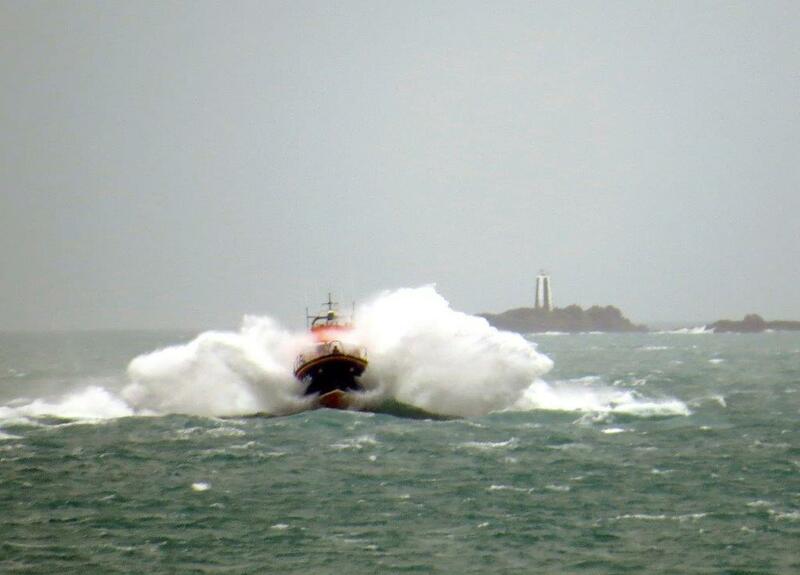 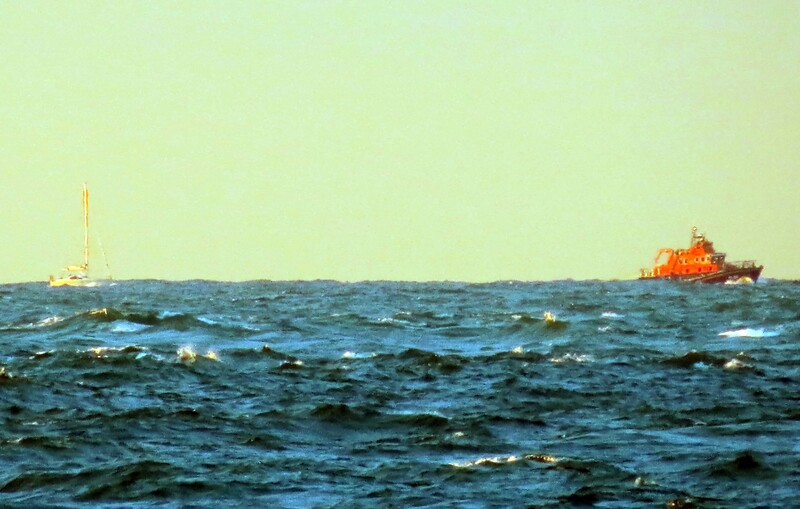 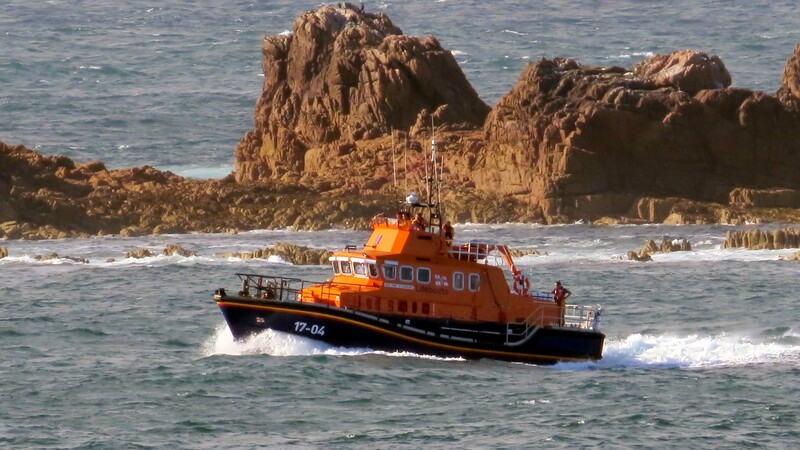 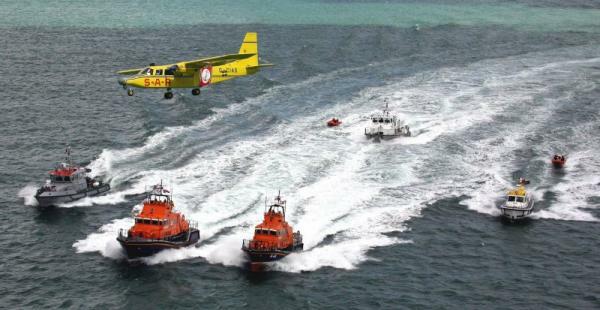 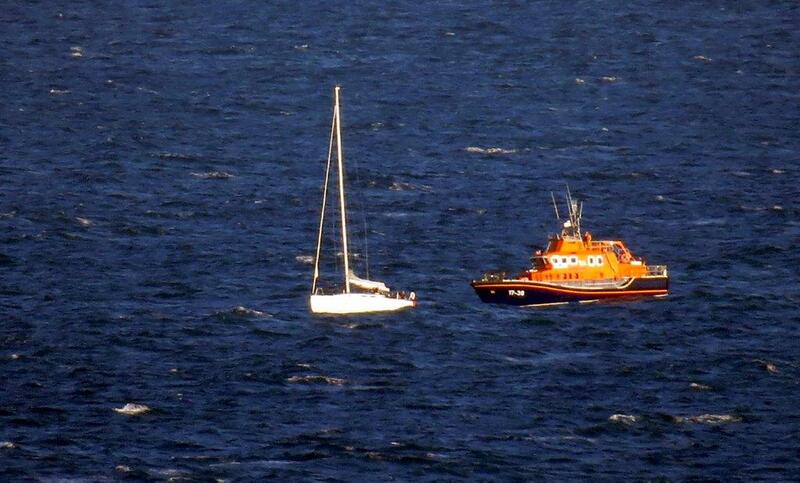 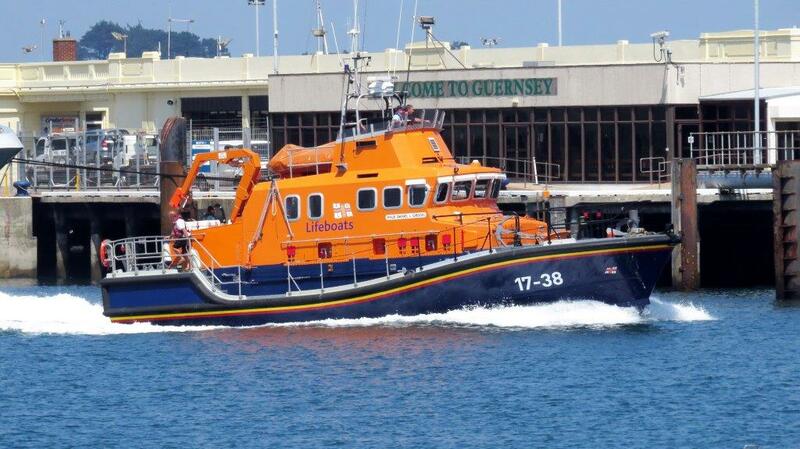 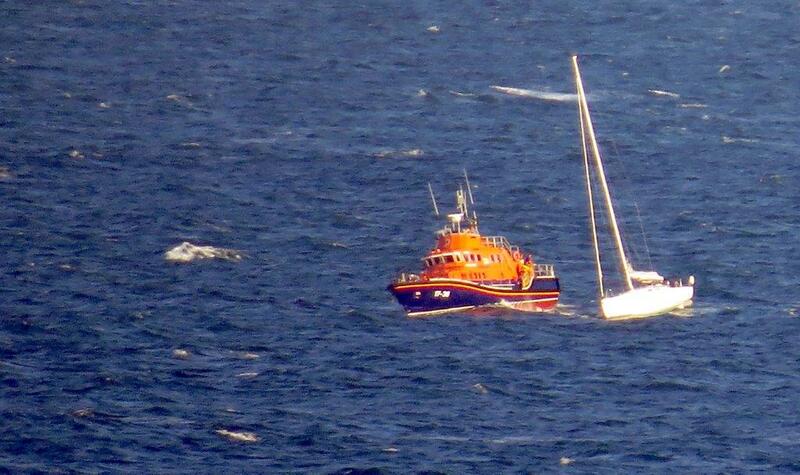 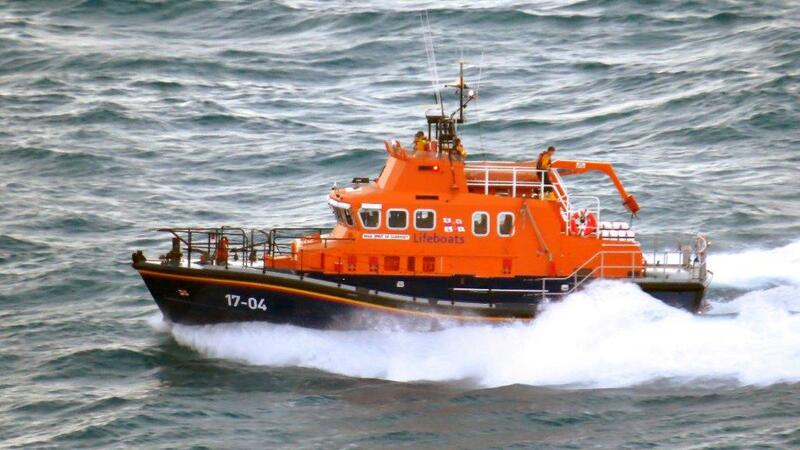 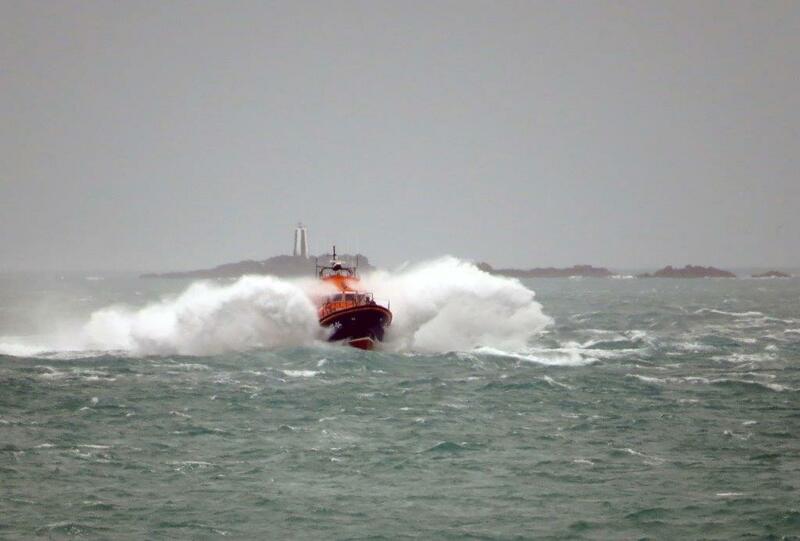 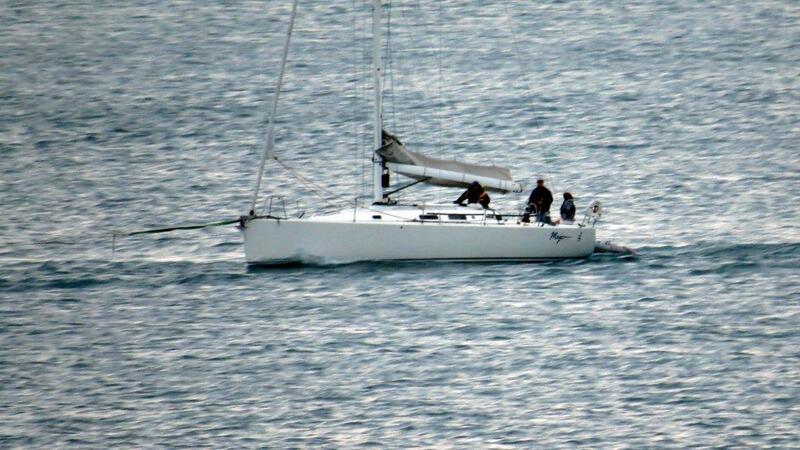 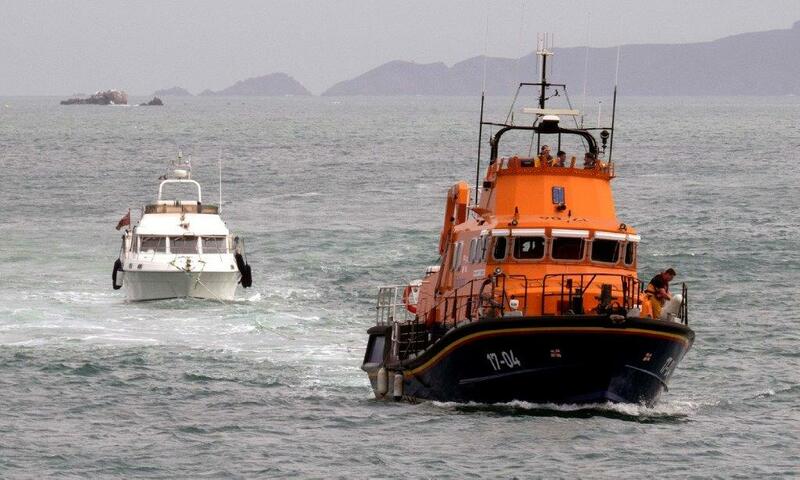 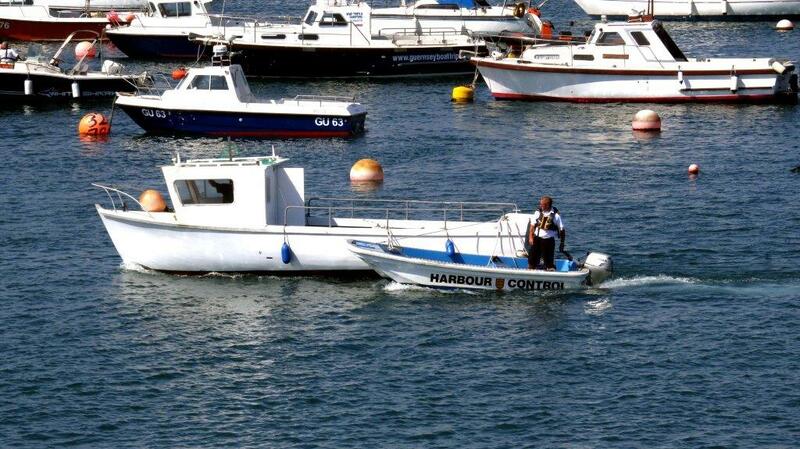 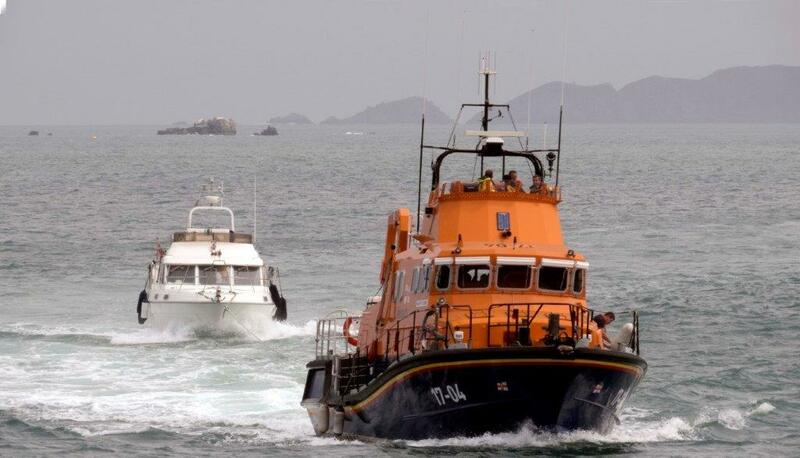 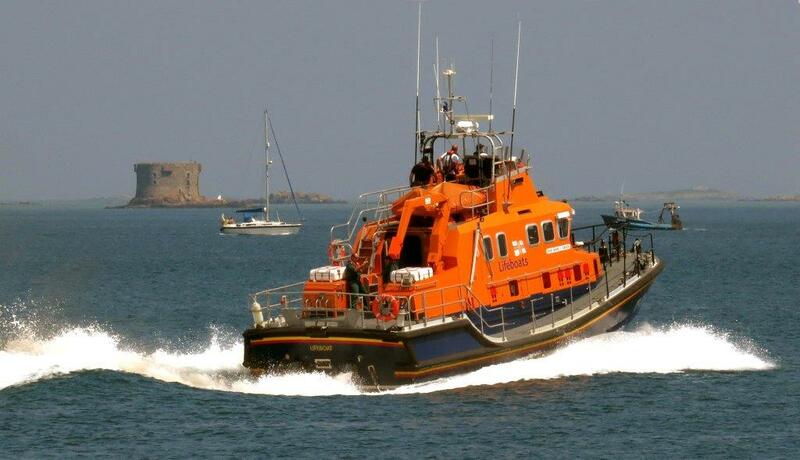 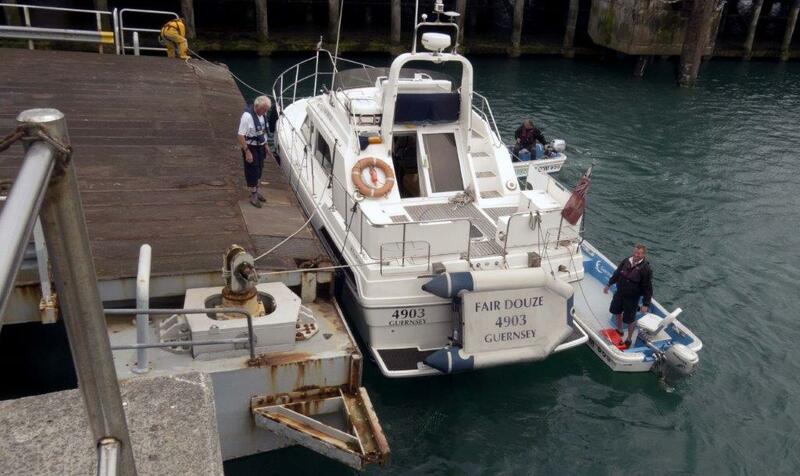 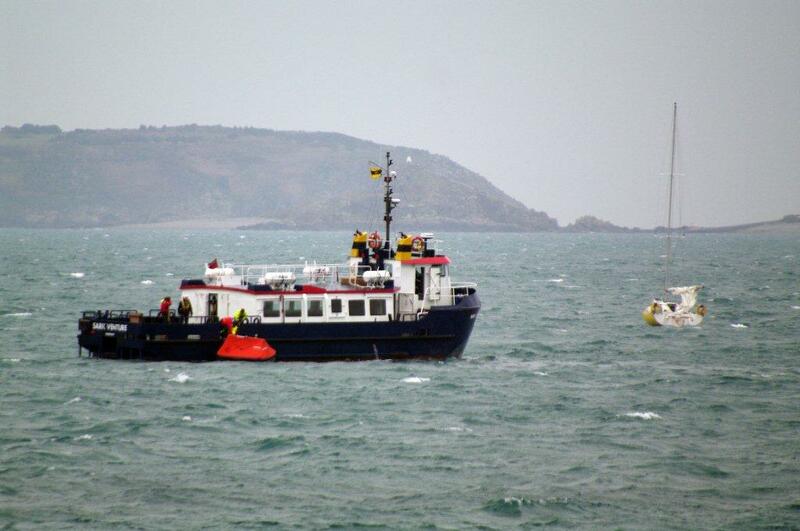 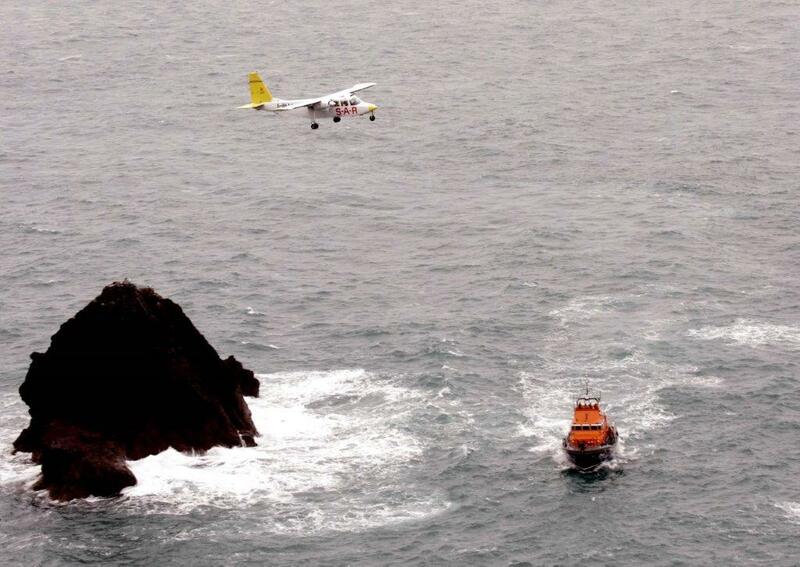 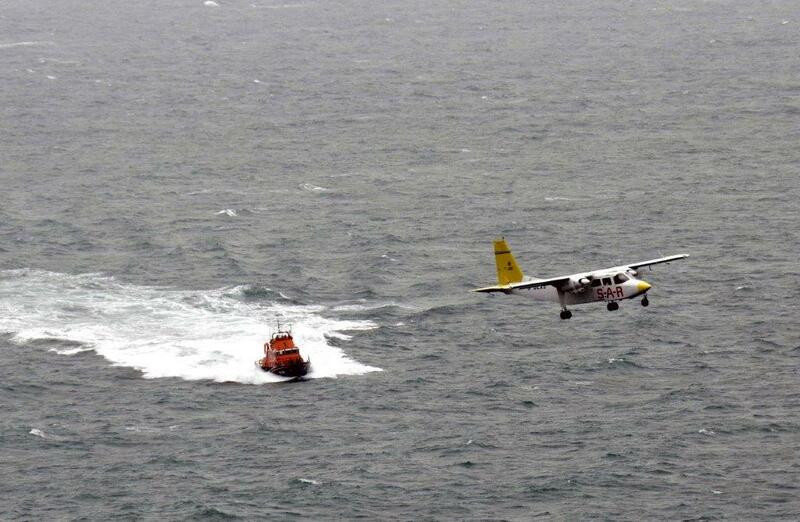 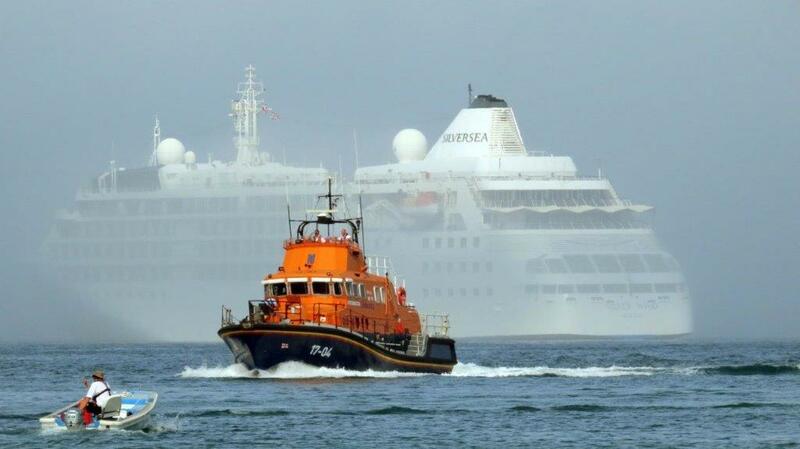 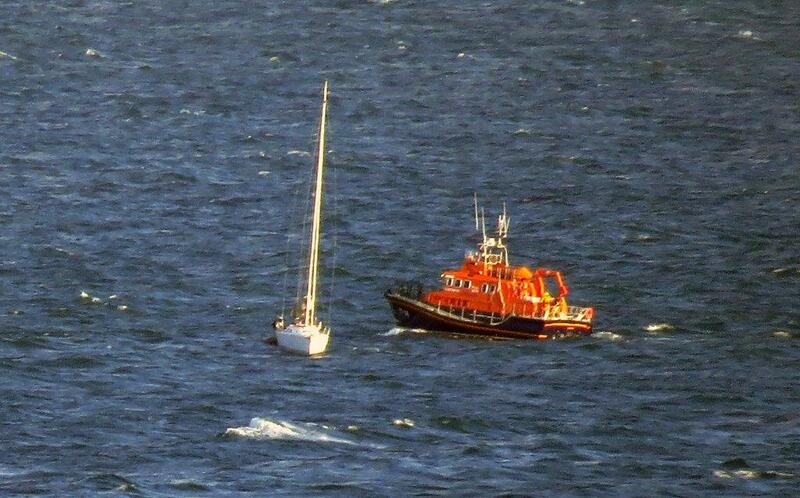 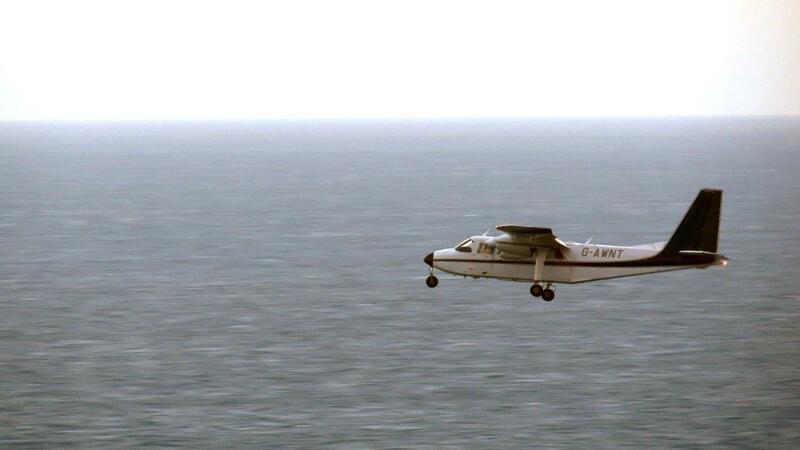 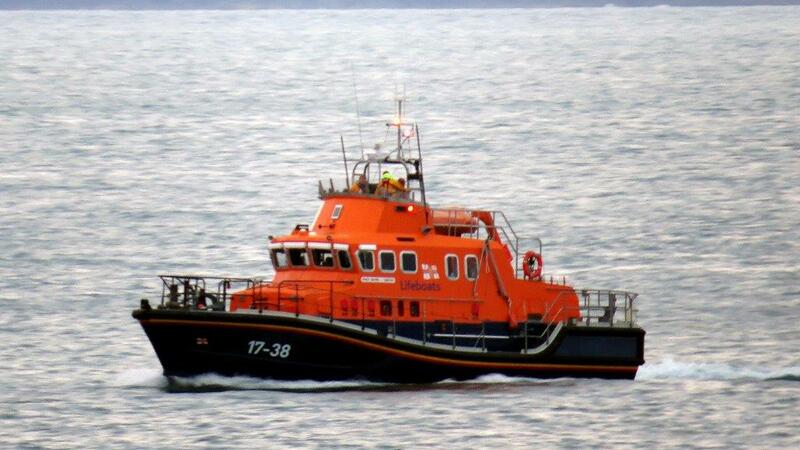 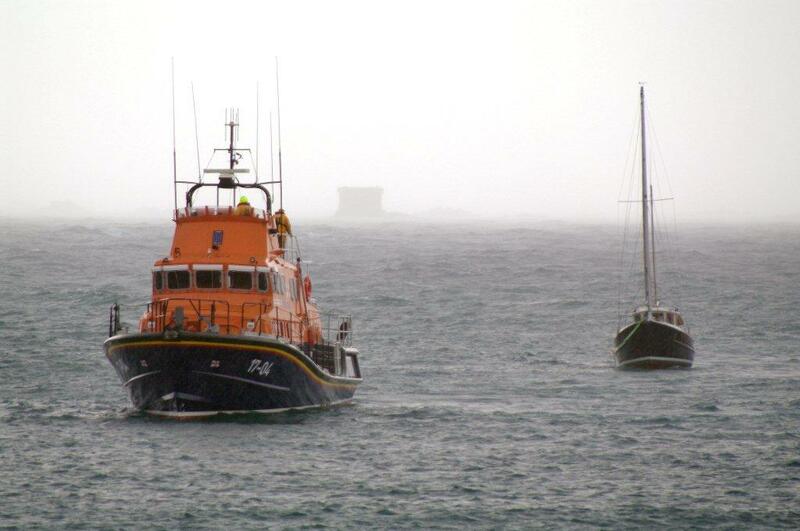 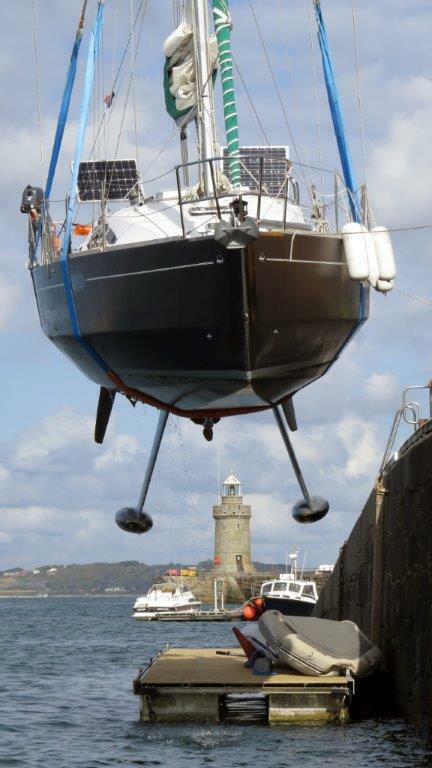 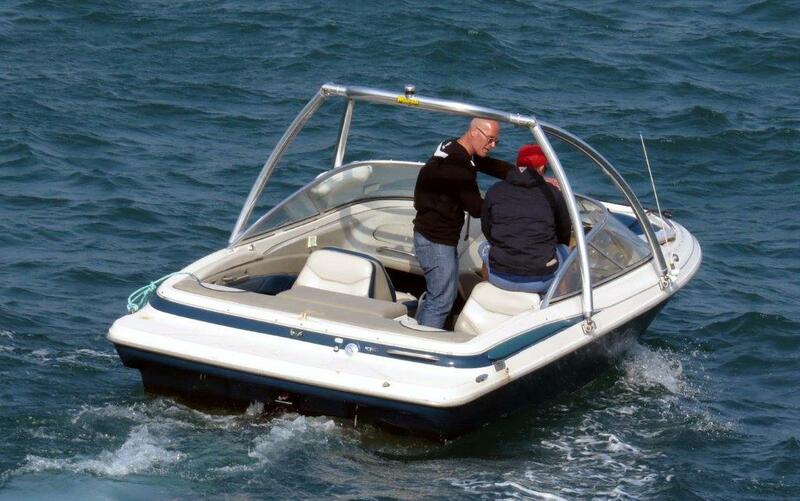 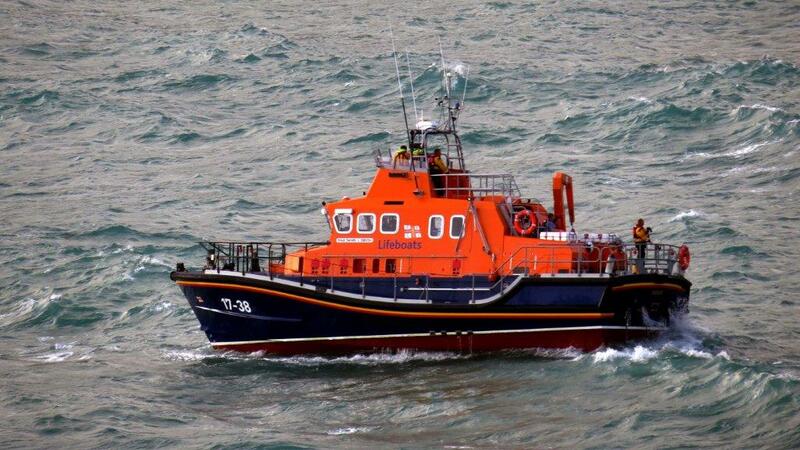 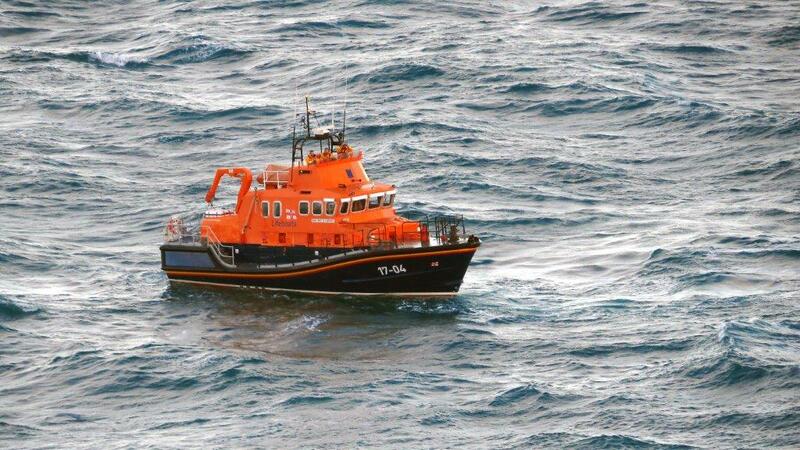 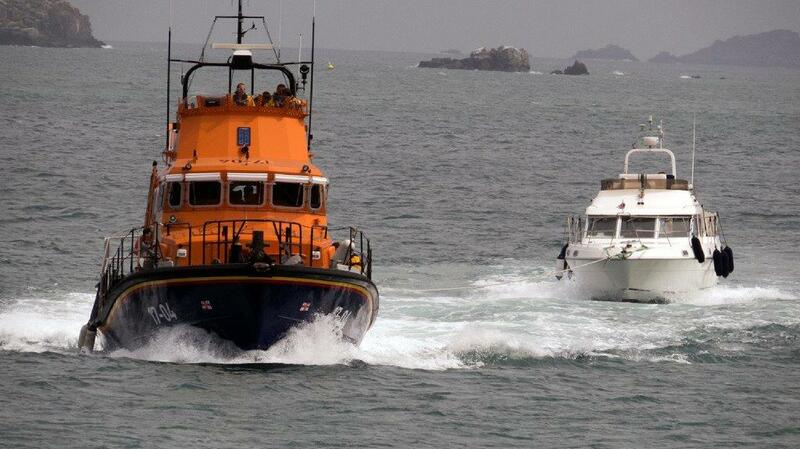 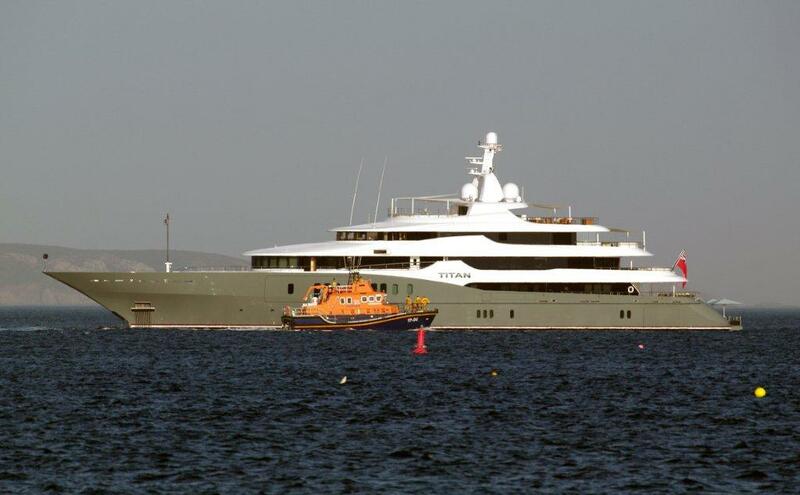 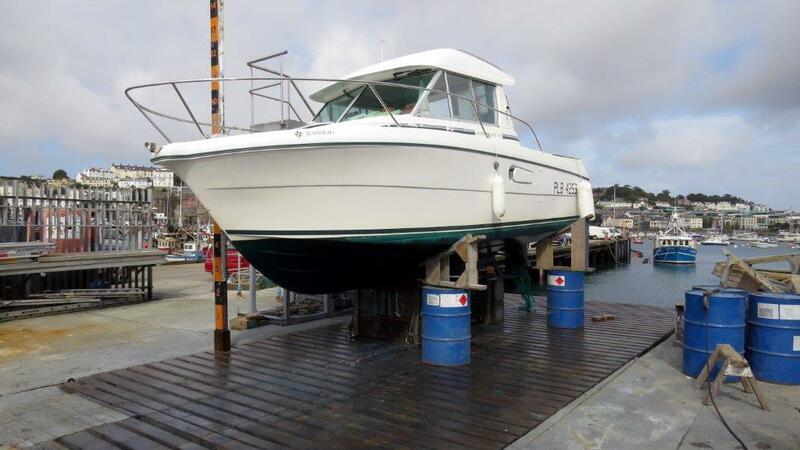 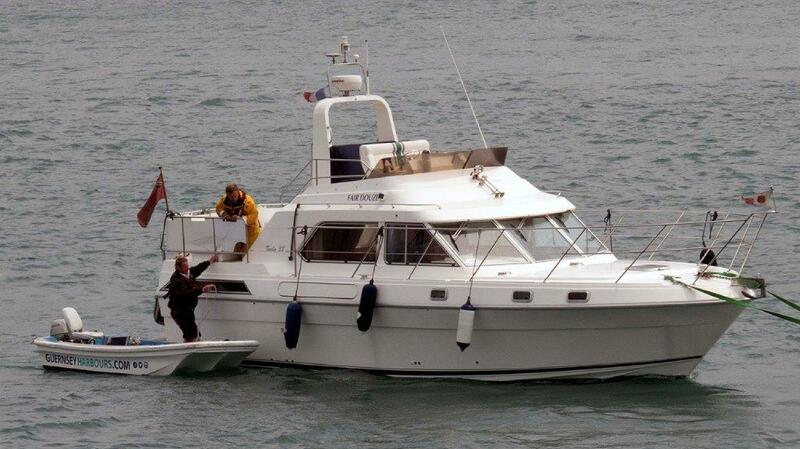 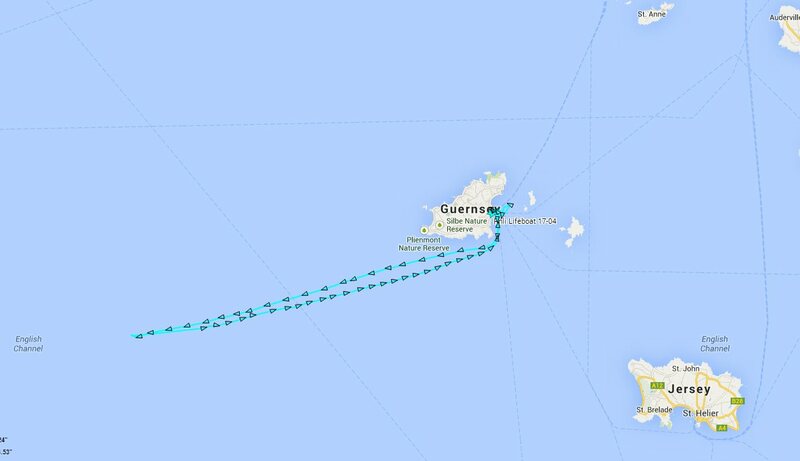 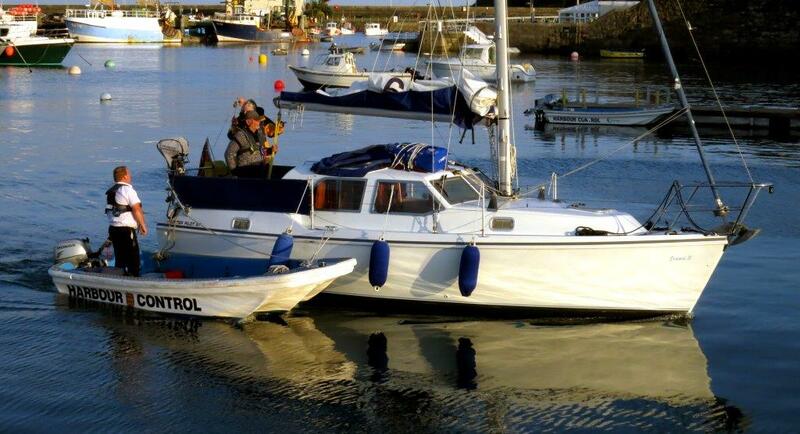 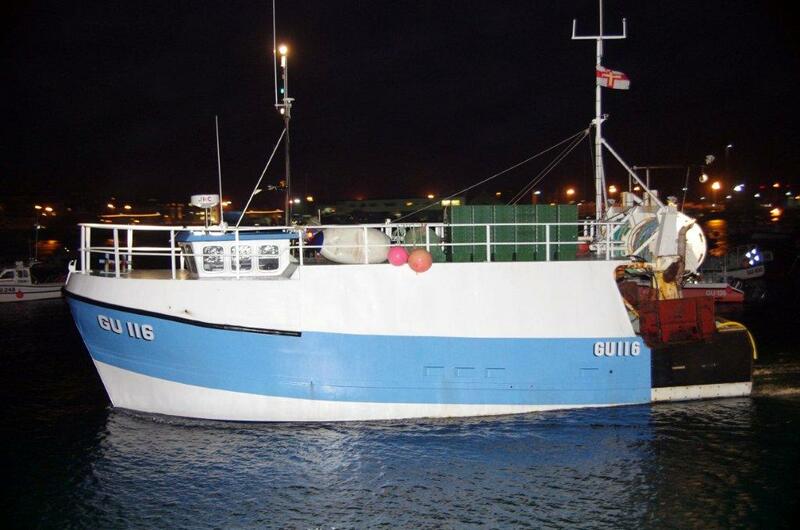 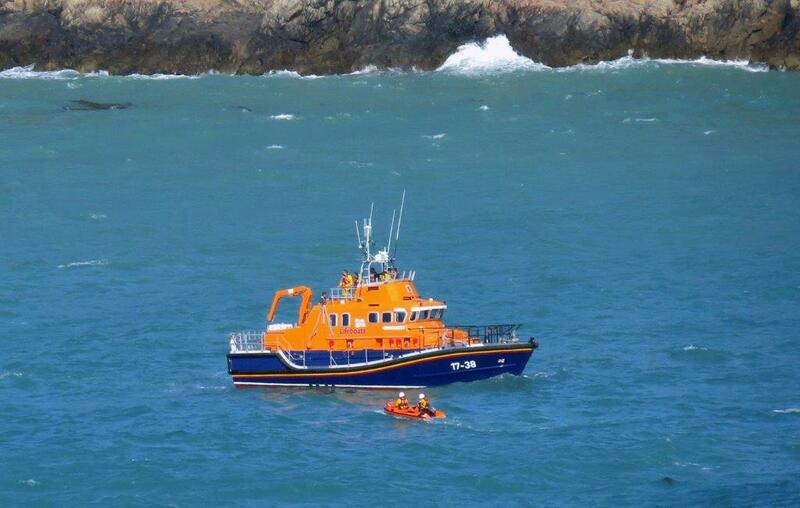 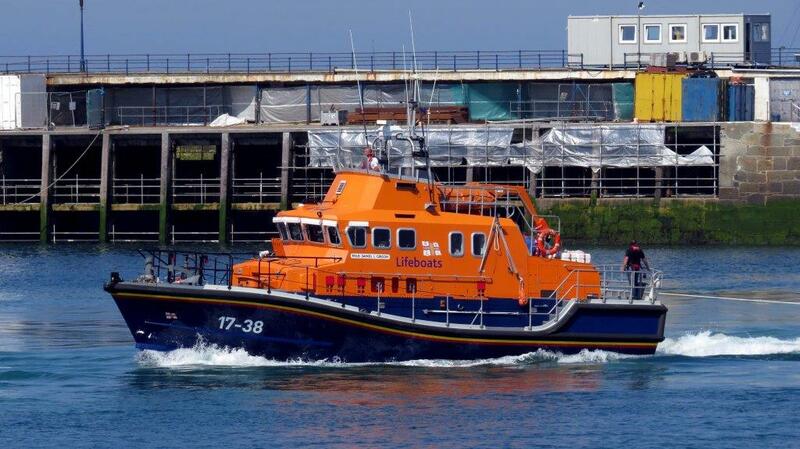 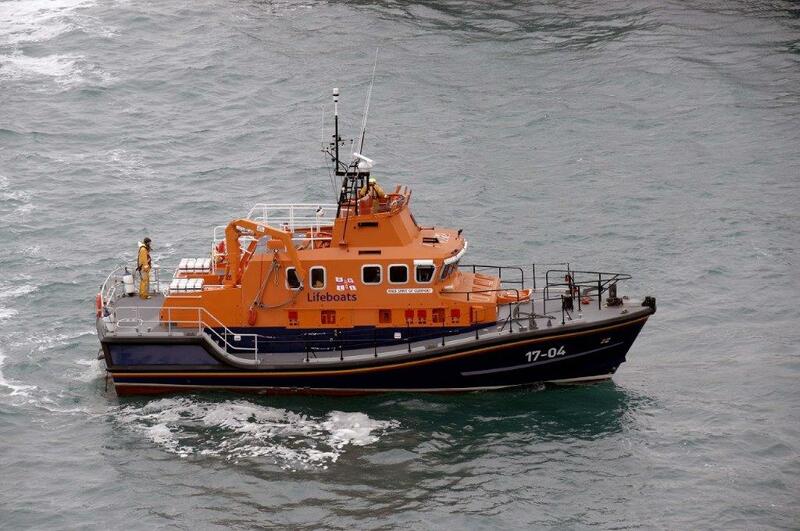 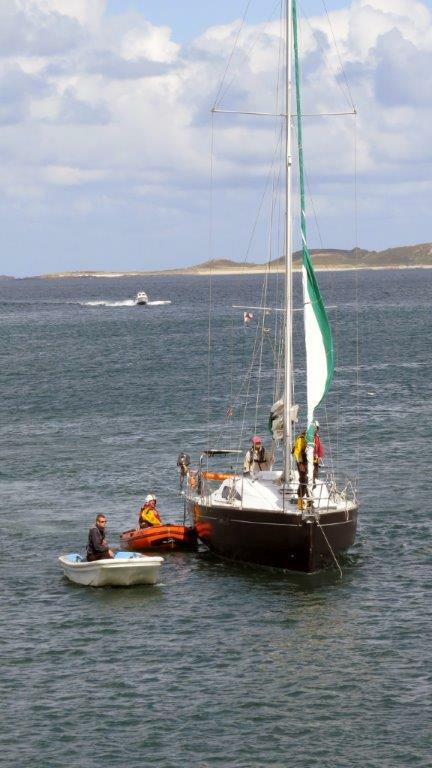 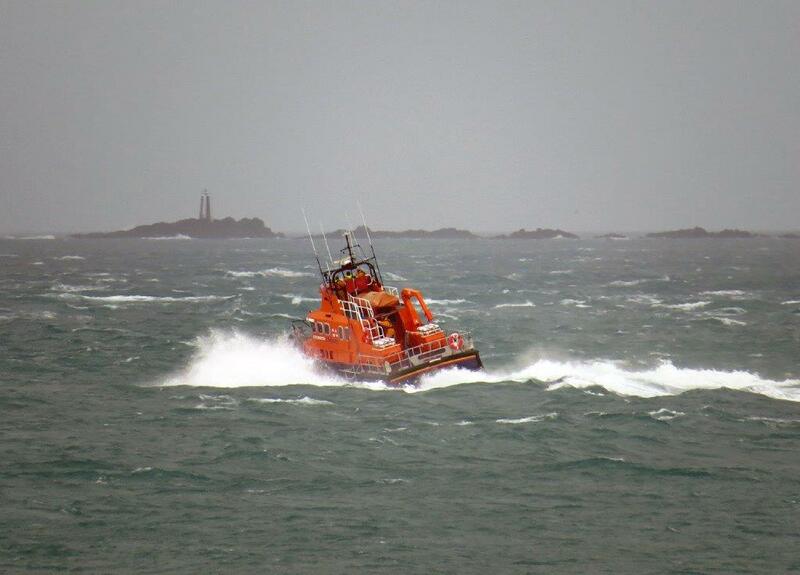 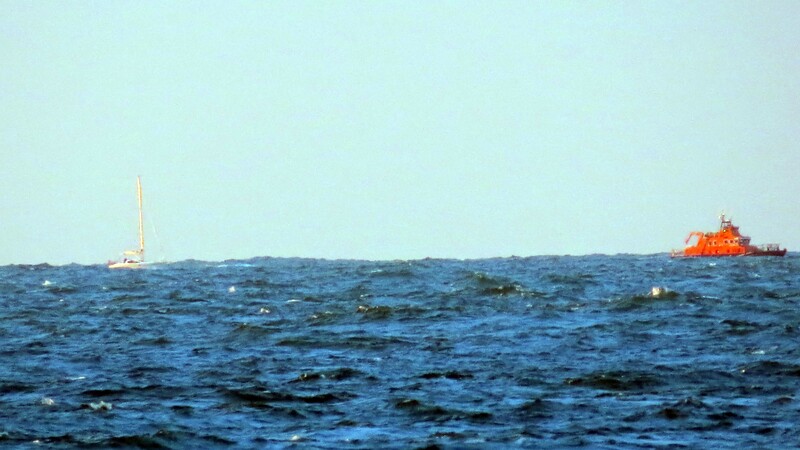 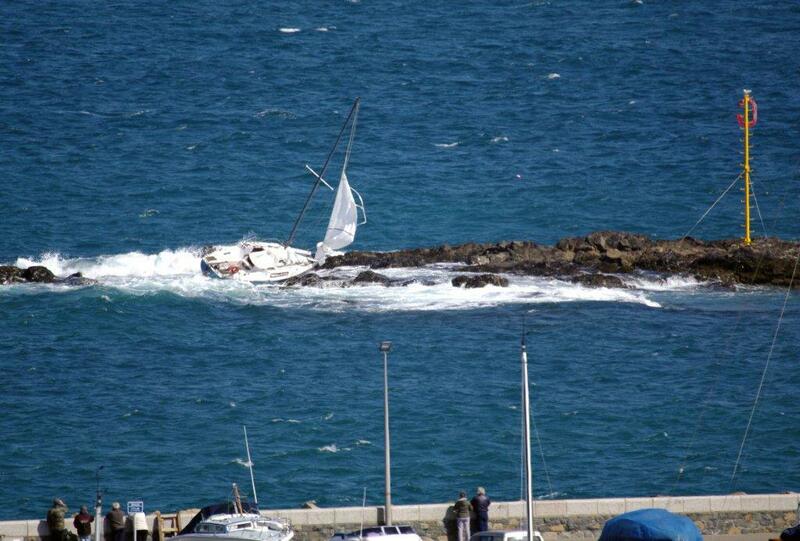 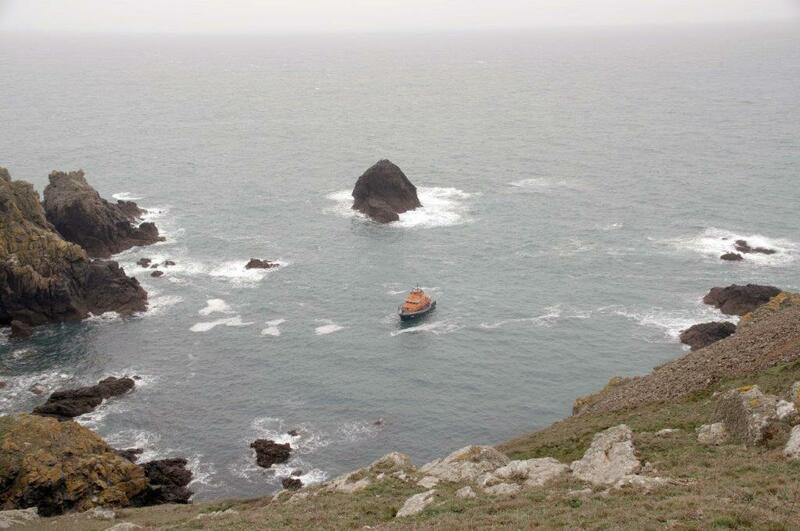 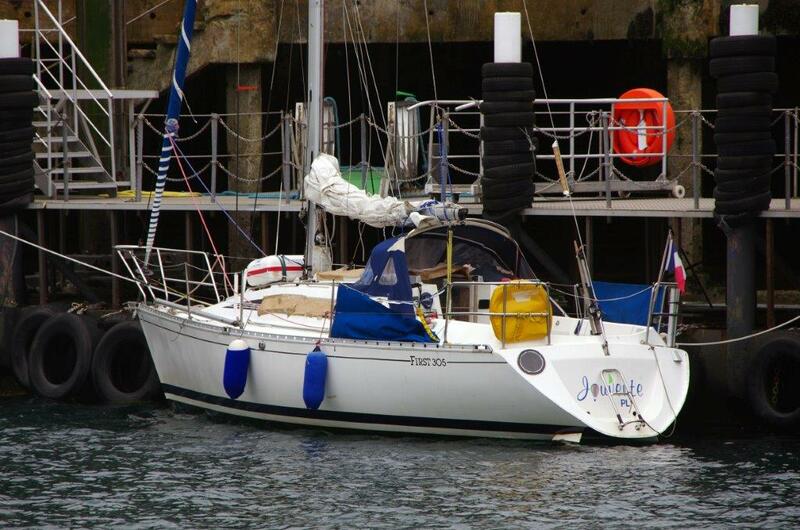 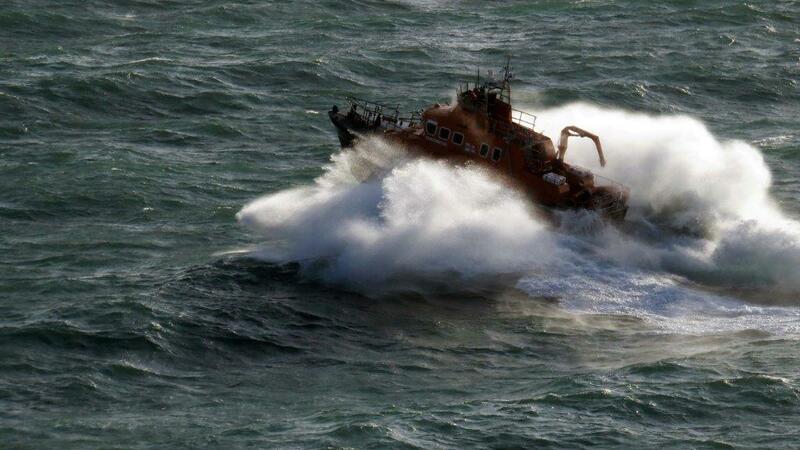 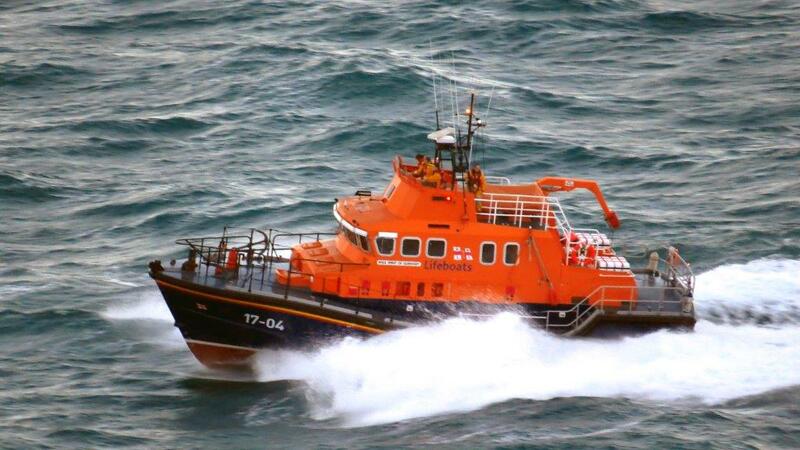 The “Spirit Of Guernsey” tasked to assist “Tubbs” 3 miles South West of Sark.